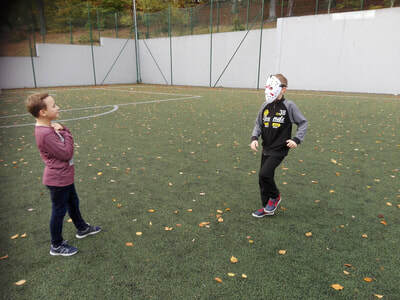 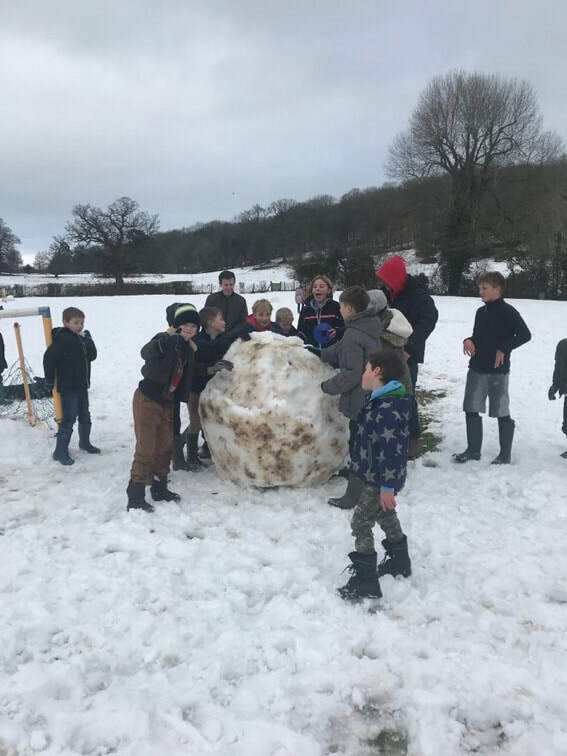 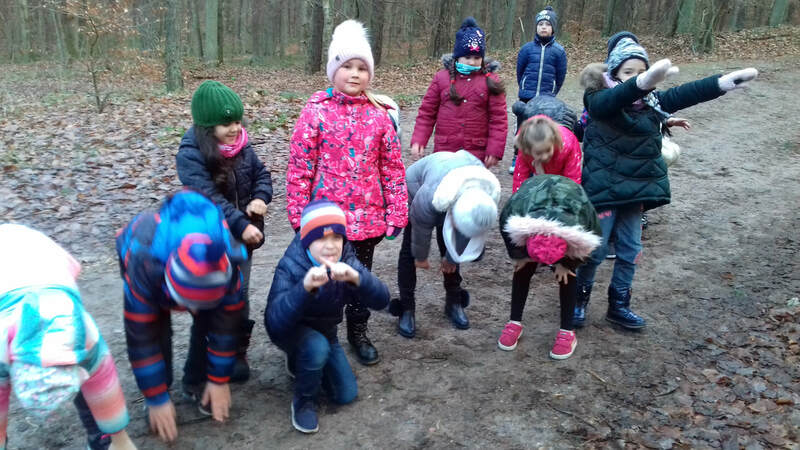 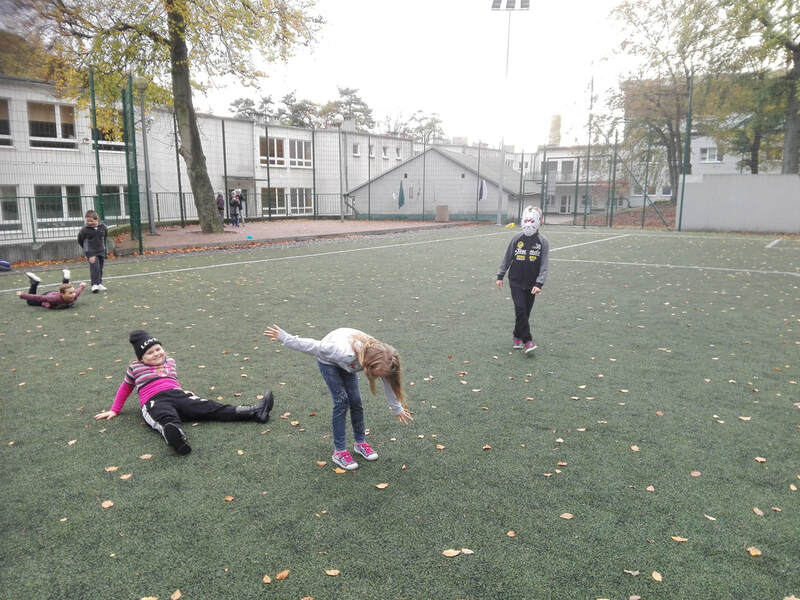 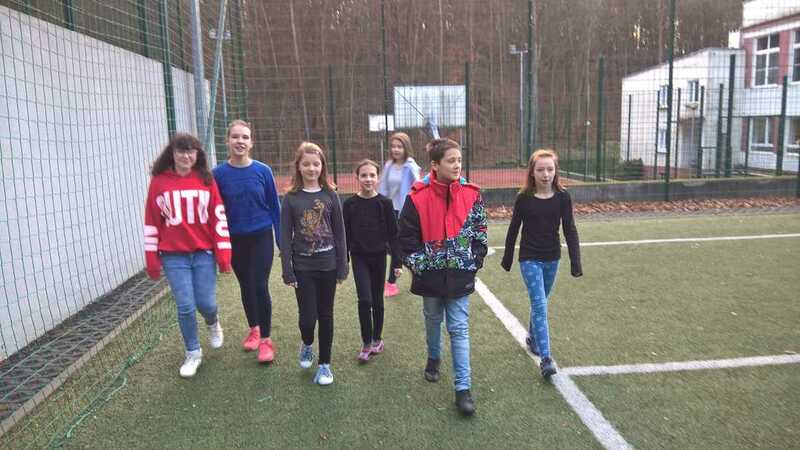 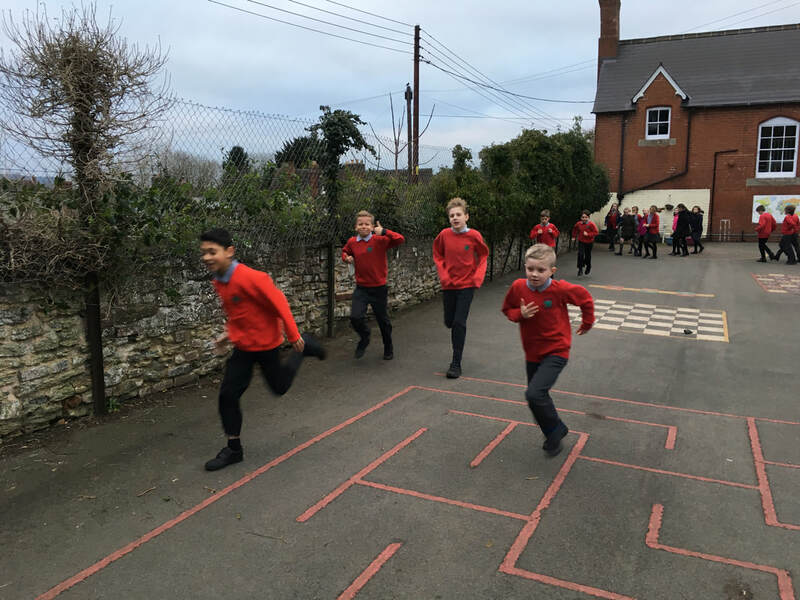 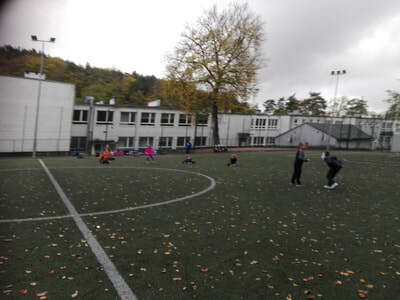 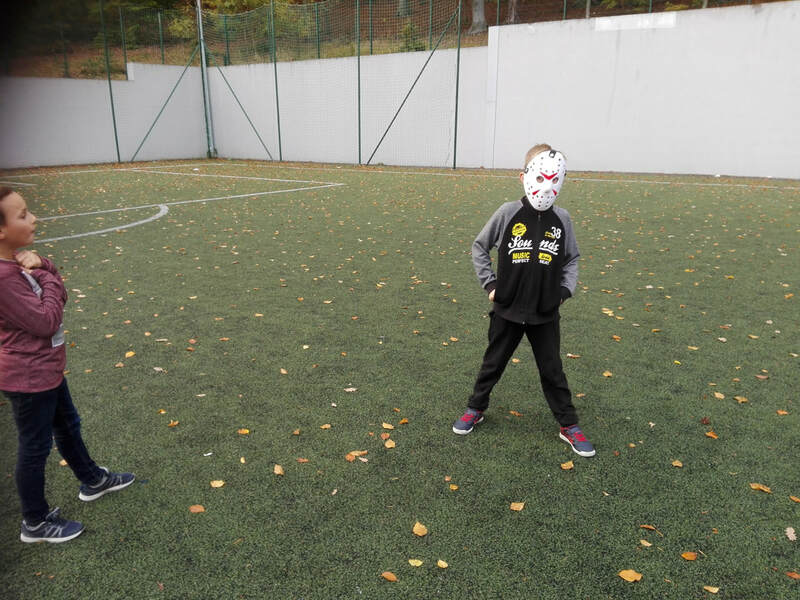 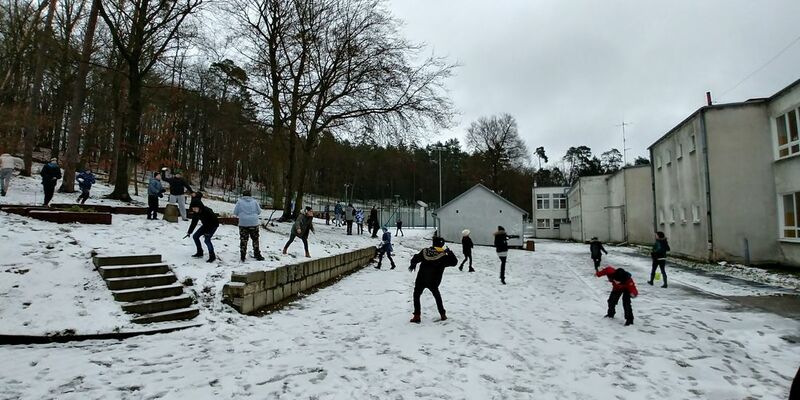 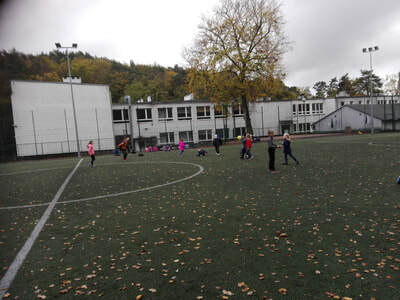 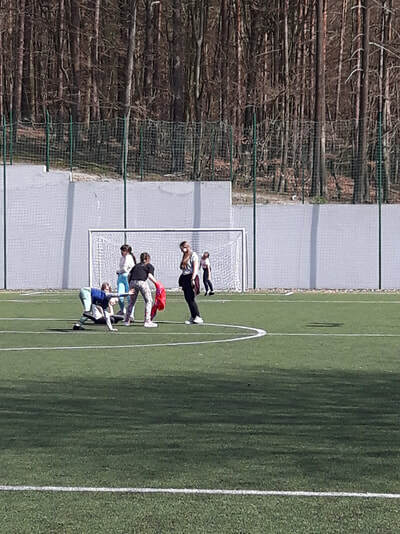 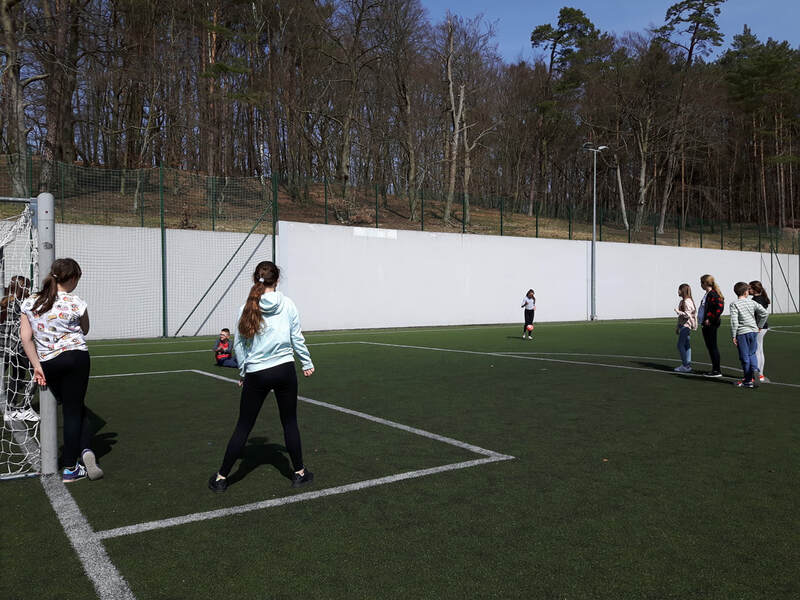 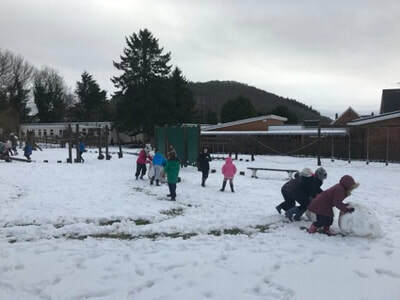 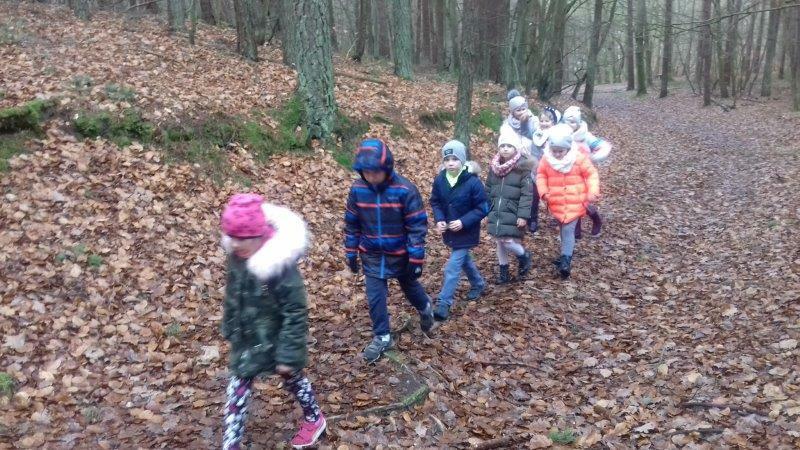 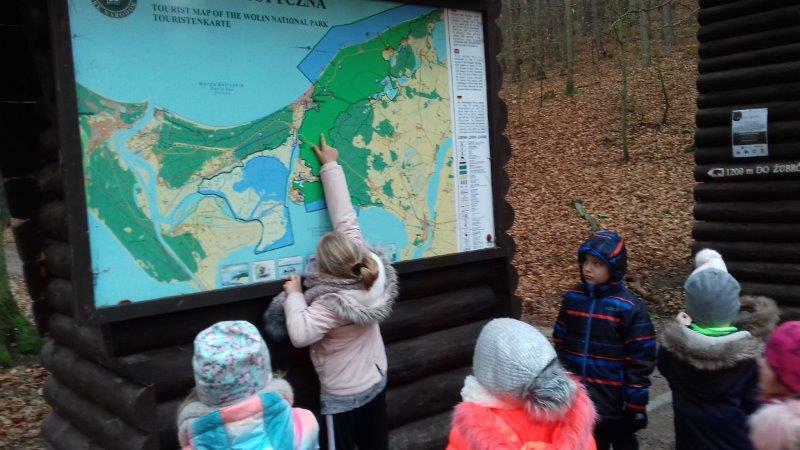 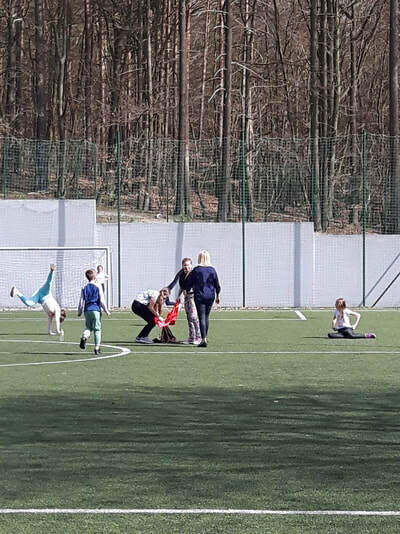 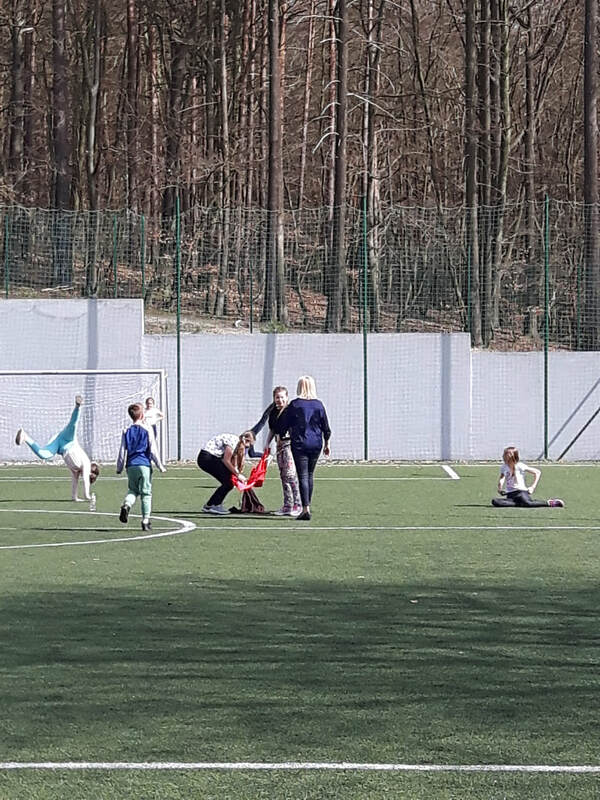 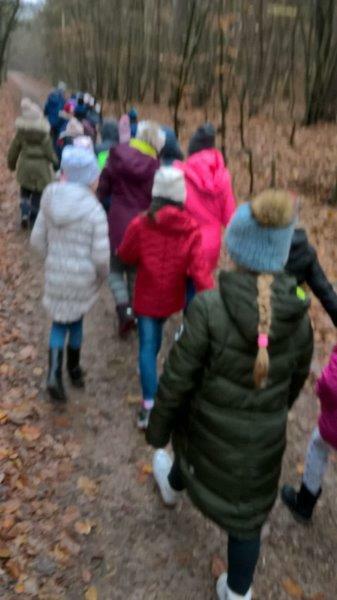 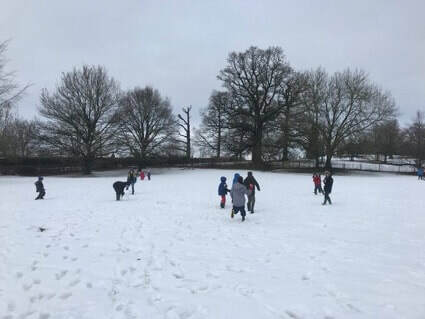 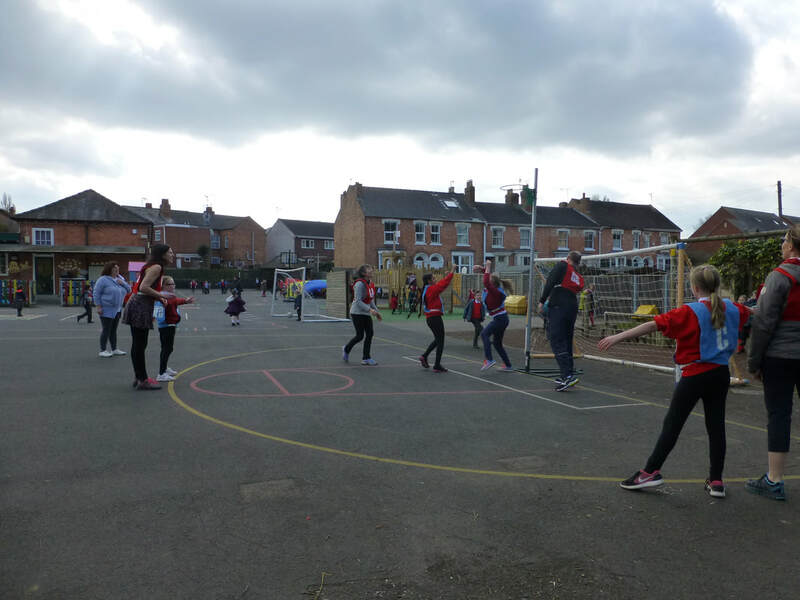 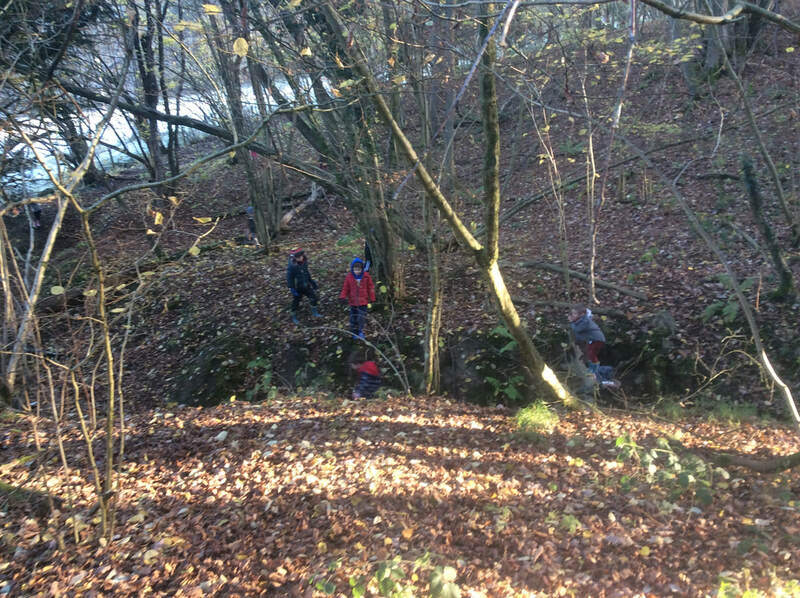 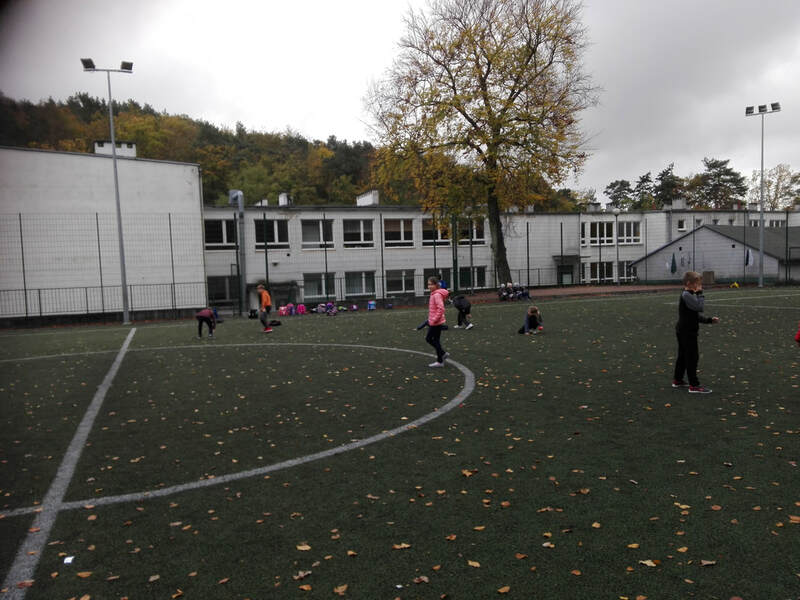 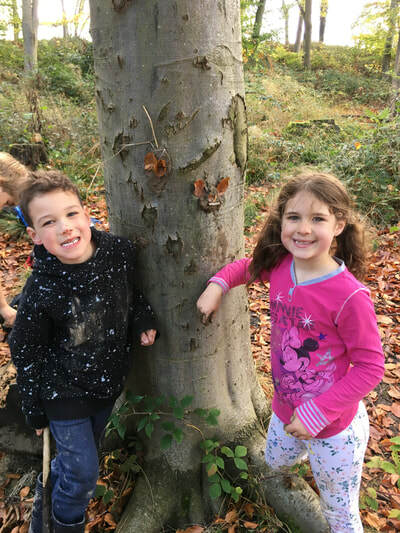 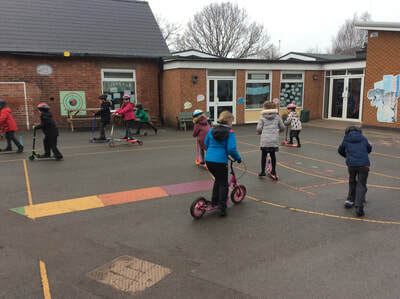 We have been trying to get fitter and healthier throughout the project and give our pupils a physical daily activity to complete. 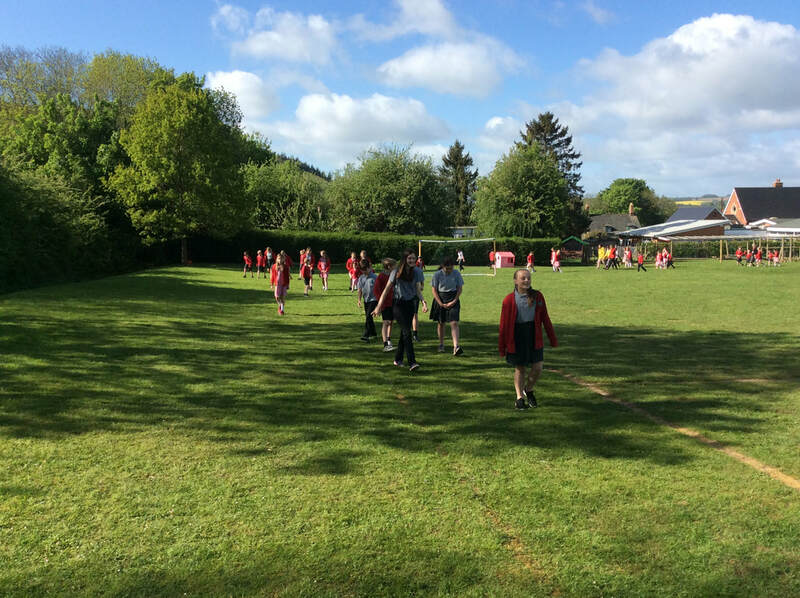 The Daily Mile - run or fast walk for the distance of a mile everyday. 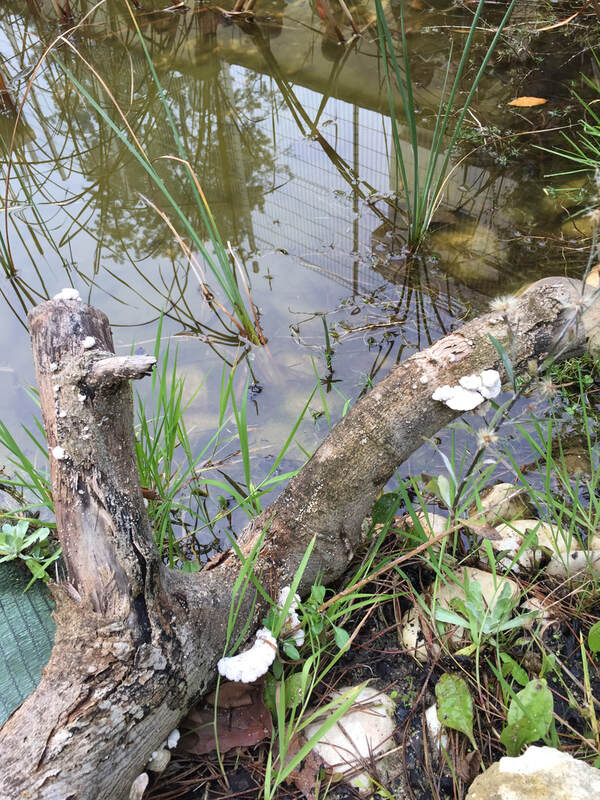 It could be around your playground or field. The Daily Time - as the daily mile but for a times period e.g. 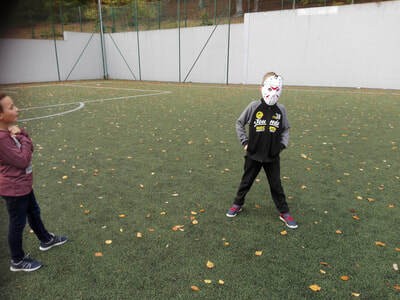 5 minutes. 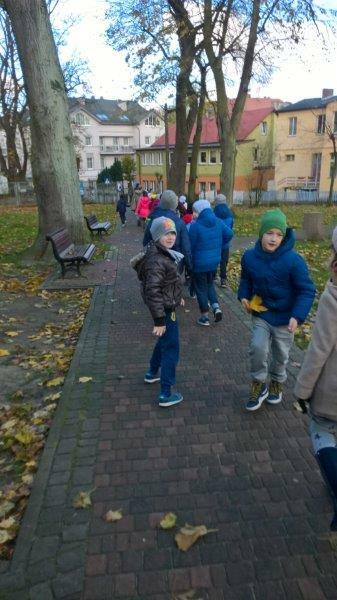 Walking Bus - encourage the children to walk to school together in groups. 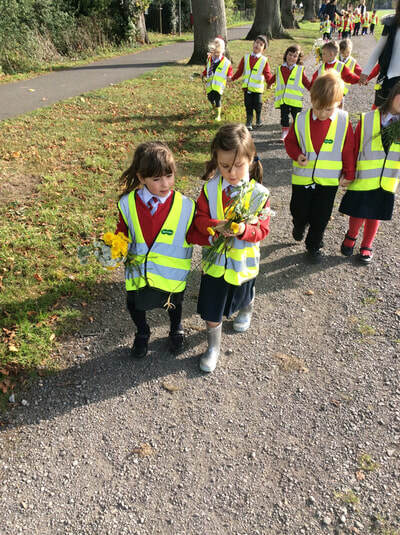 Make sure an adult is present, especially if lots of traffic and wear high-vis jackets. 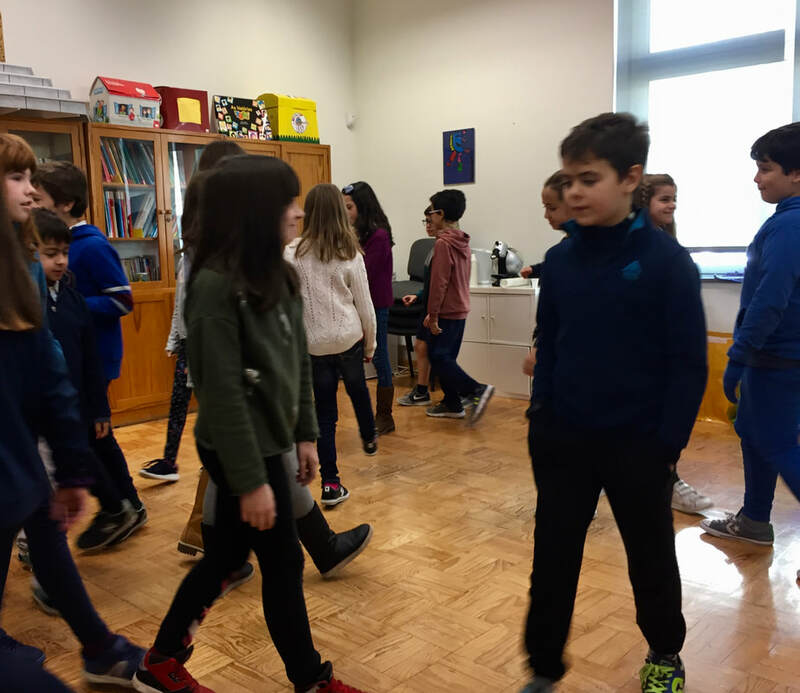 Music Dance - have five minutes dancing to music in your classroom between lessons or to get the day started. 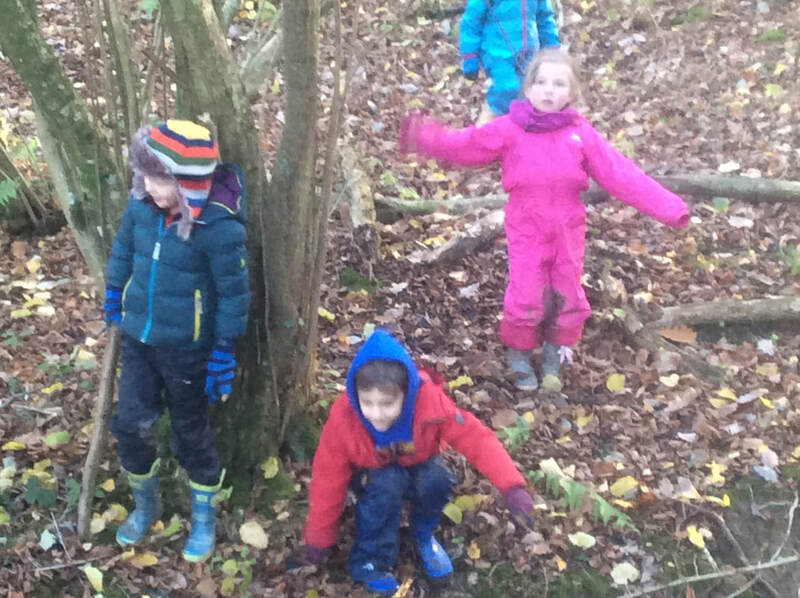 Simon Says - an old favourite but make as active as possible. 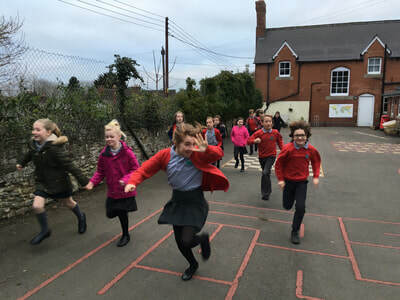 Playground Movement - before school starts get everyone in the playground (including mums and dads!) 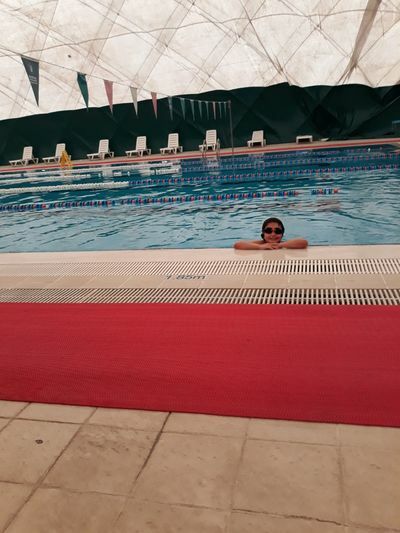 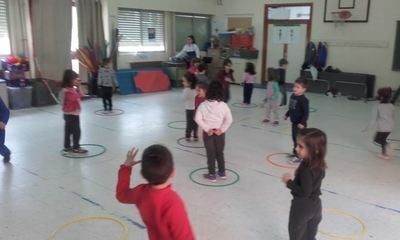 following the exercises to some music. 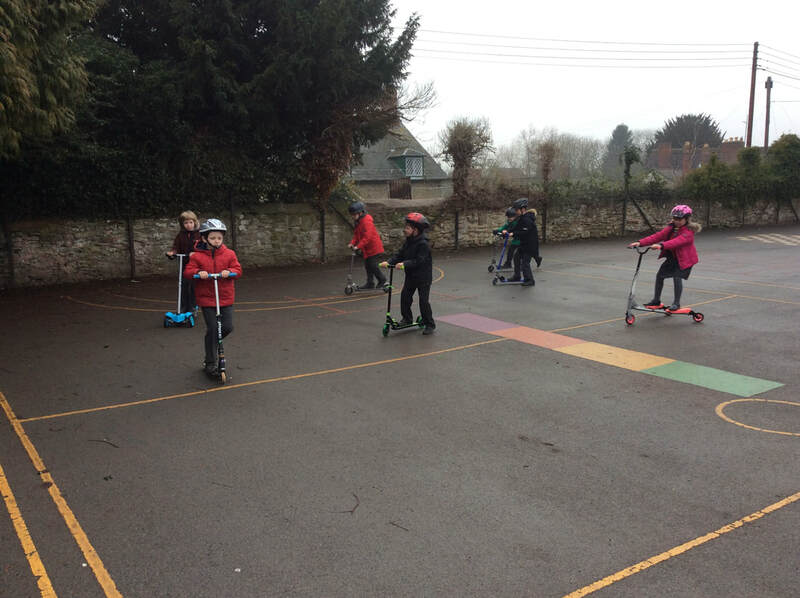 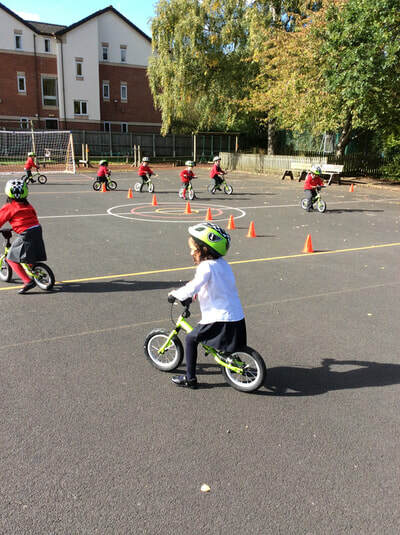 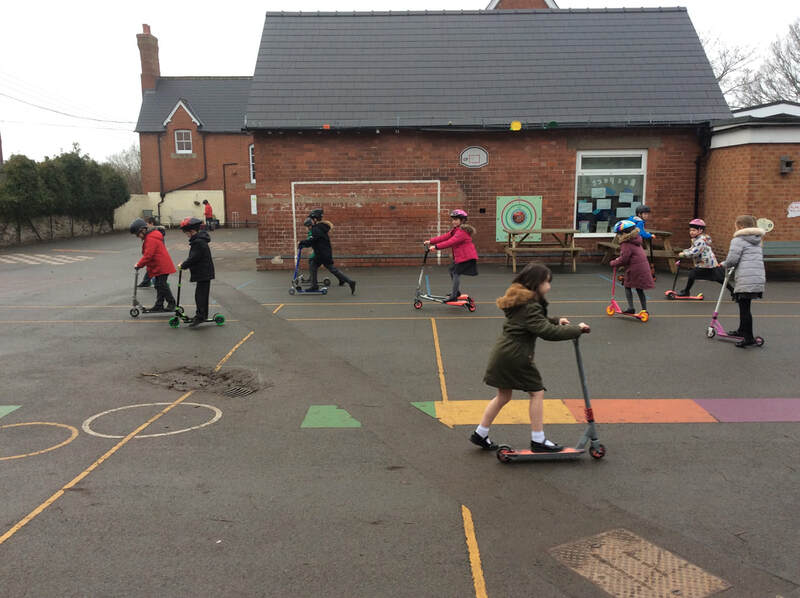 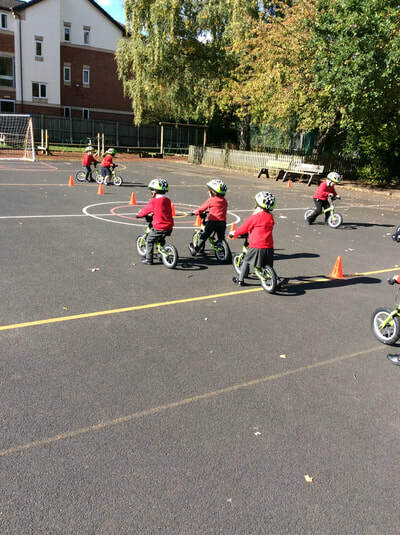 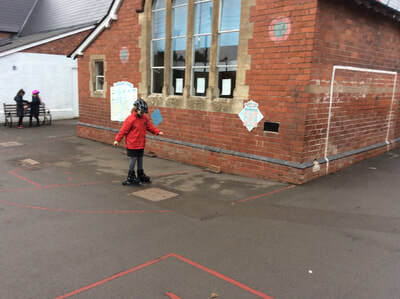 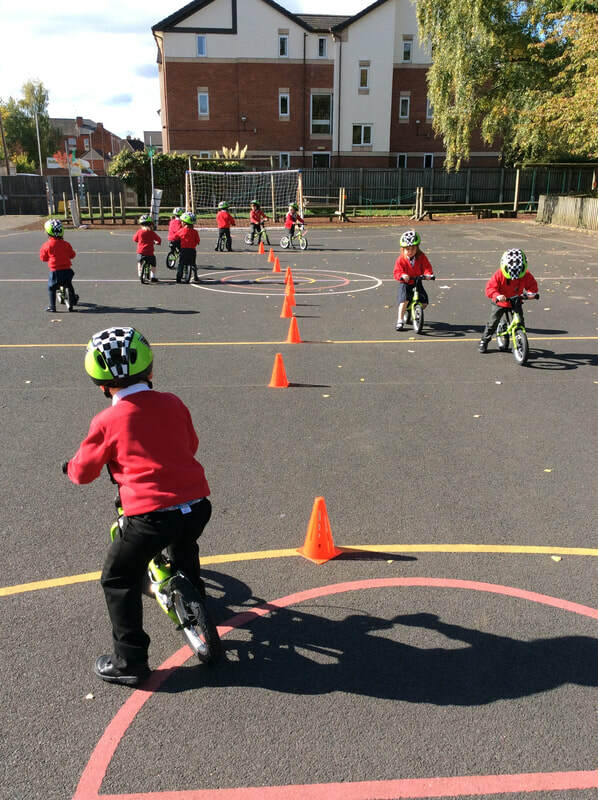 Reception Class enjoying their new balance bikes. 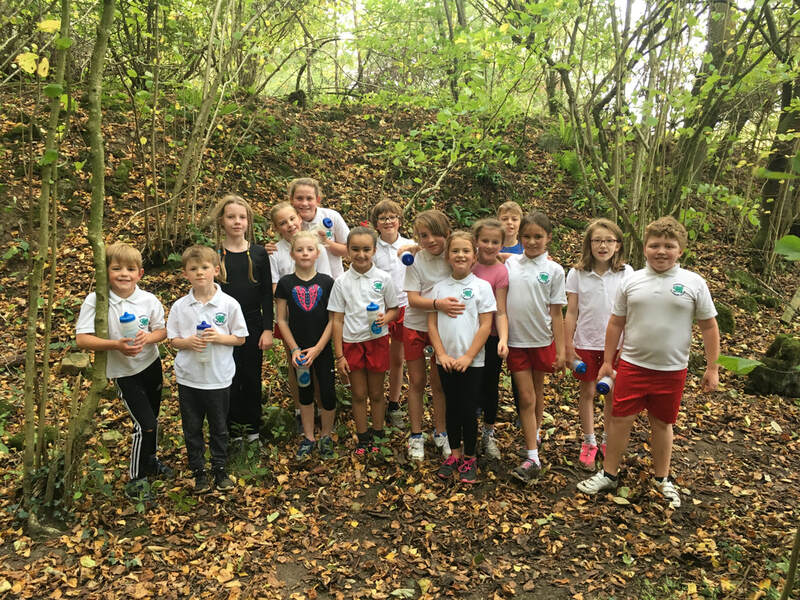 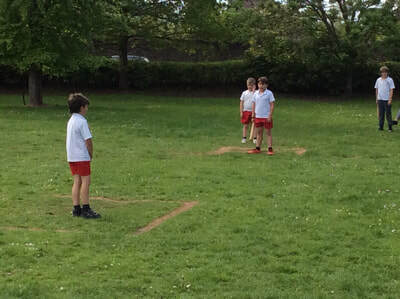 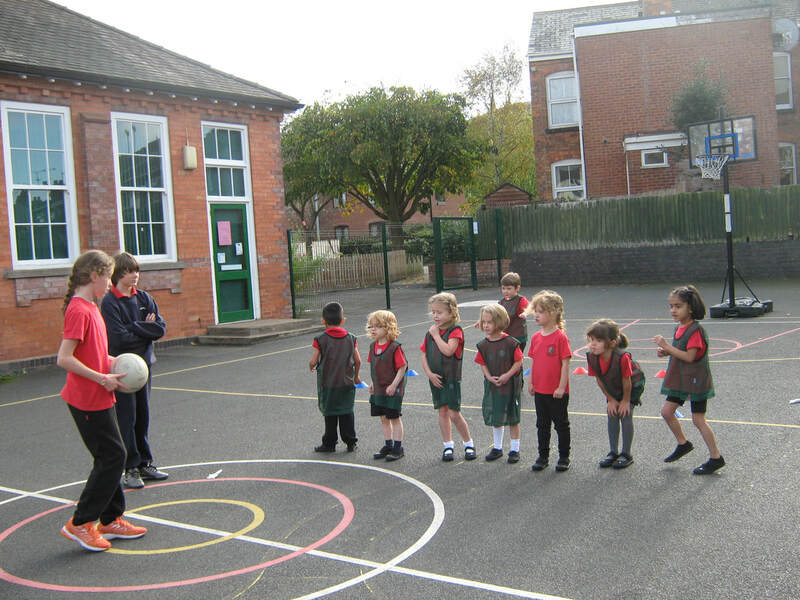 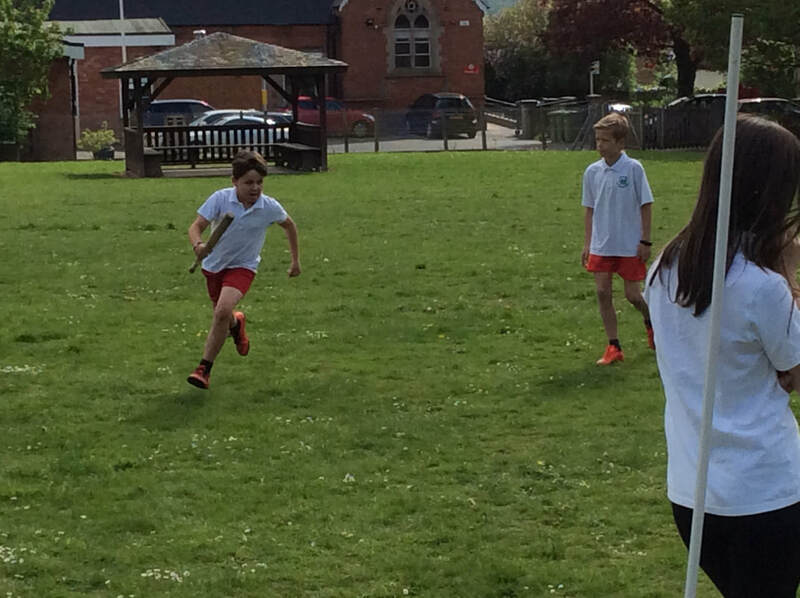 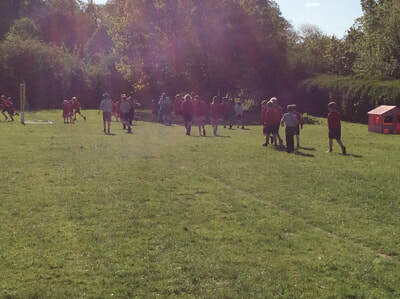 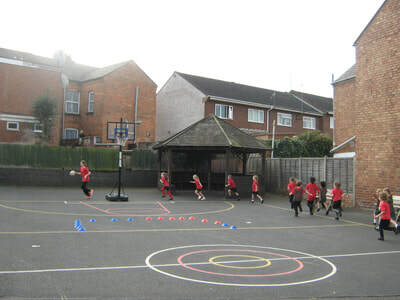 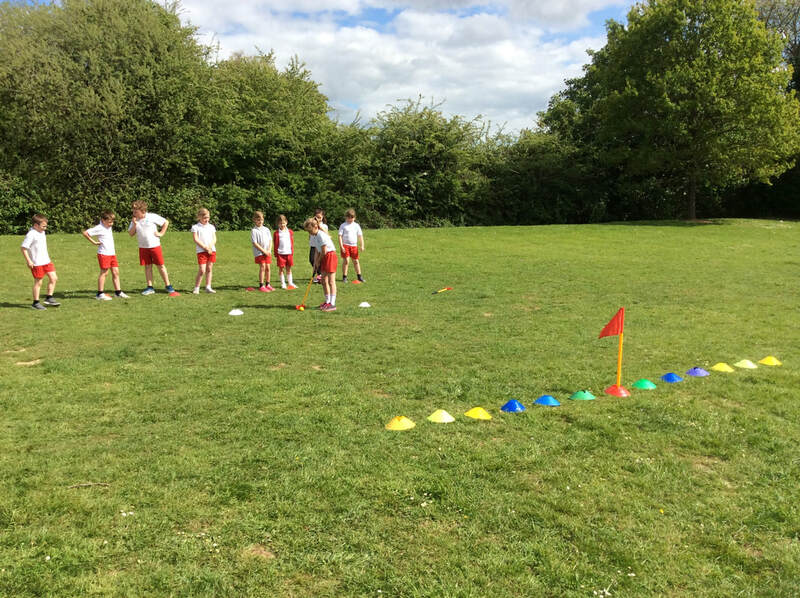 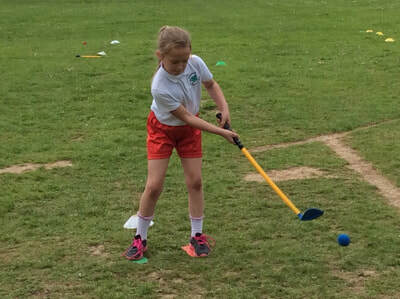 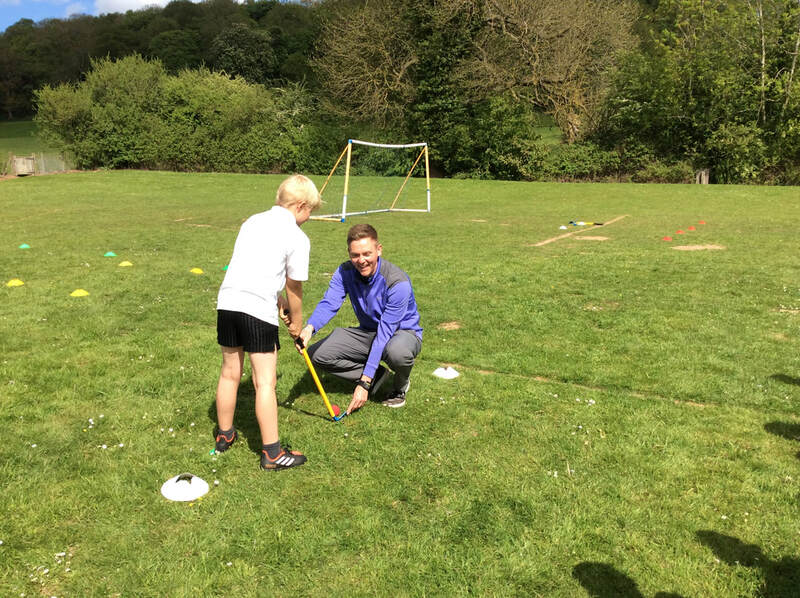 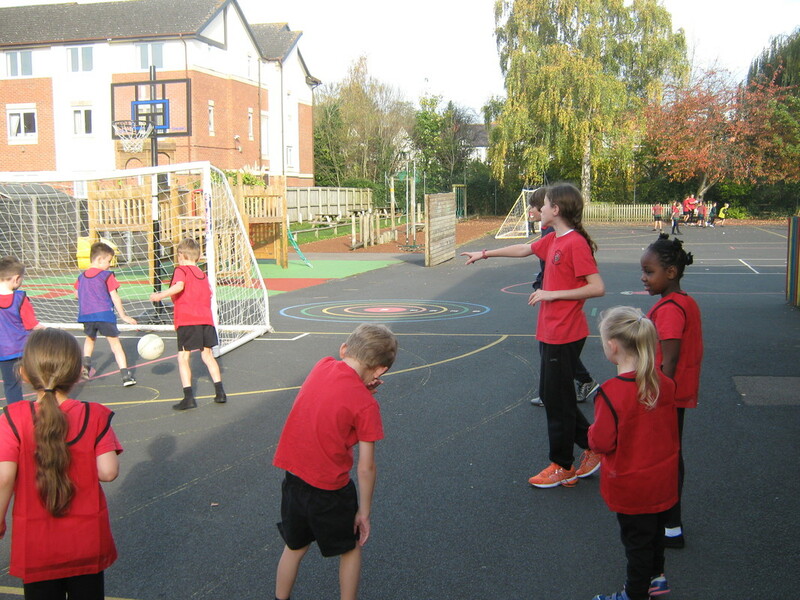 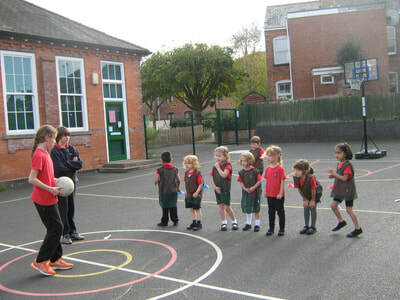 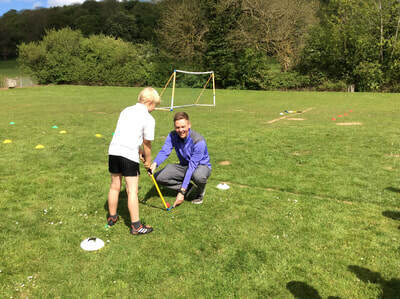 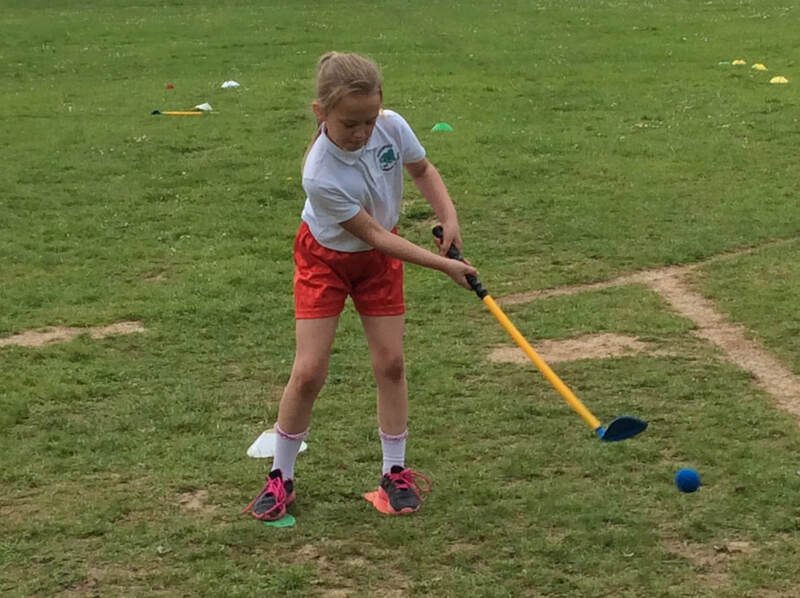 Leadership - Year 6 organised and ran a sports morning for KS1. 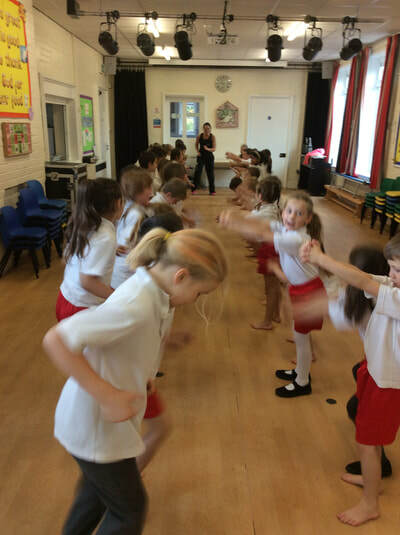 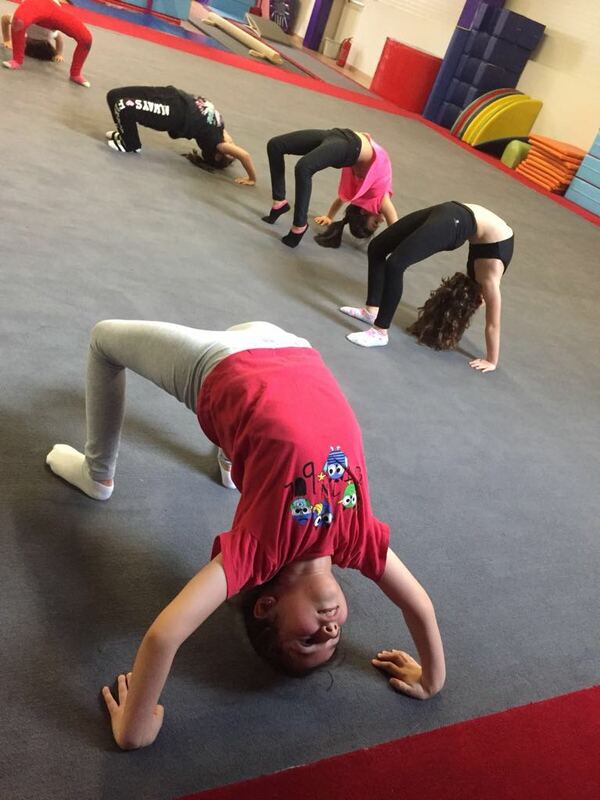 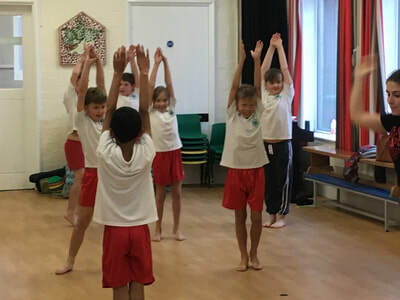 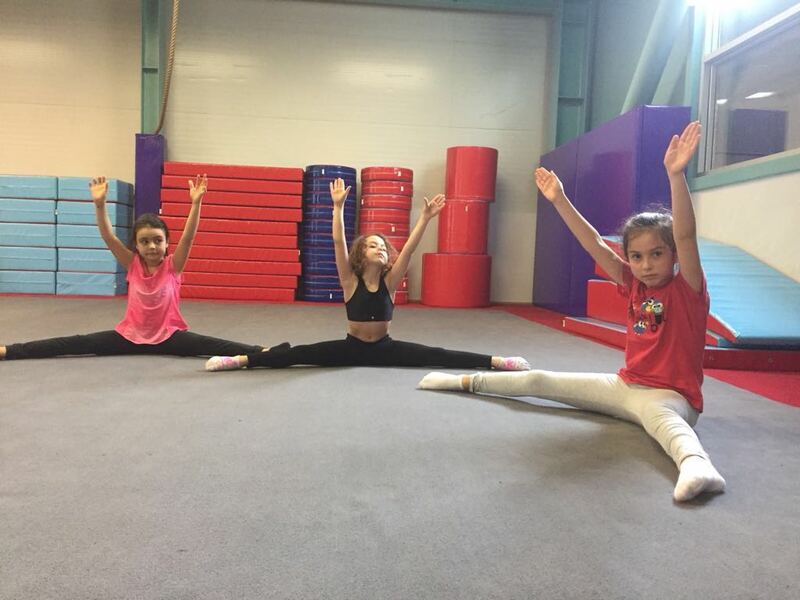 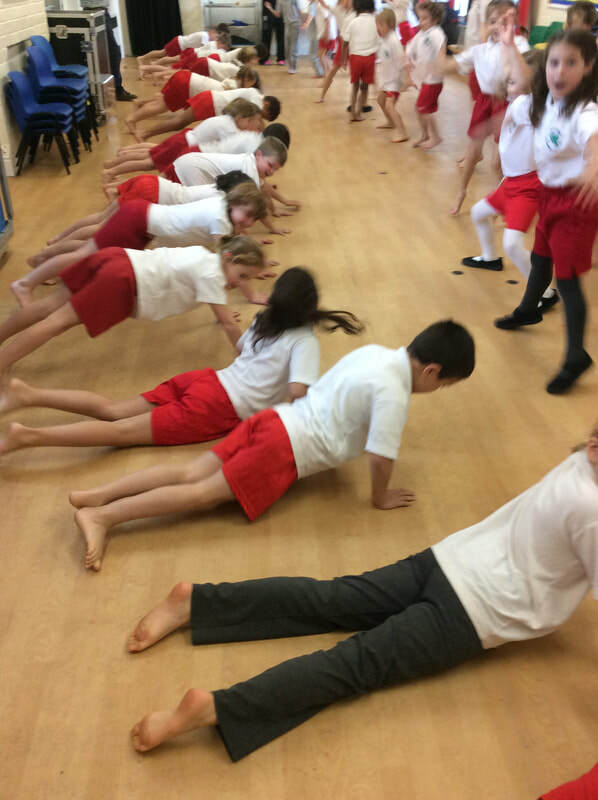 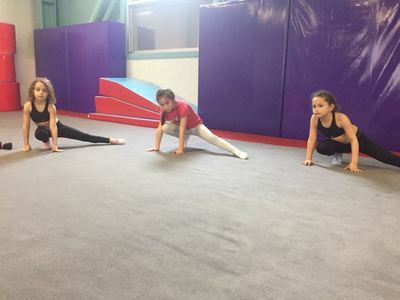 KS2 students do a short workout most days. 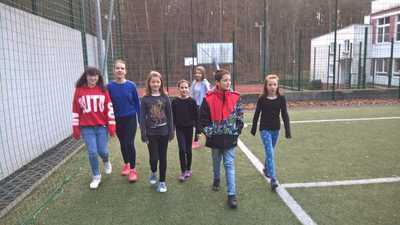 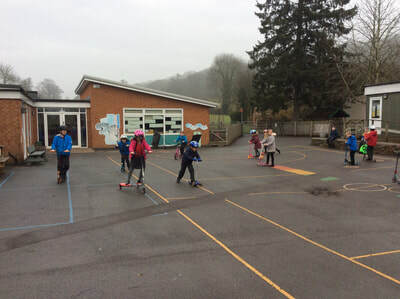 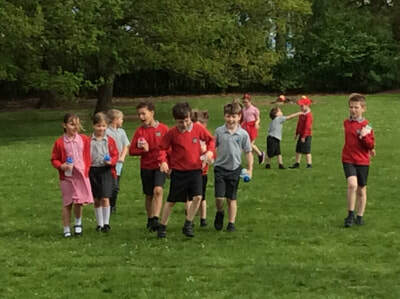 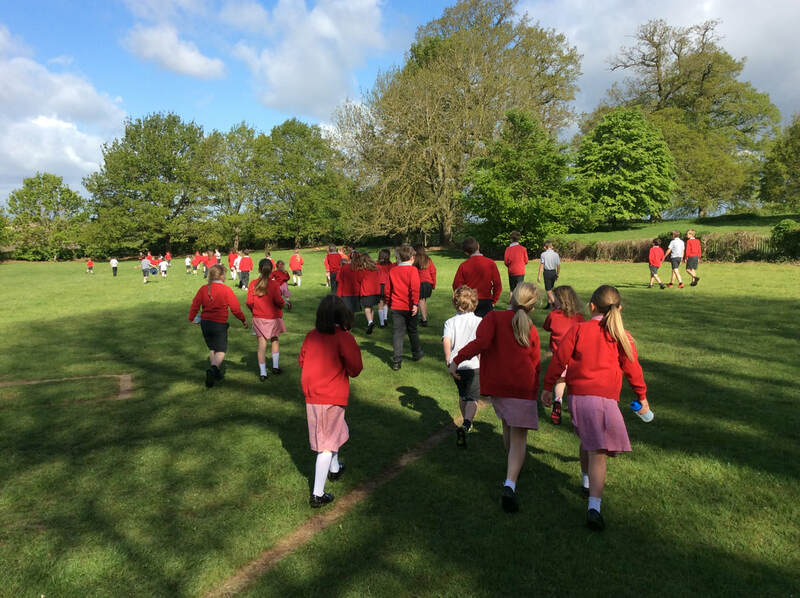 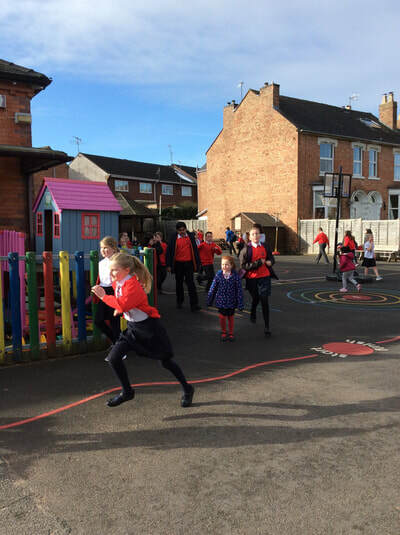 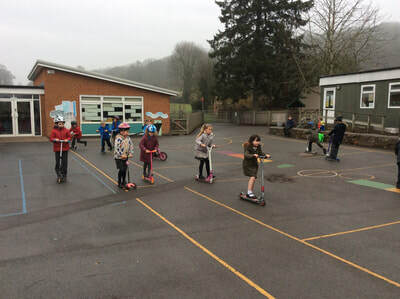 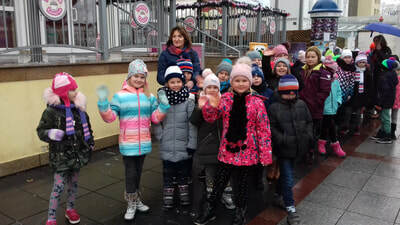 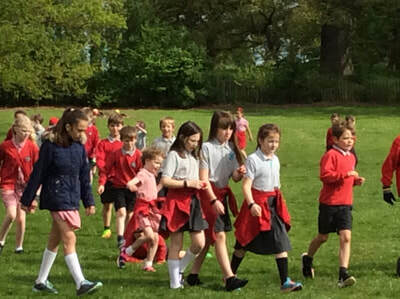 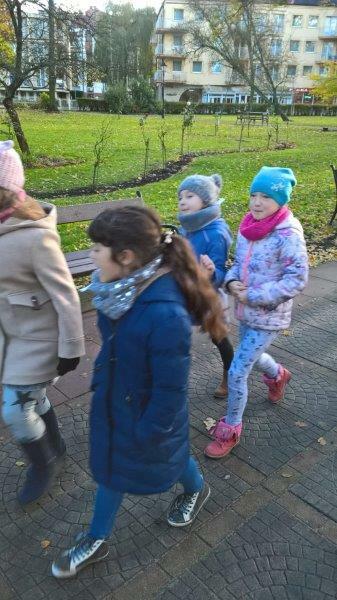 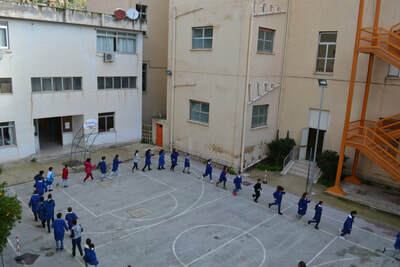 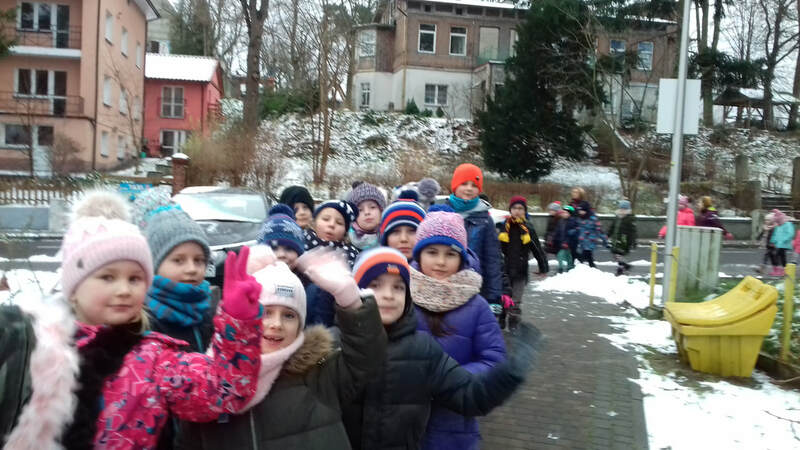 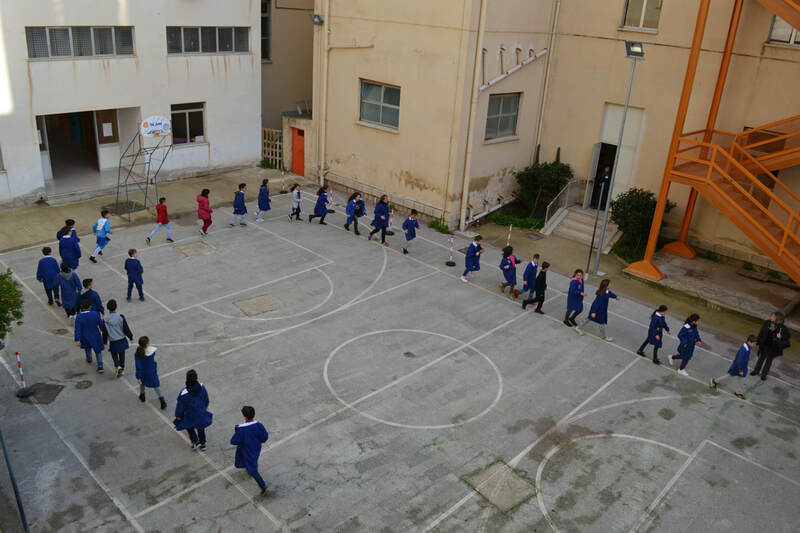 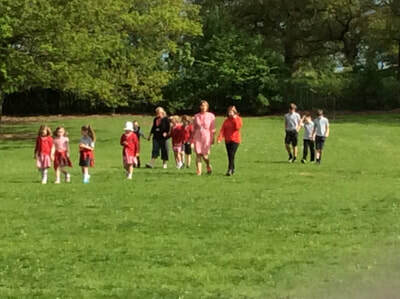 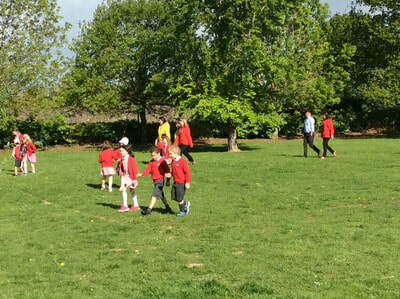 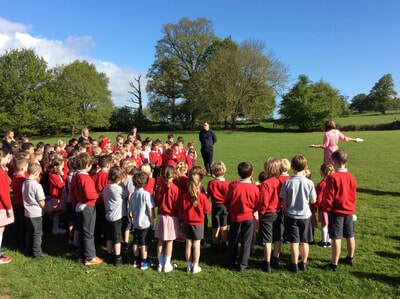 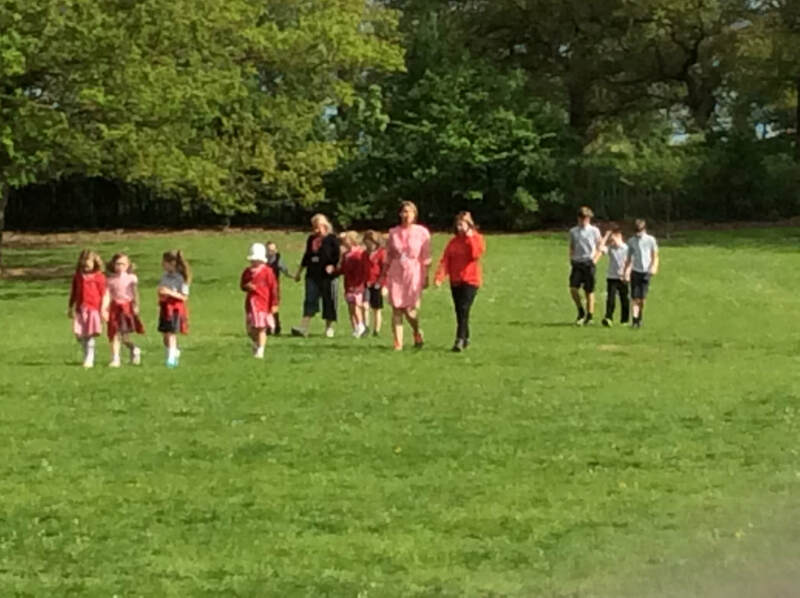 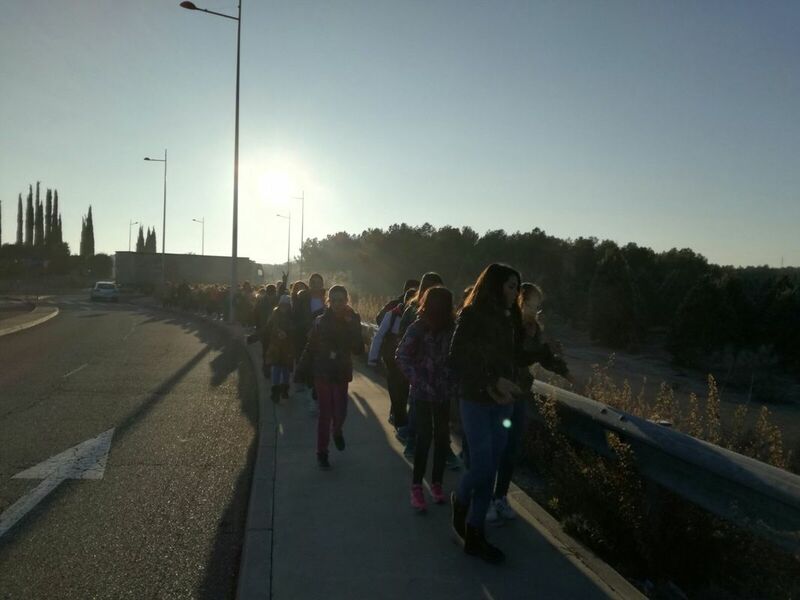 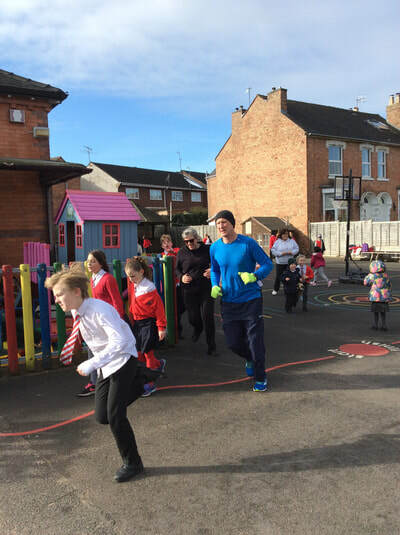 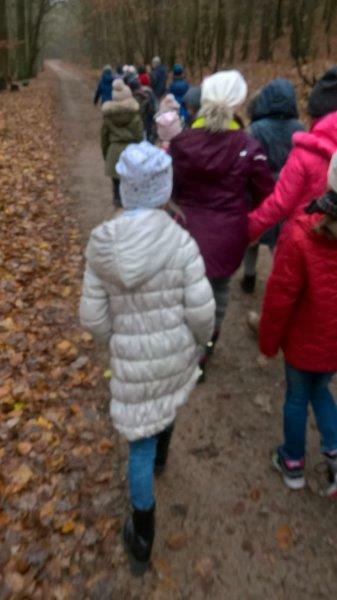 Children and parents join in the daily Mile. Our playground leaders organised some activities for our Sports week. 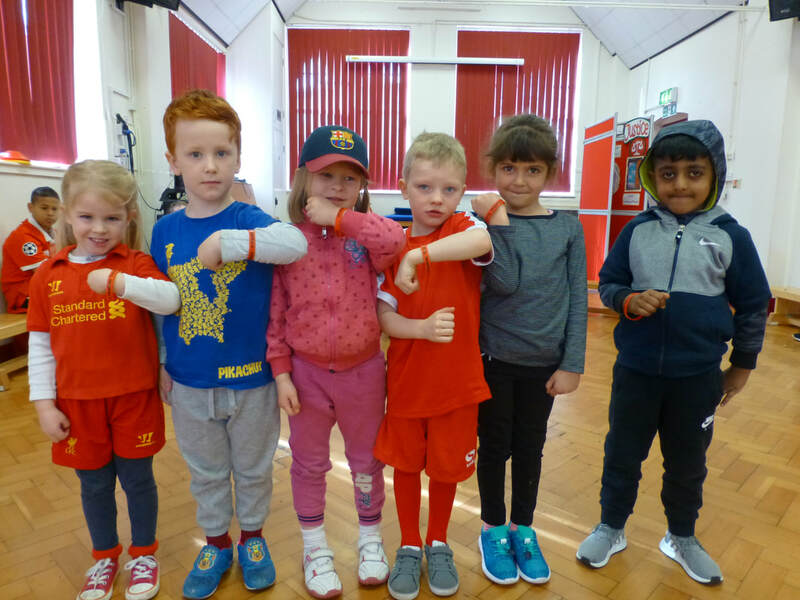 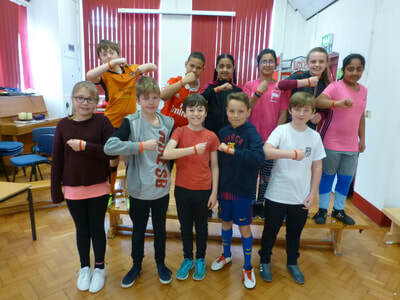 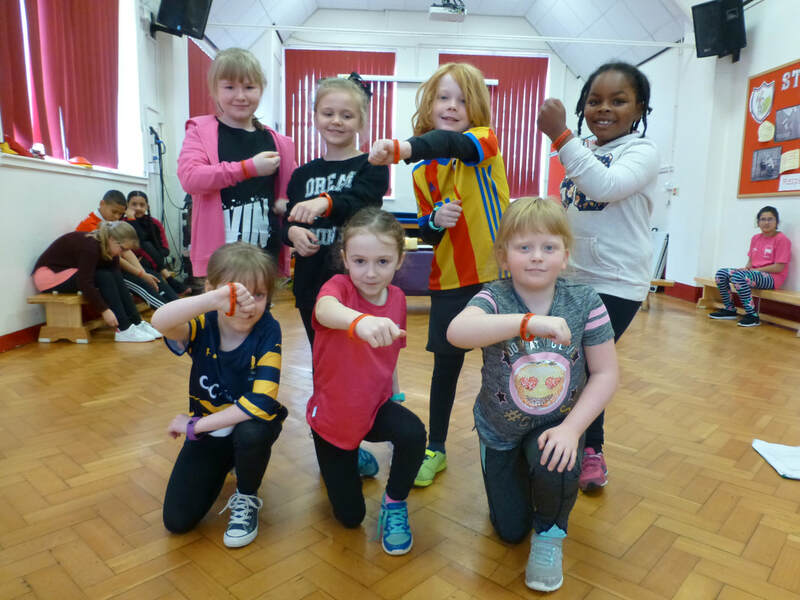 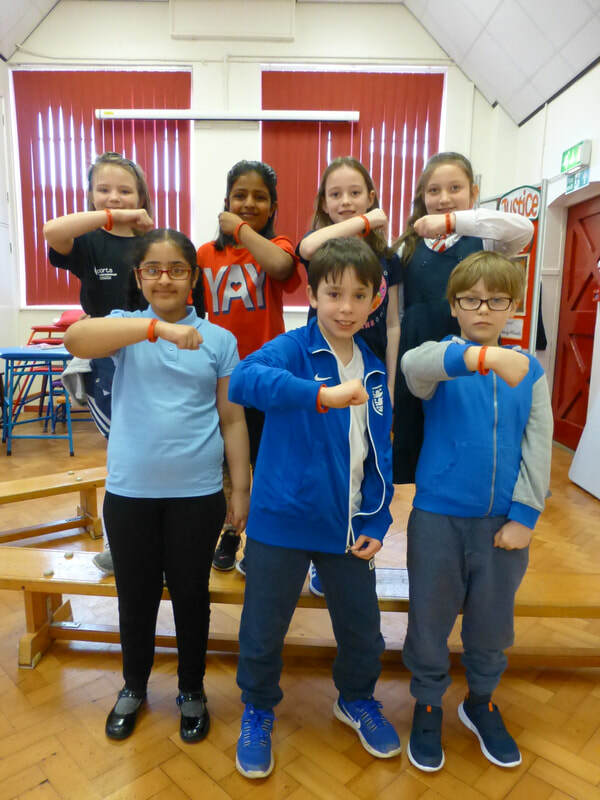 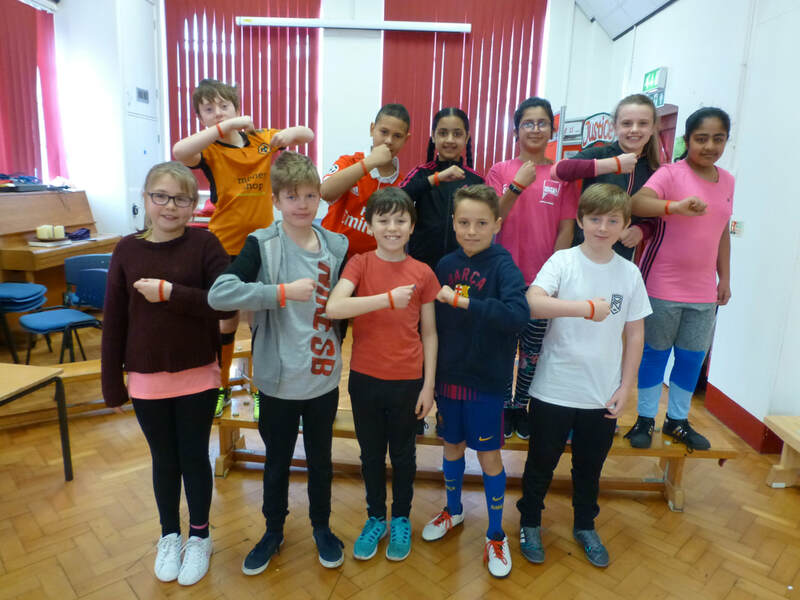 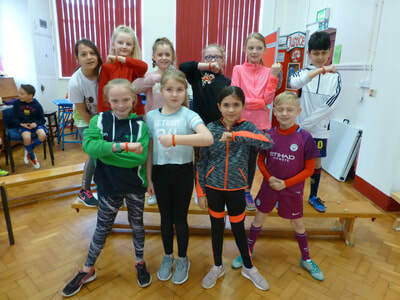 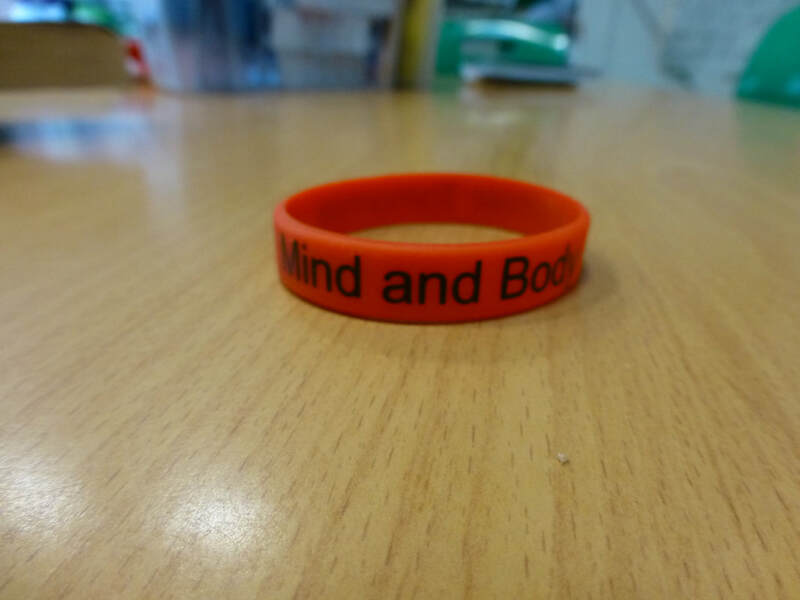 We have mind and body wristbands as a reward for superb engagement with the everyday activities. 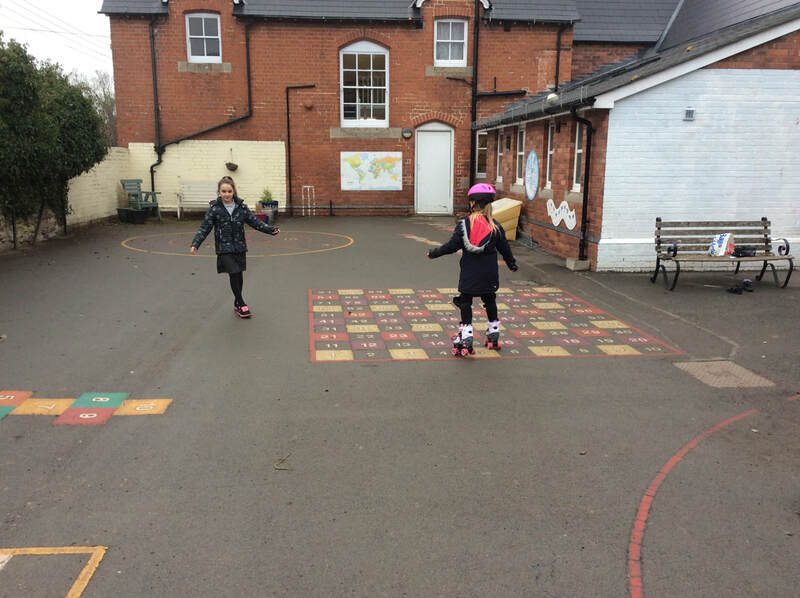 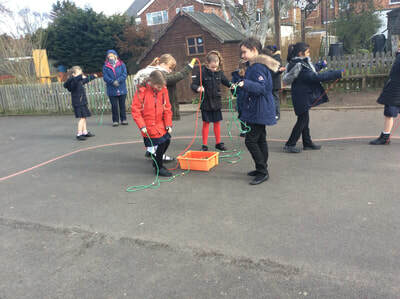 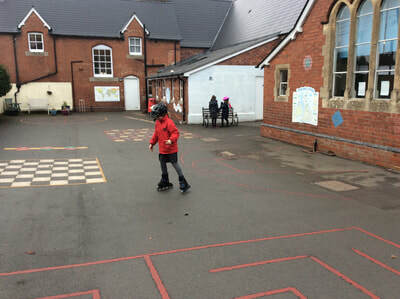 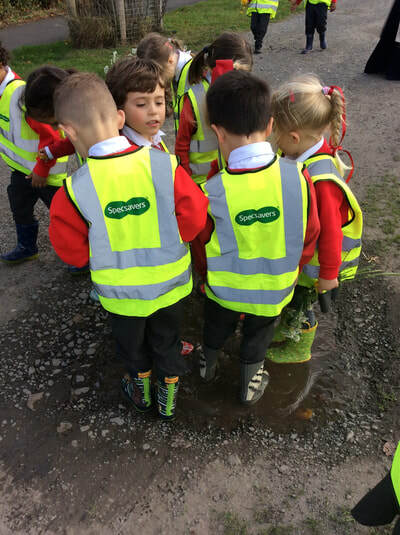 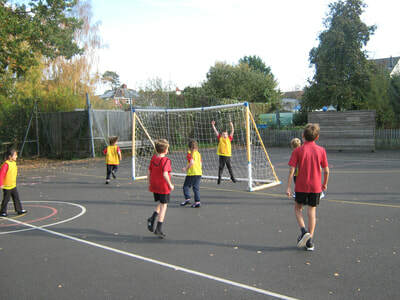 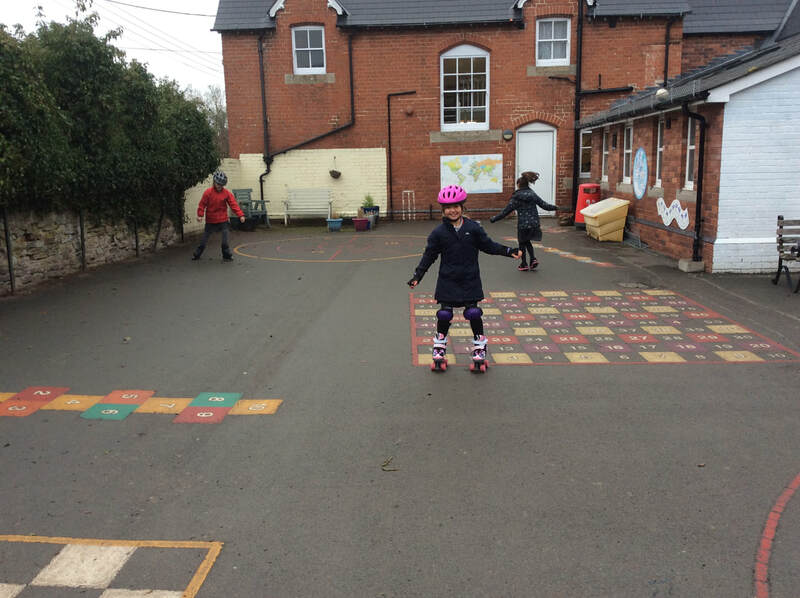 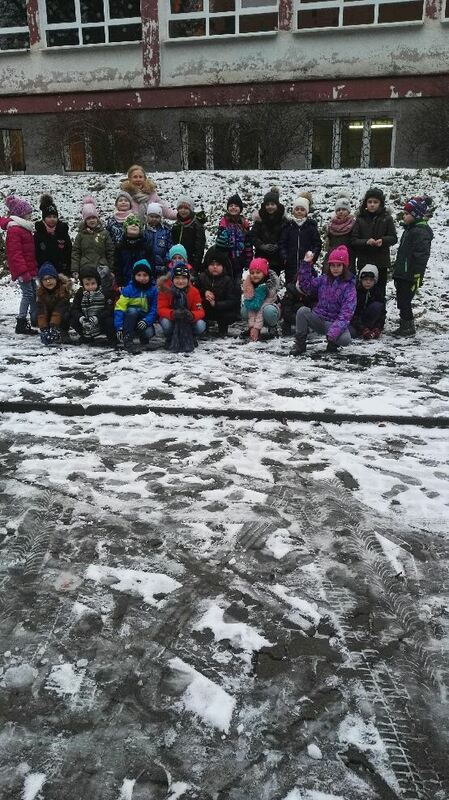 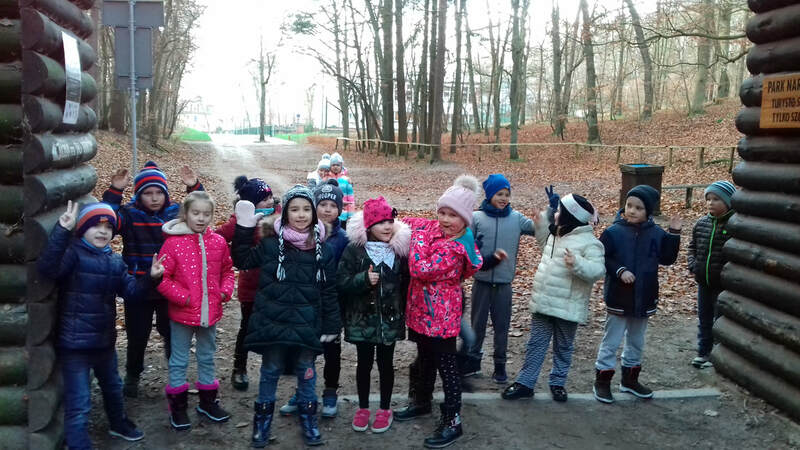 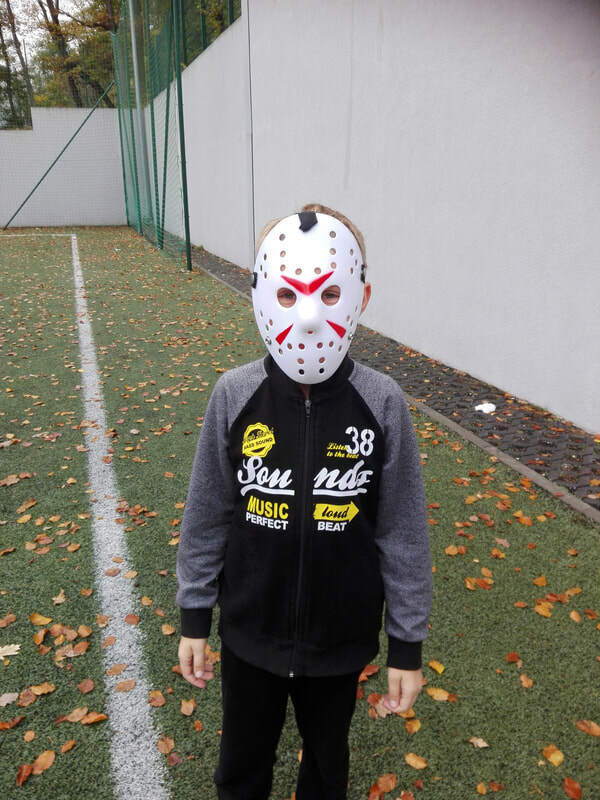 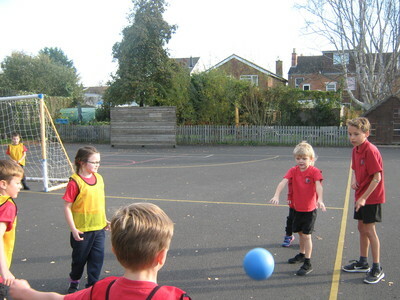 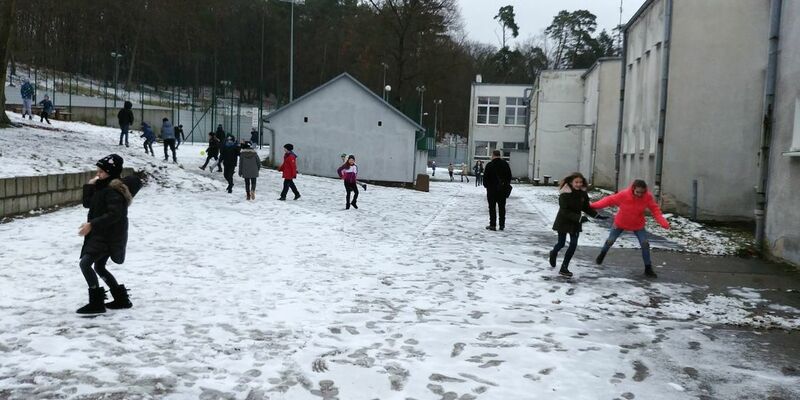 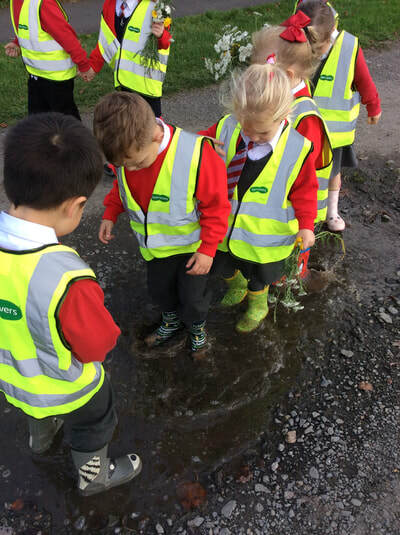 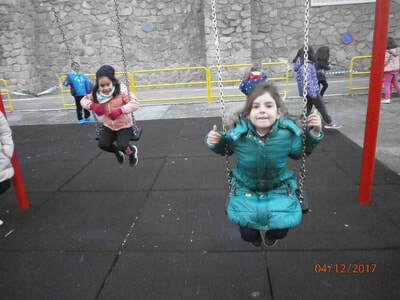 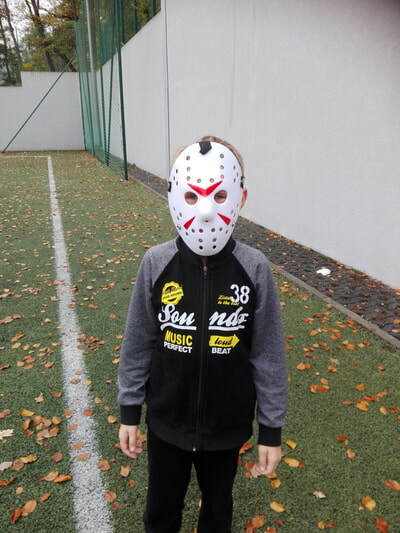 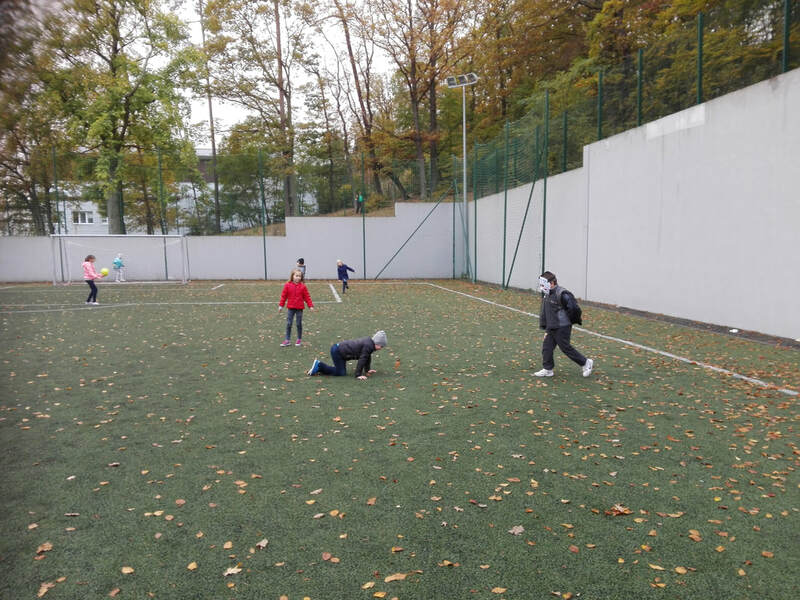 We played different team games in the playground. 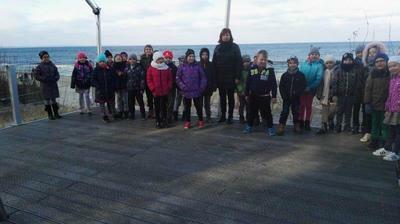 We enjoyed it very much. 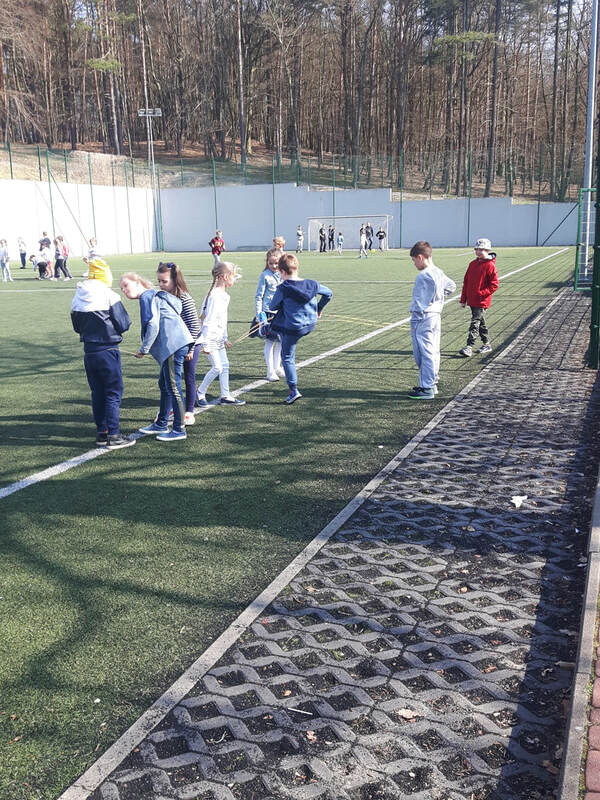 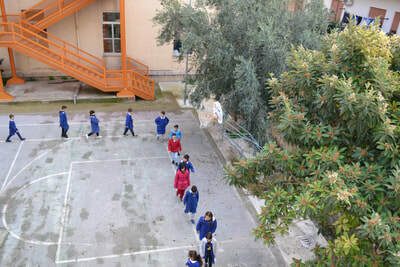 Pre-school students do physical exercises at school. 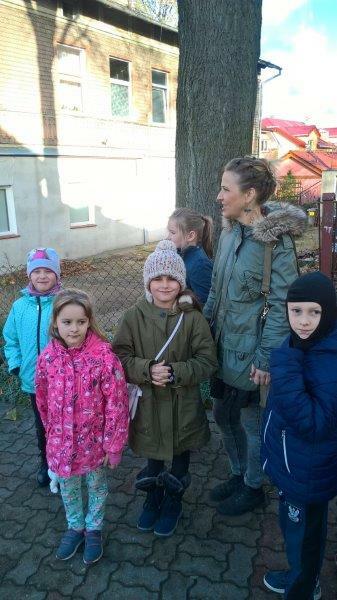 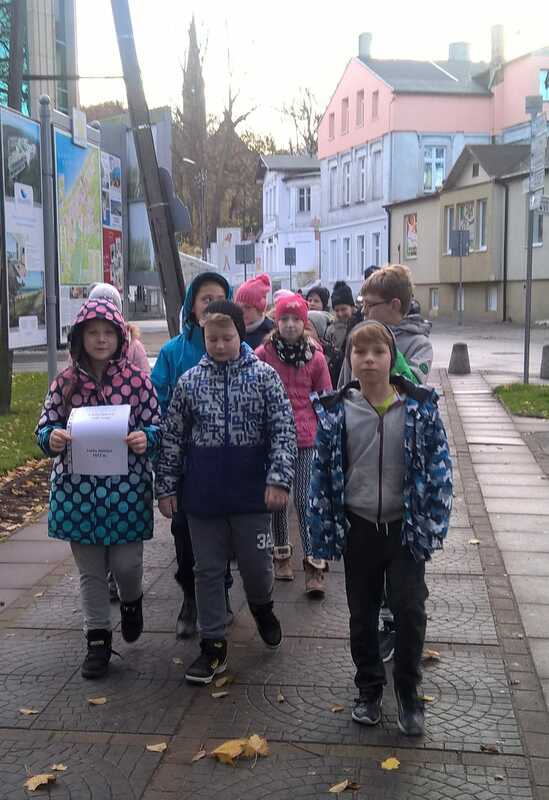 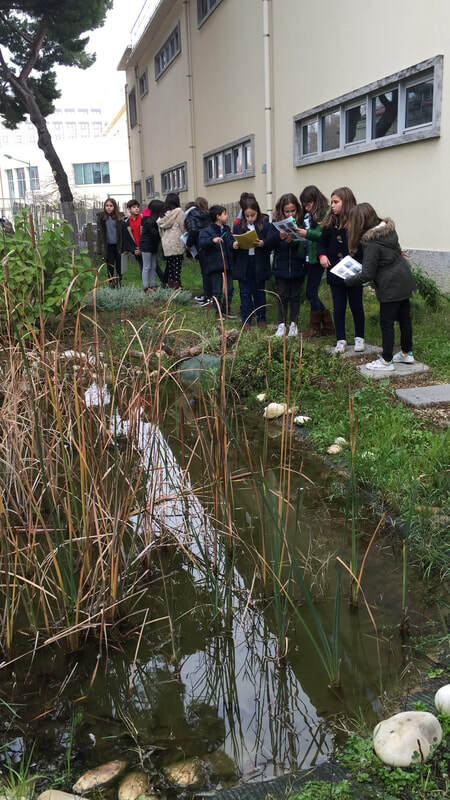 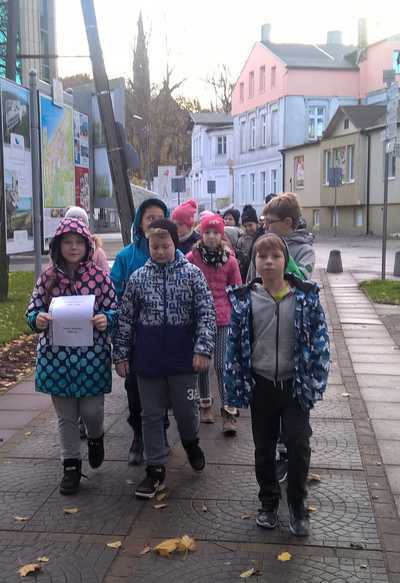 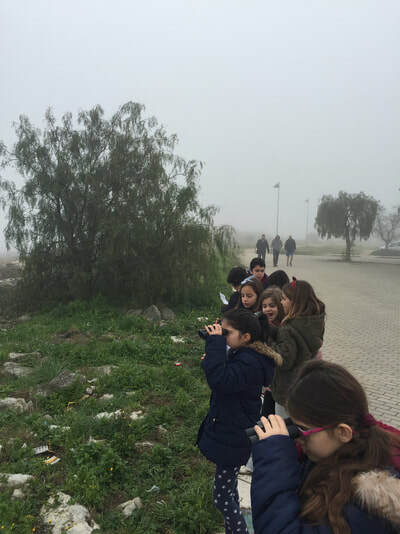 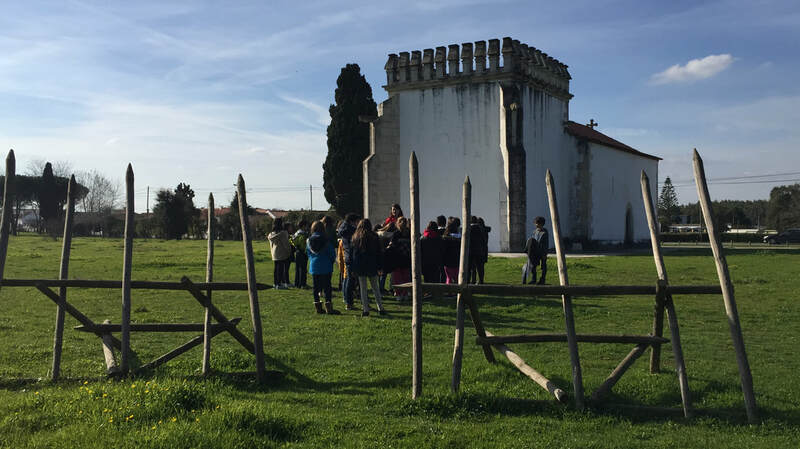 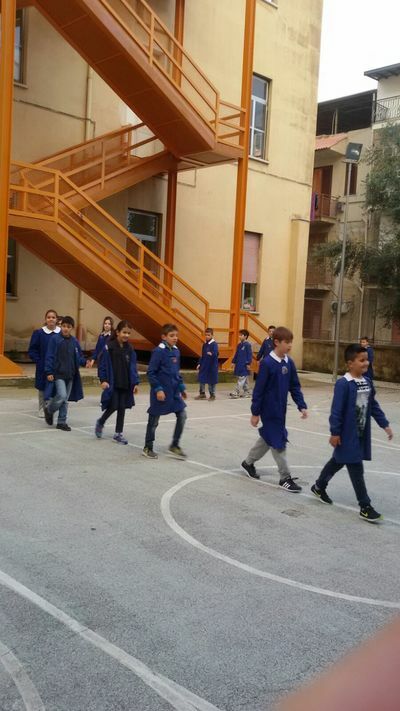 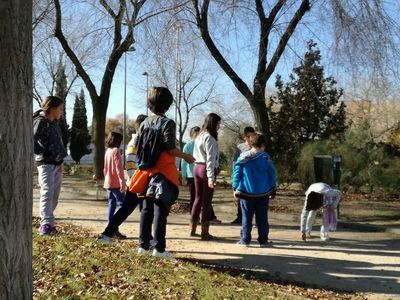 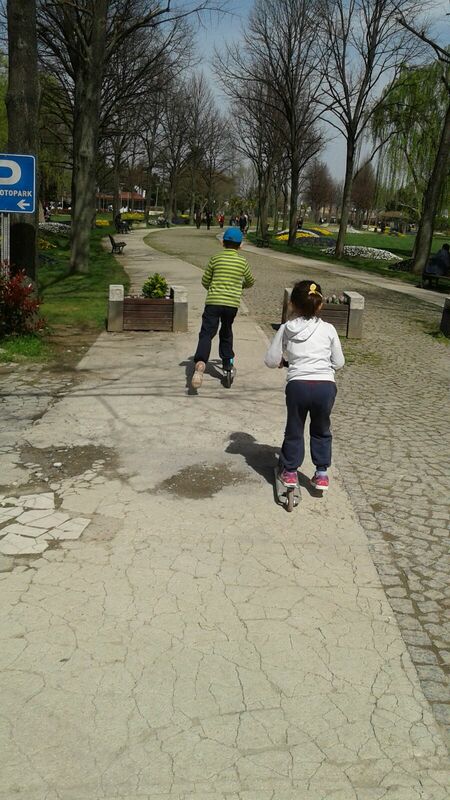 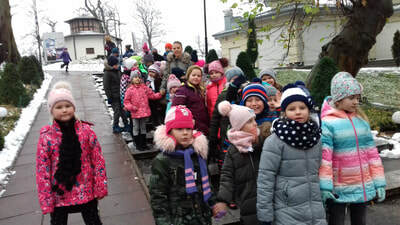 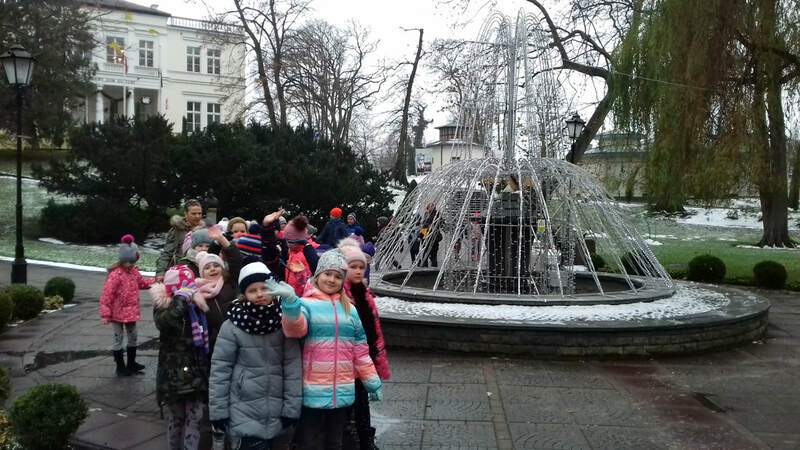 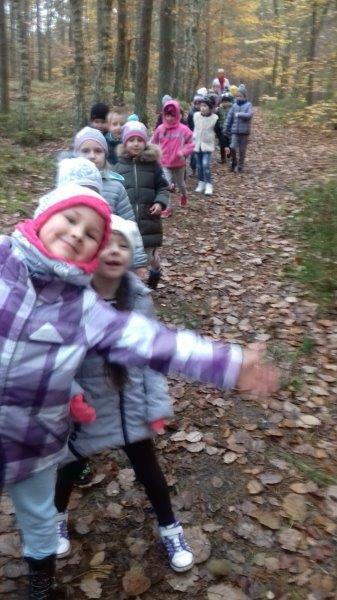 Primary students go for a walk around our neighborhood. 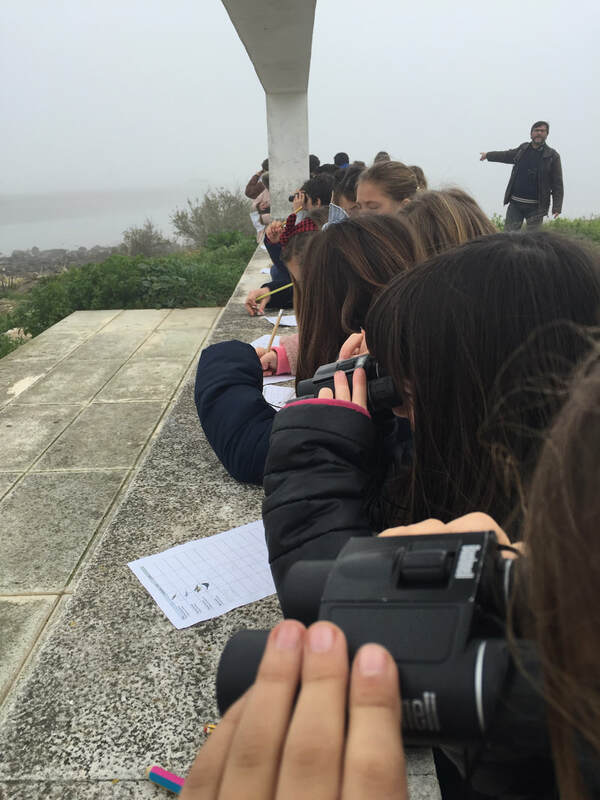 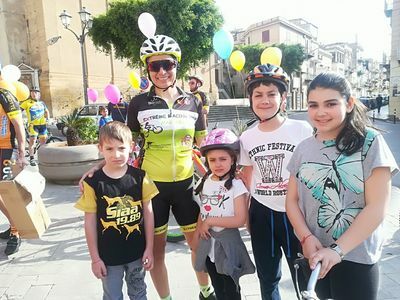 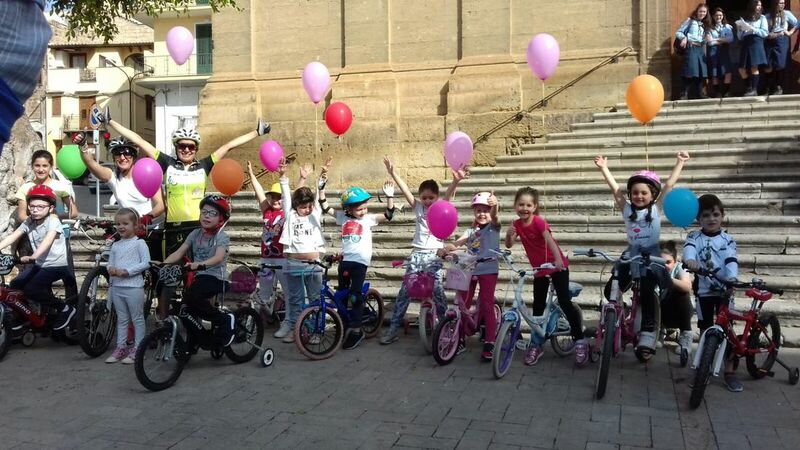 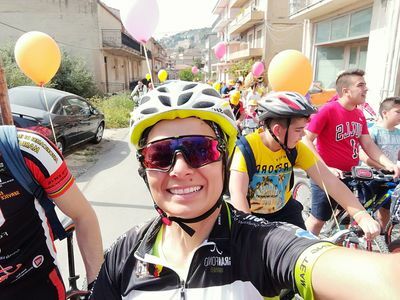 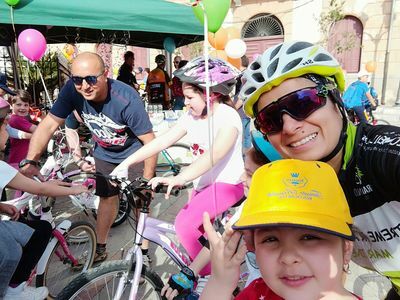 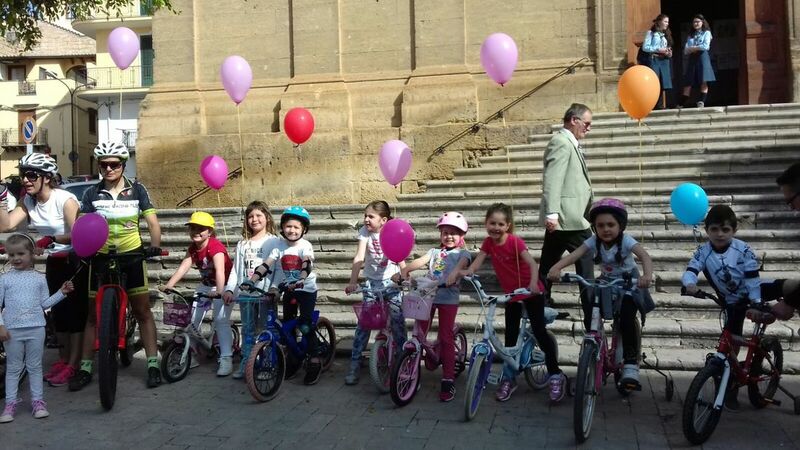 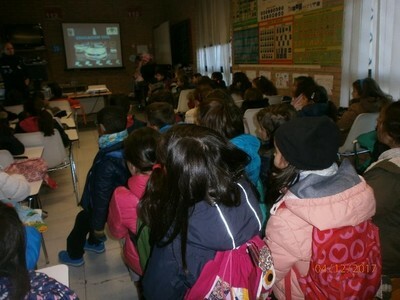 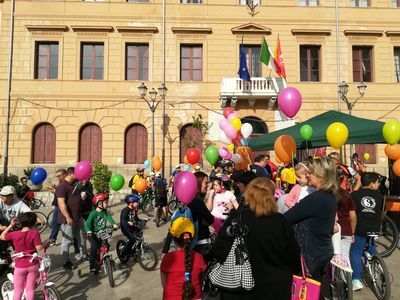 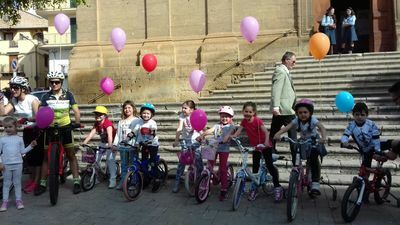 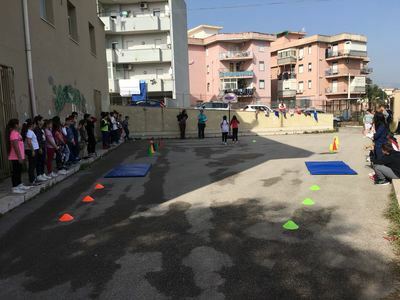 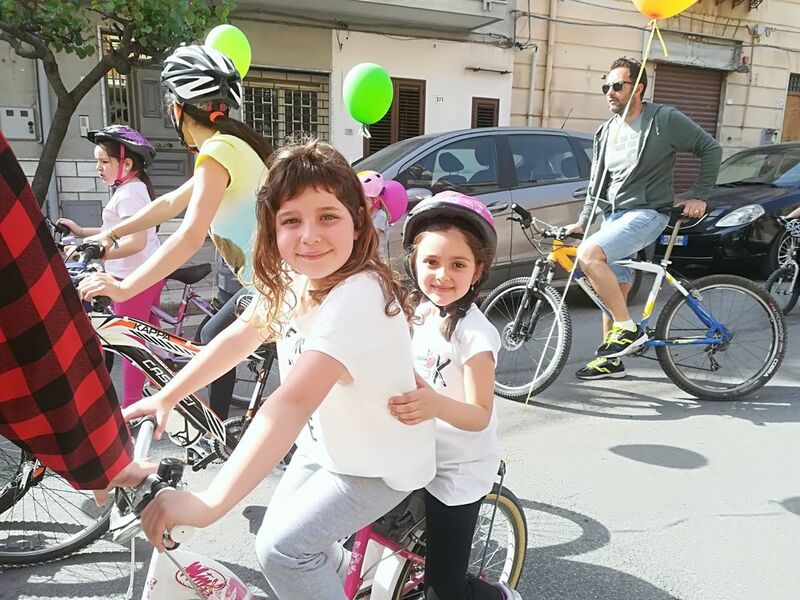 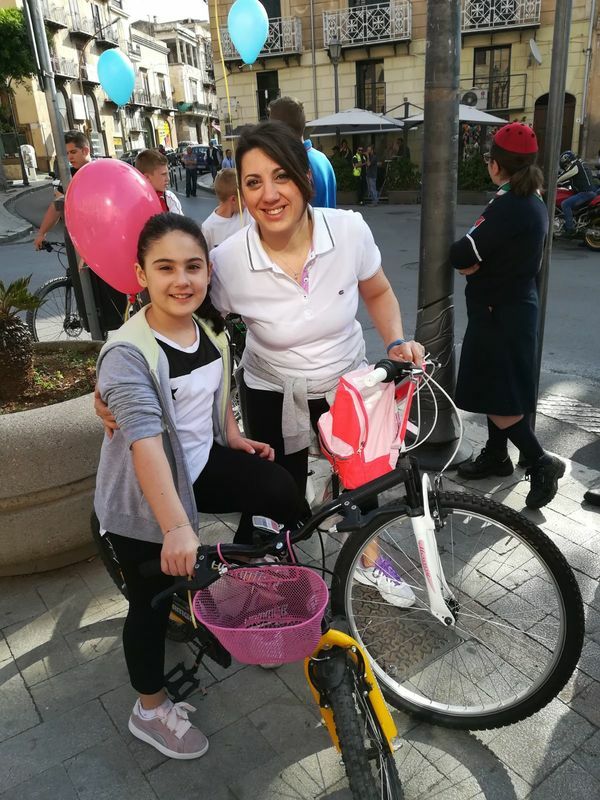 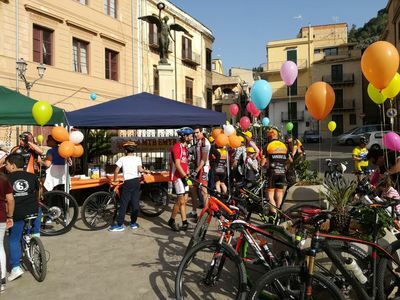 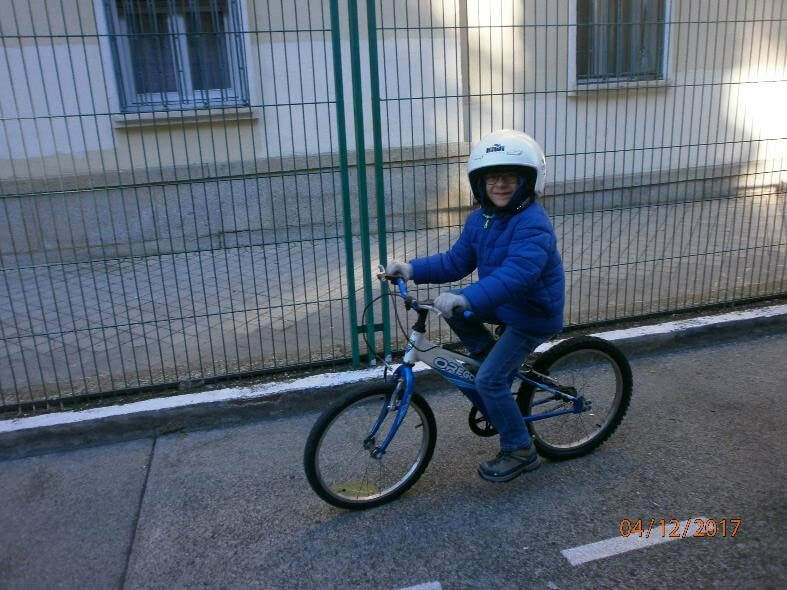 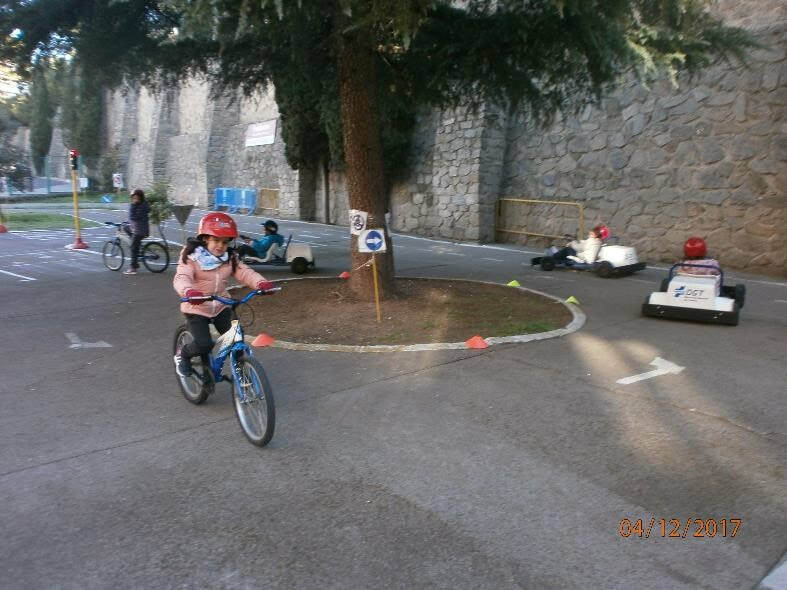 Our sudents enjoy road education with the collaboration of the local police every year. 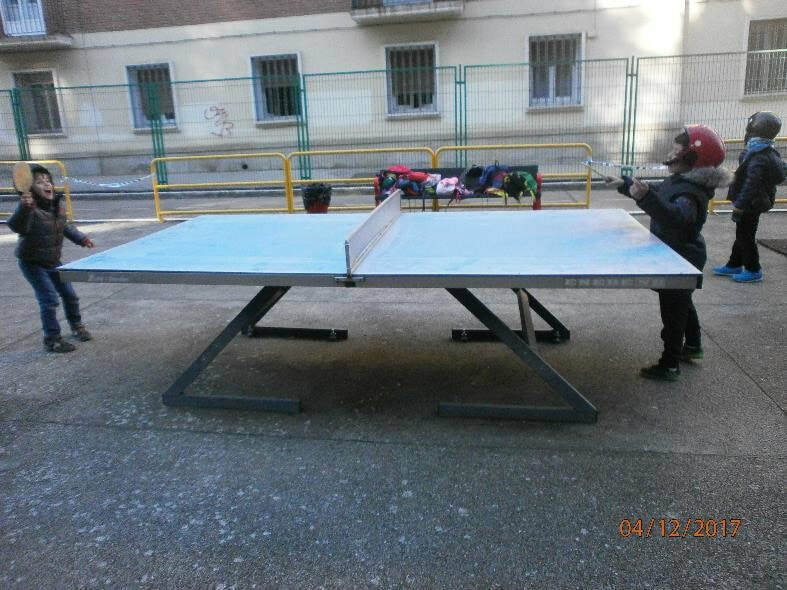 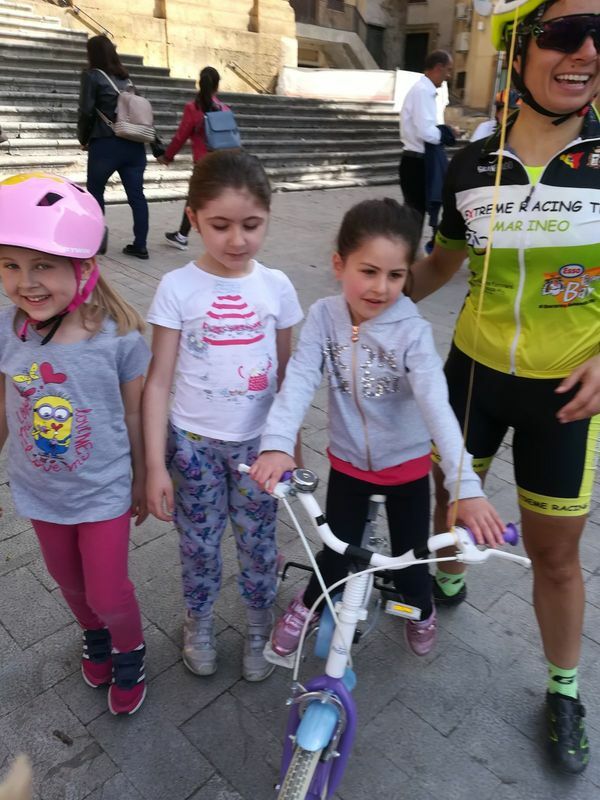 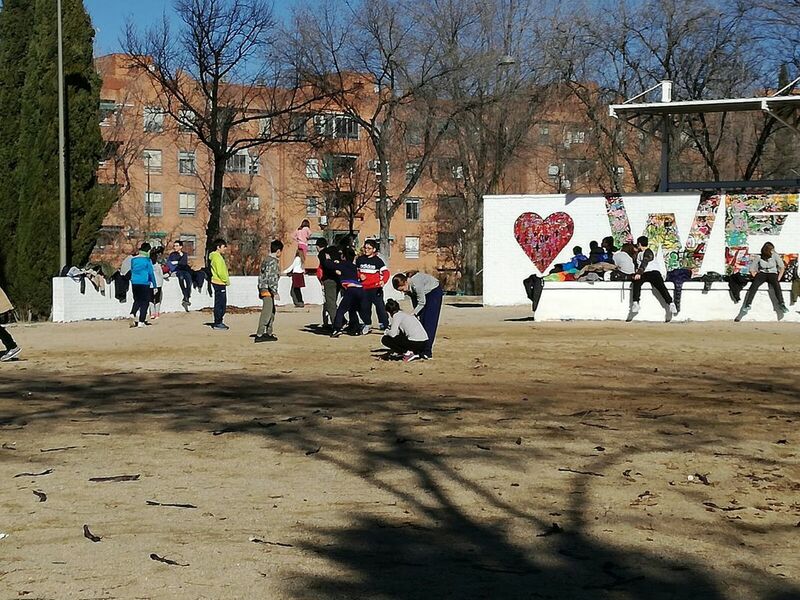 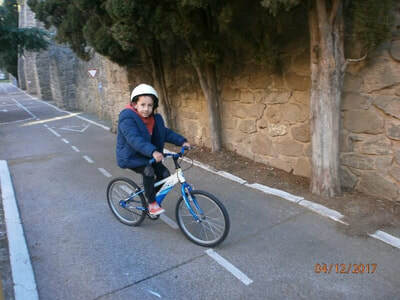 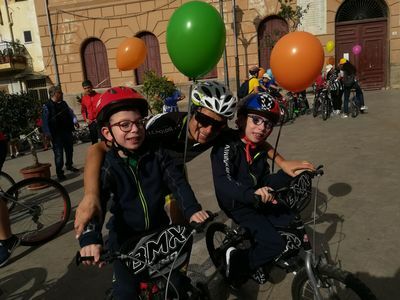 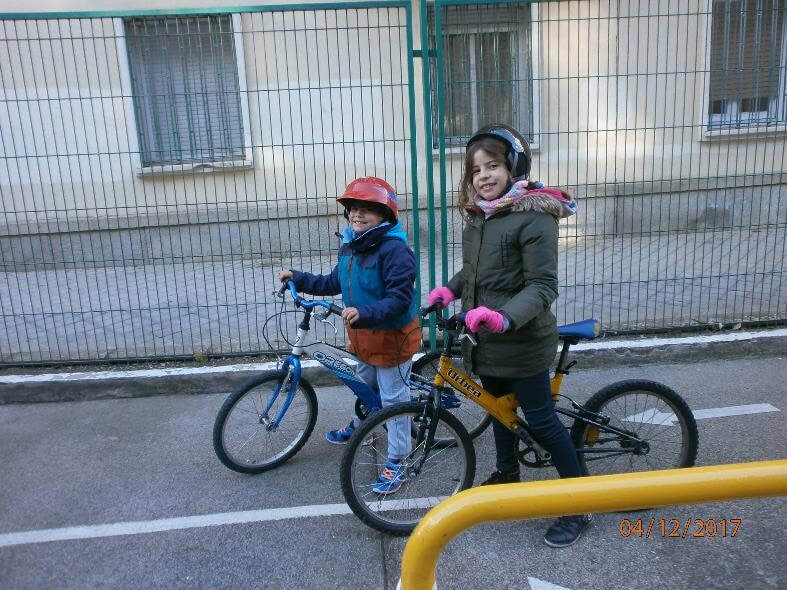 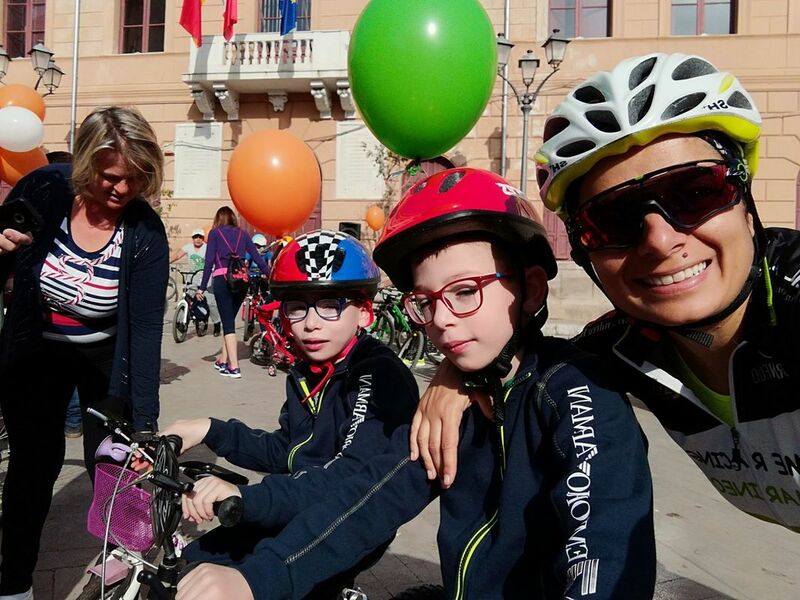 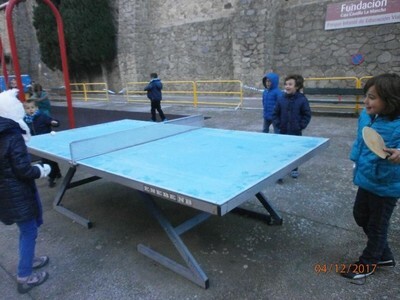 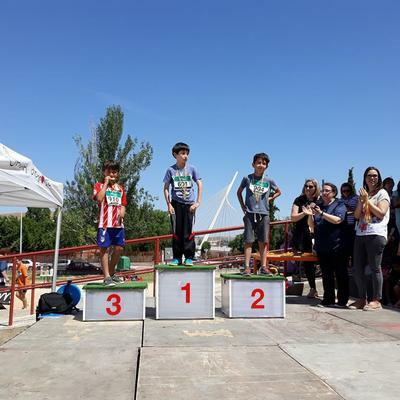 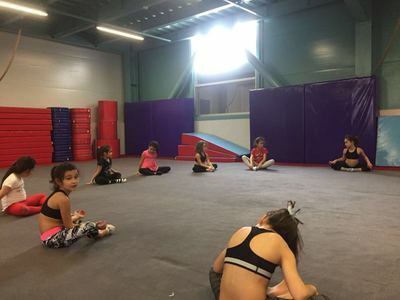 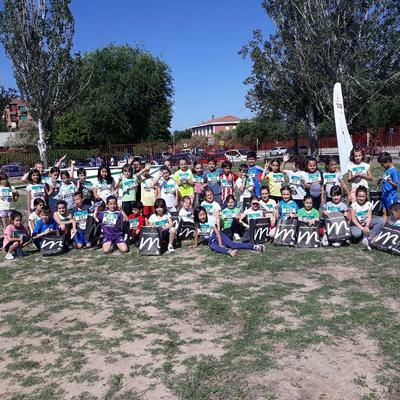 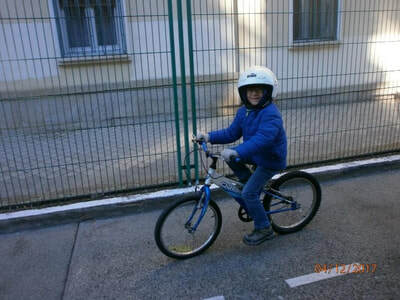 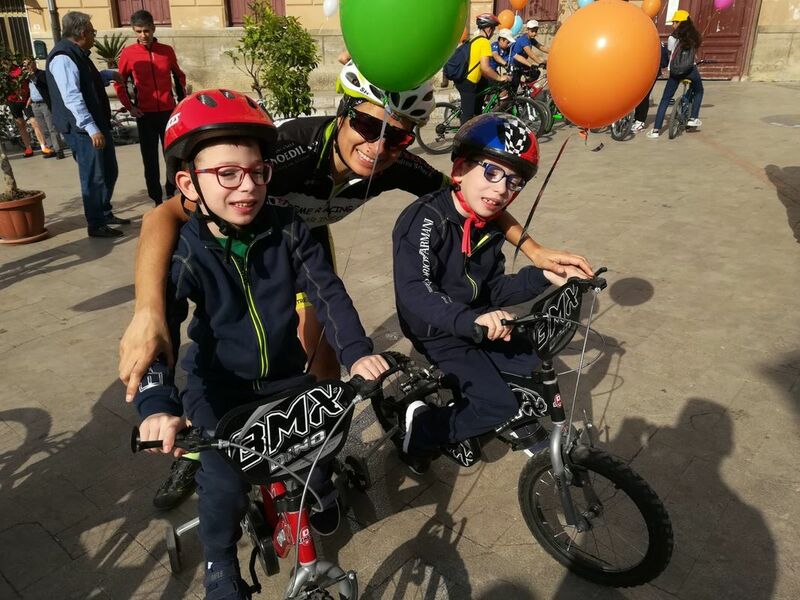 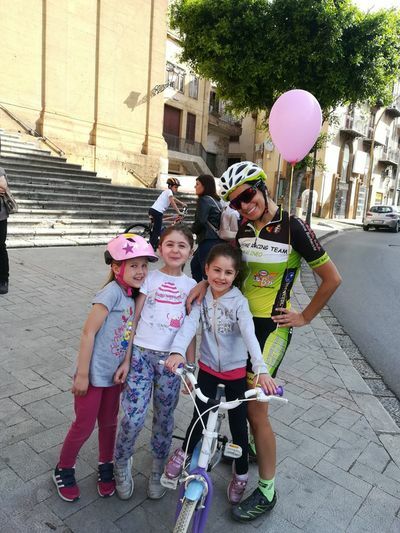 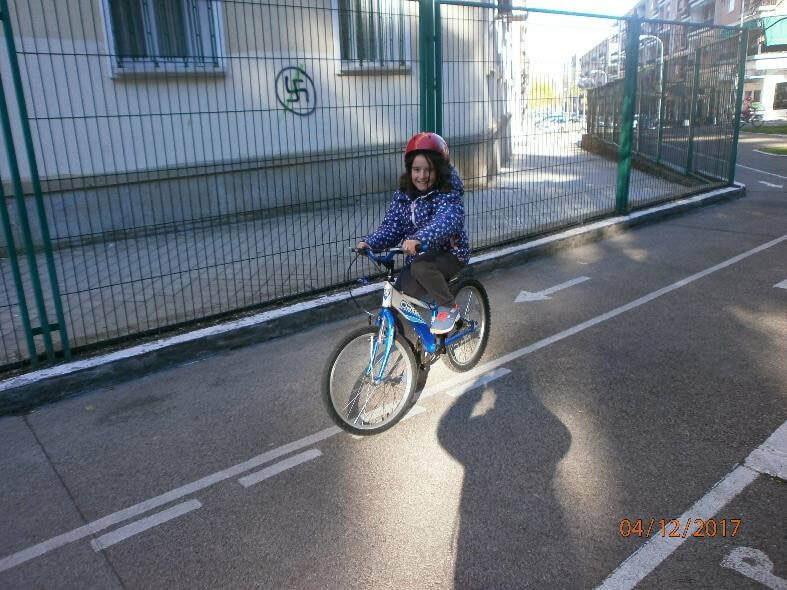 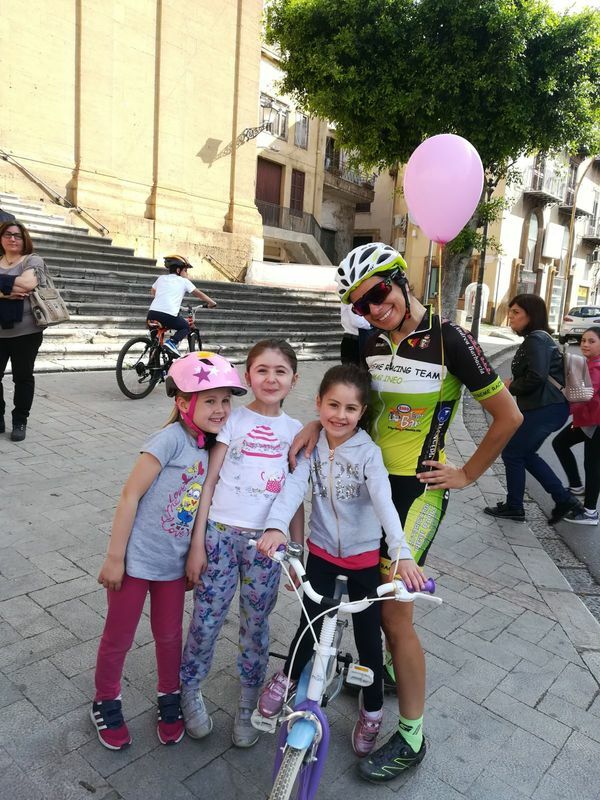 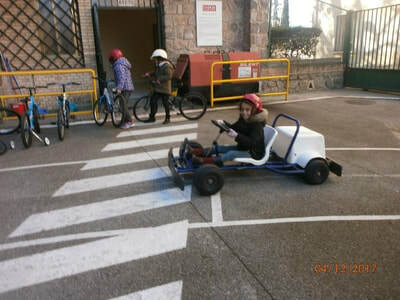 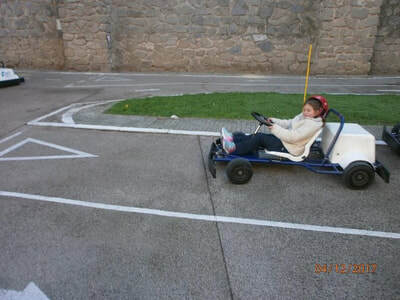 They have theoretical lessons and then, play sports and ride minicars and bicycles in a circuit with traffic signs to respect. 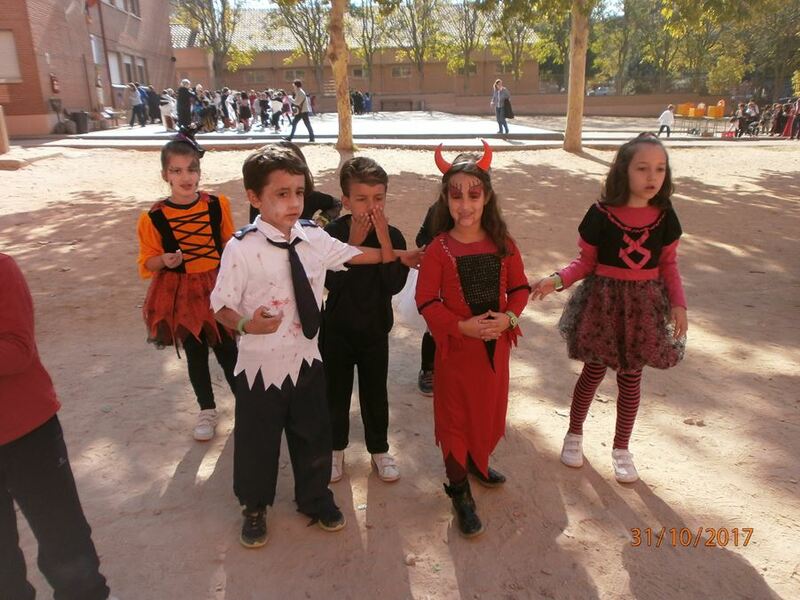 Here are some examples of 2nd graders. 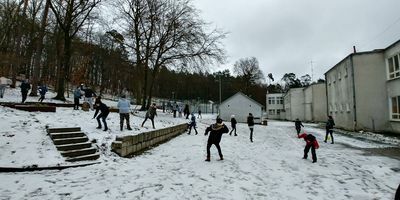 An exhibition of skating with students of our school. 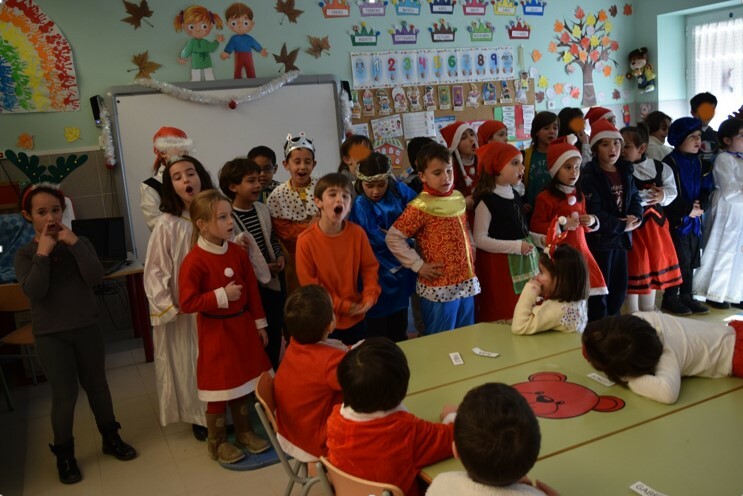 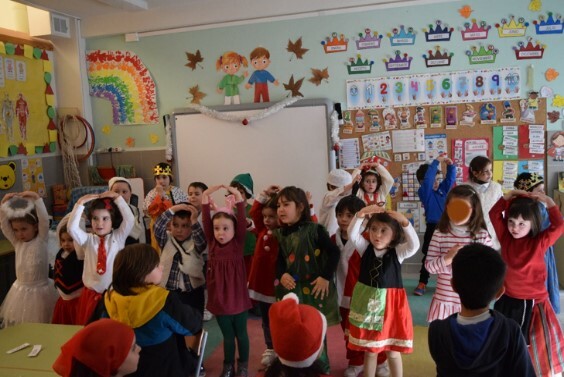 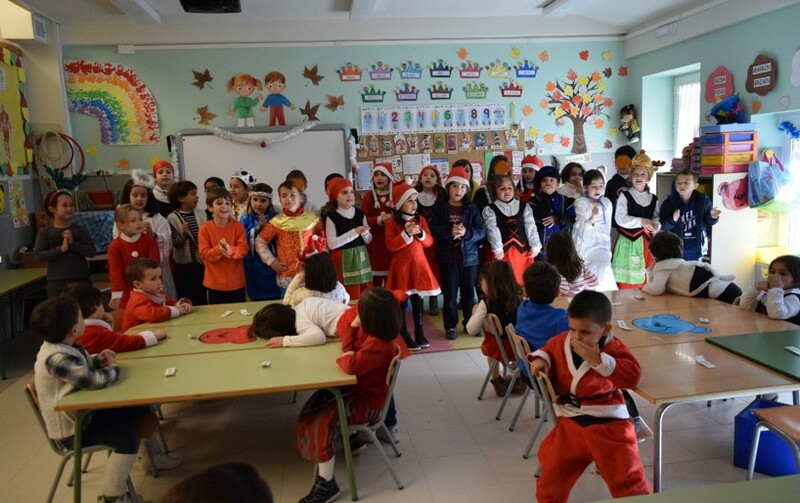 We visited infant classes to sing and dance some Christmas carols. 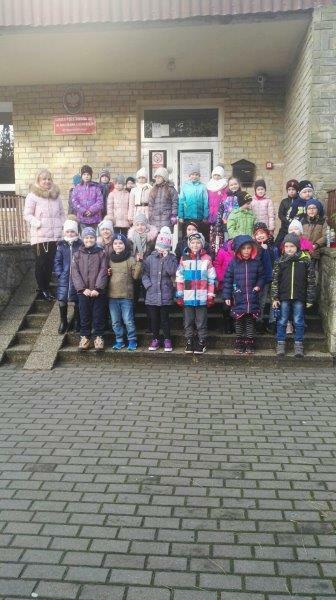 Year 4 also visited the church in our neighbourhood. 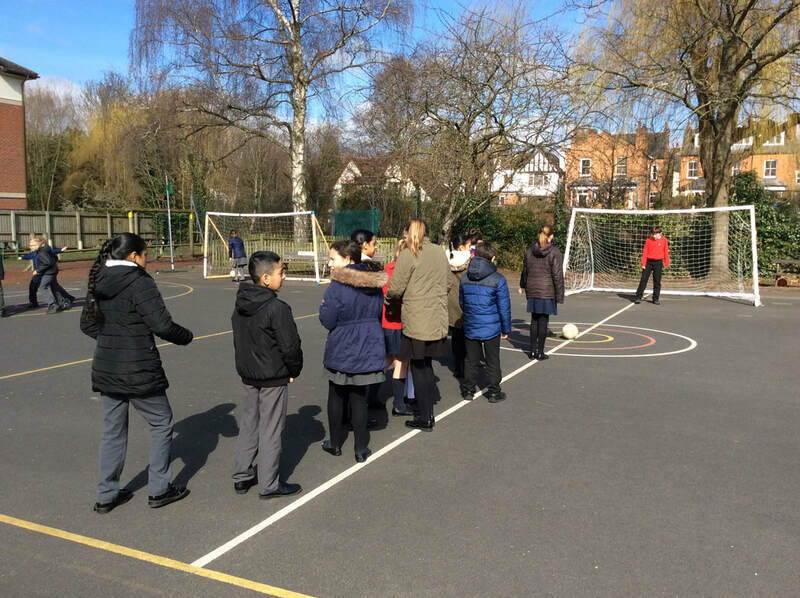 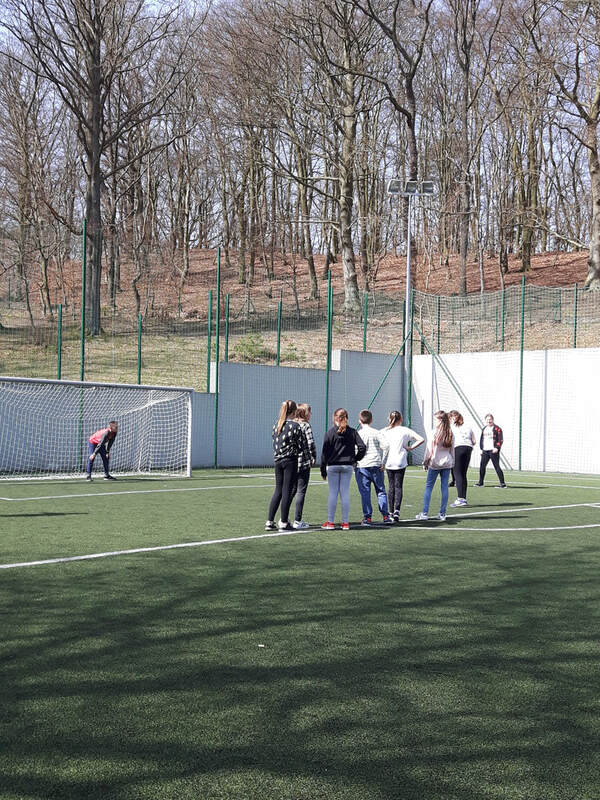 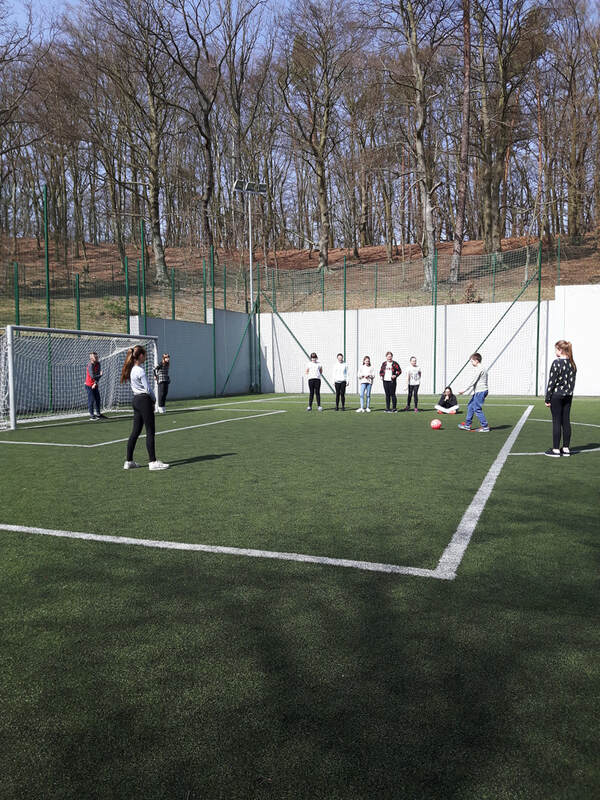 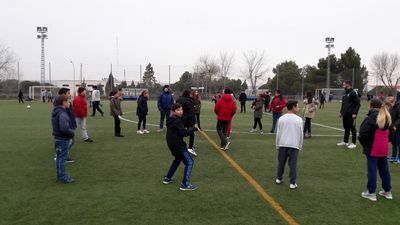 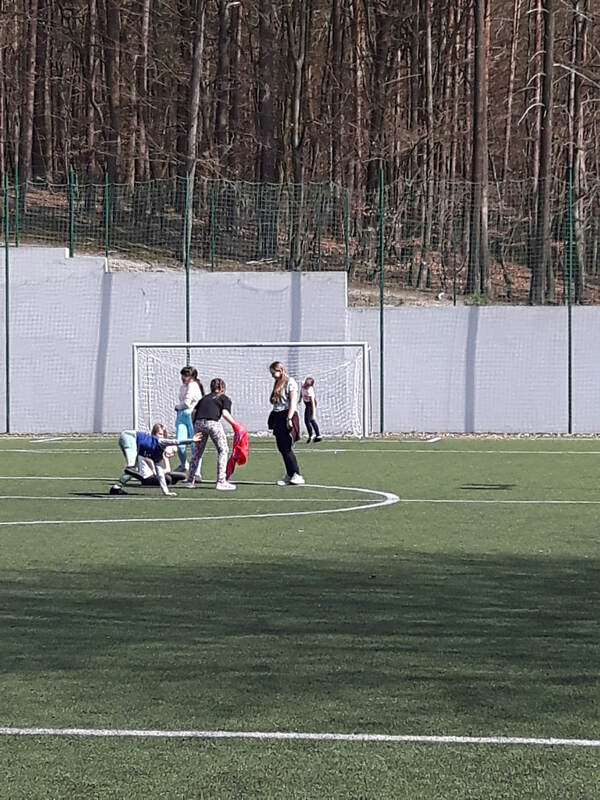 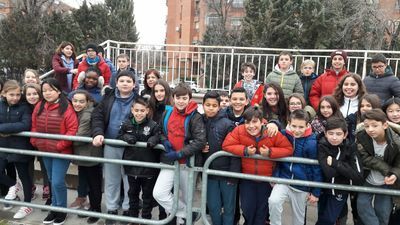 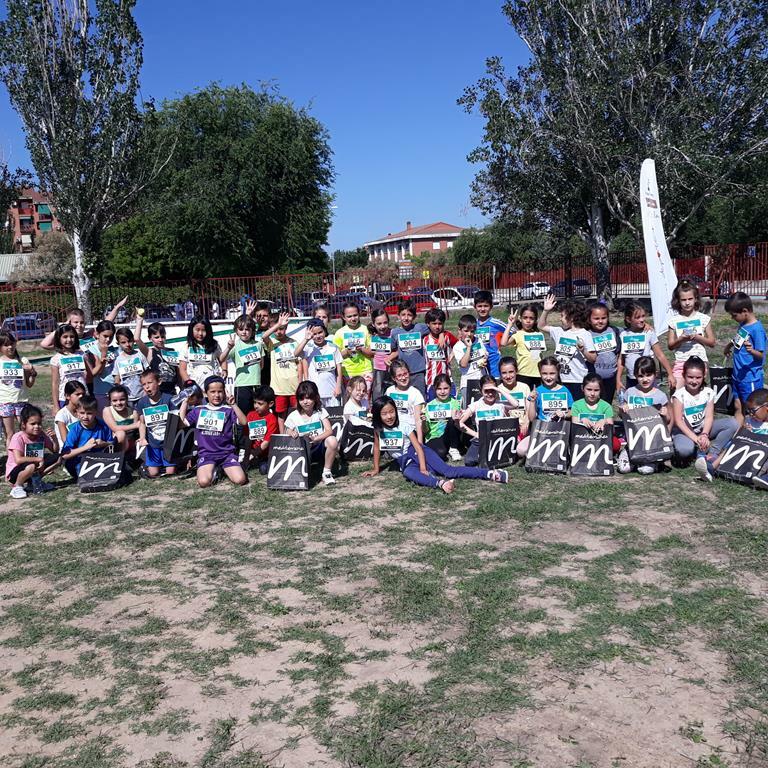 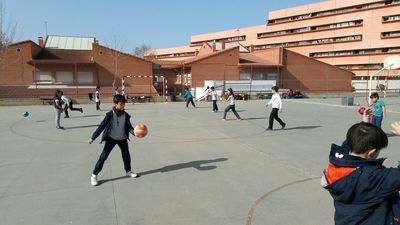 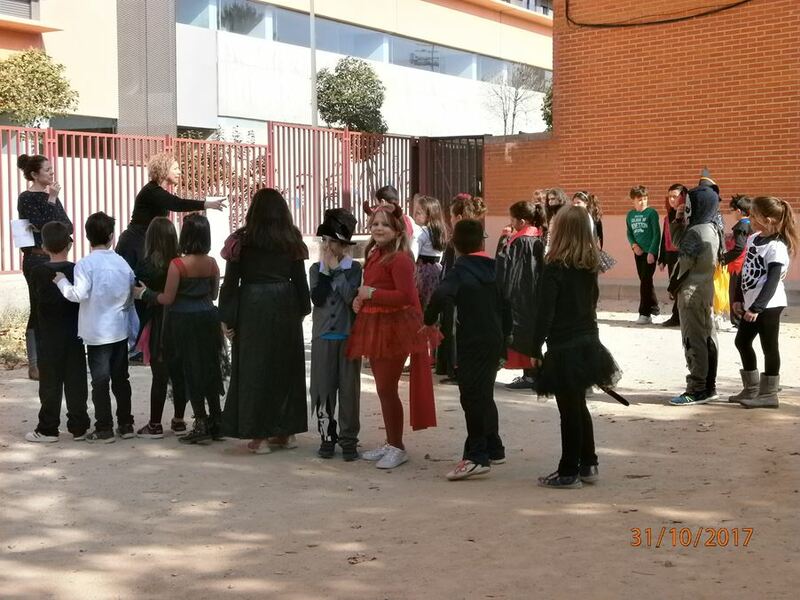 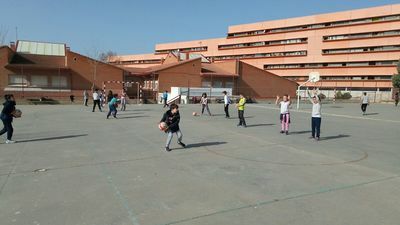 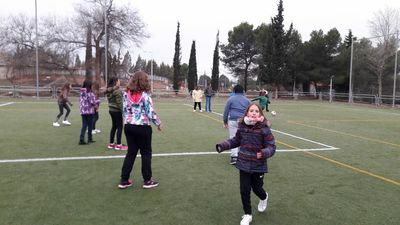 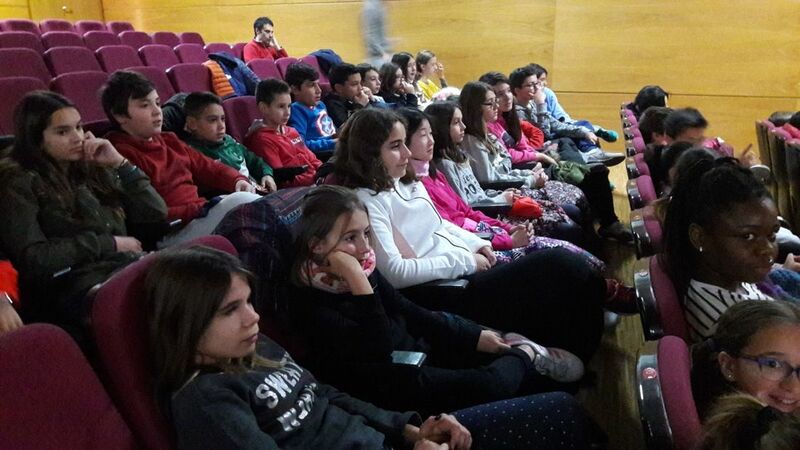 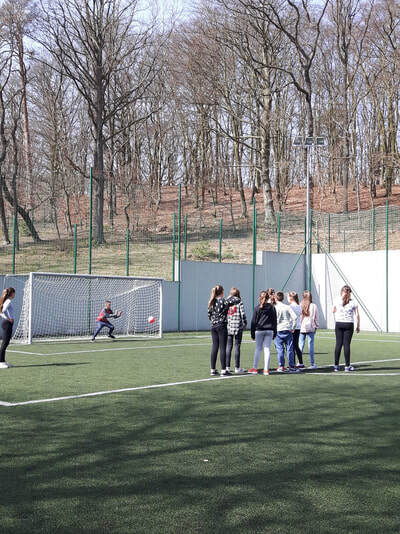 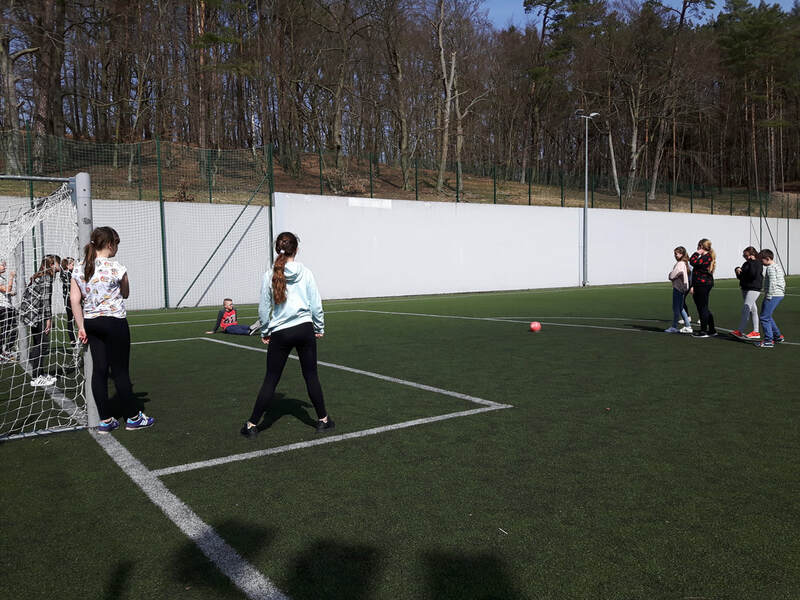 Students in Year 6 joined other neighbouhood schools' children and went to an event about 'Football Values as Teaching Source'. 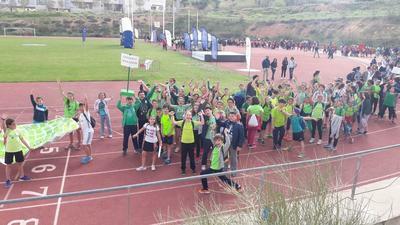 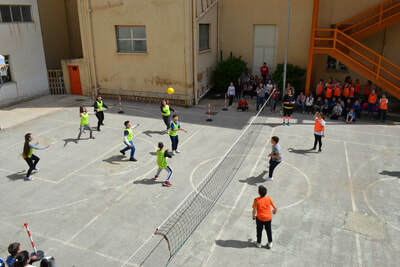 Values such as health benefits, motivation, solidarity and team spirit to fight against bullying. 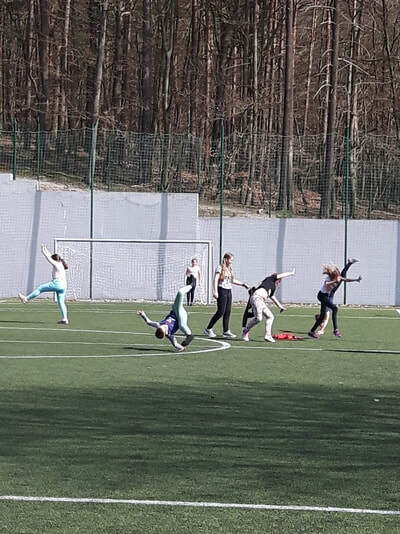 Later, The Toledo Football Team’s players advised them about this sport on the grass pitch. 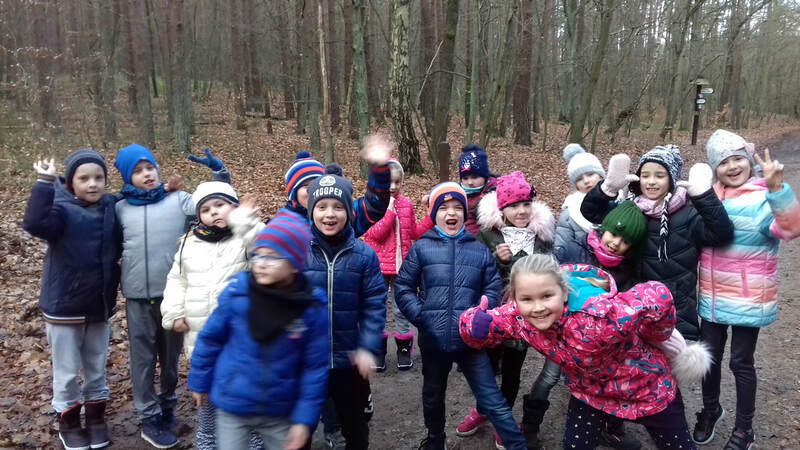 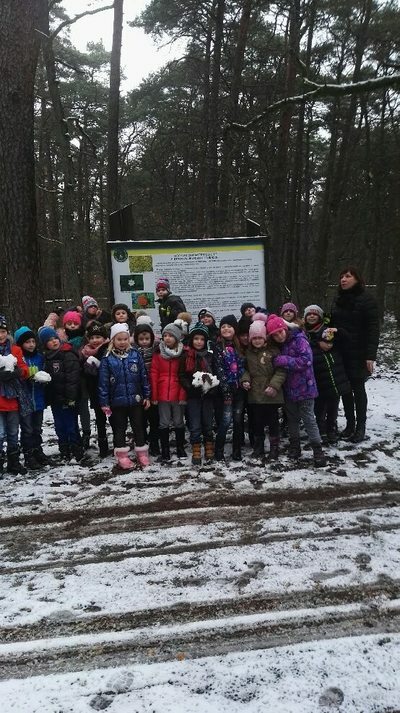 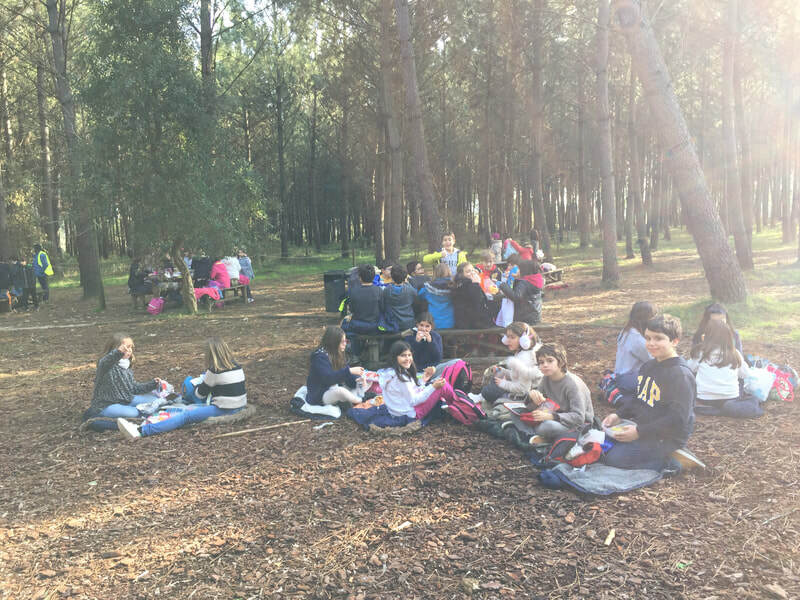 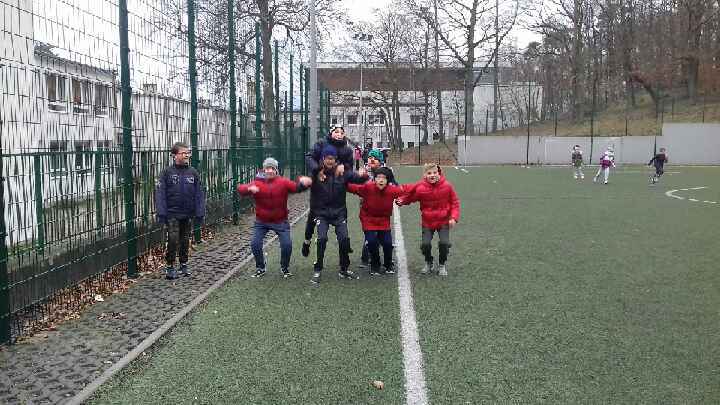 They enjoyed it a lot! 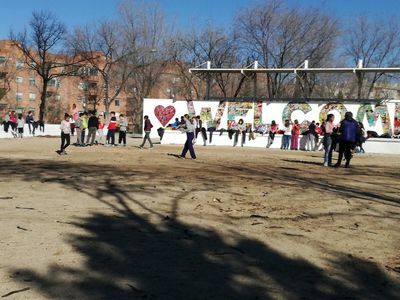 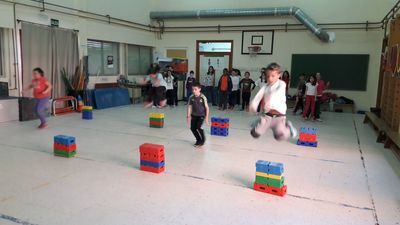 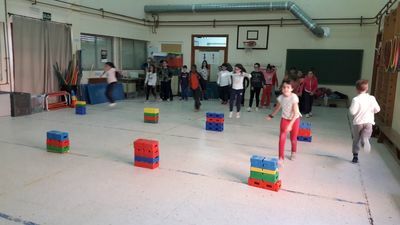 Students jump over obstacles in the gymn and learn volleyball tecniques out in the playground. 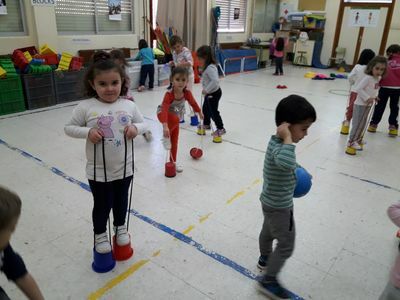 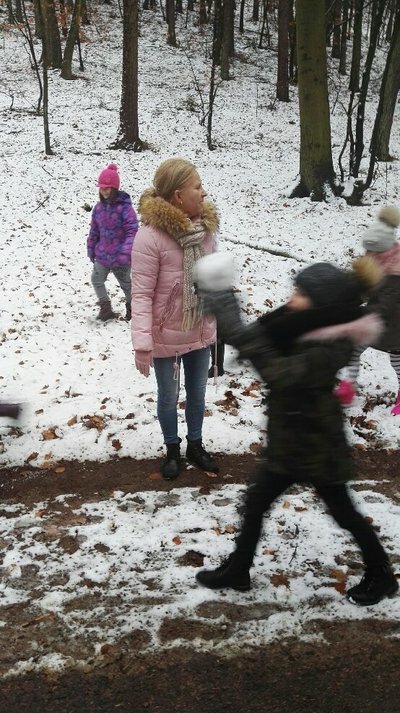 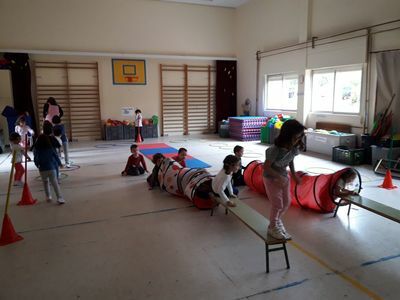 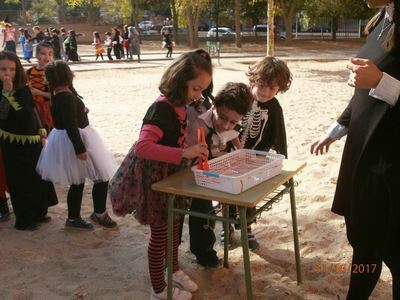 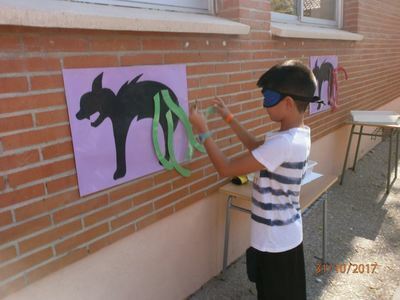 Preschool kids enjoy playing popular games at school. 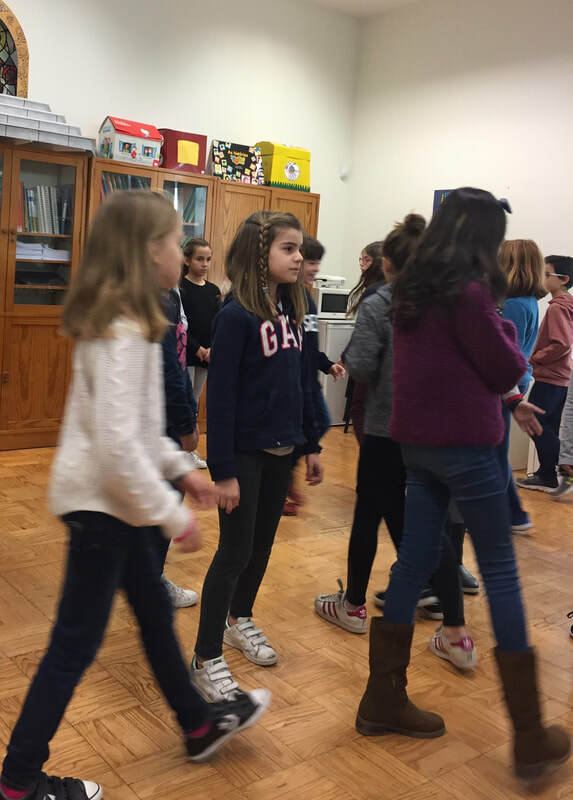 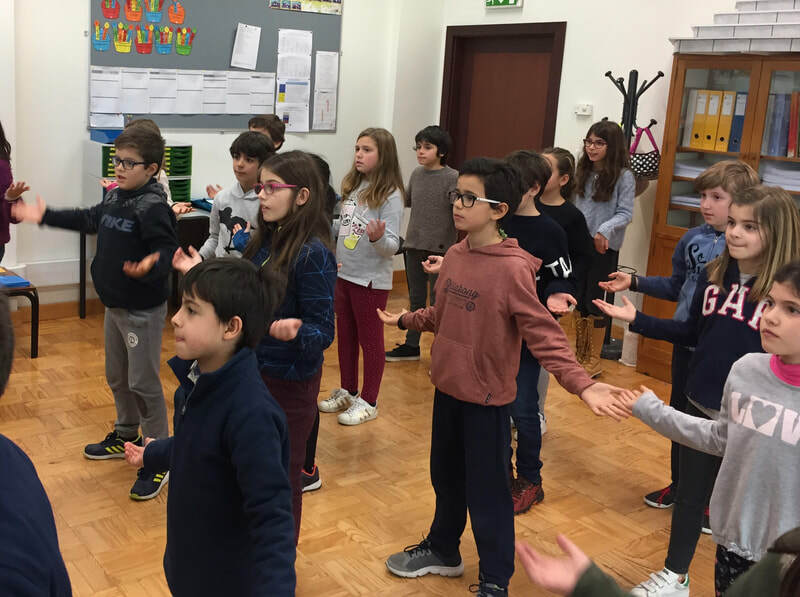 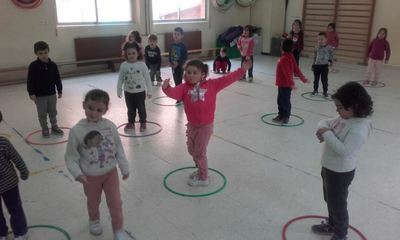 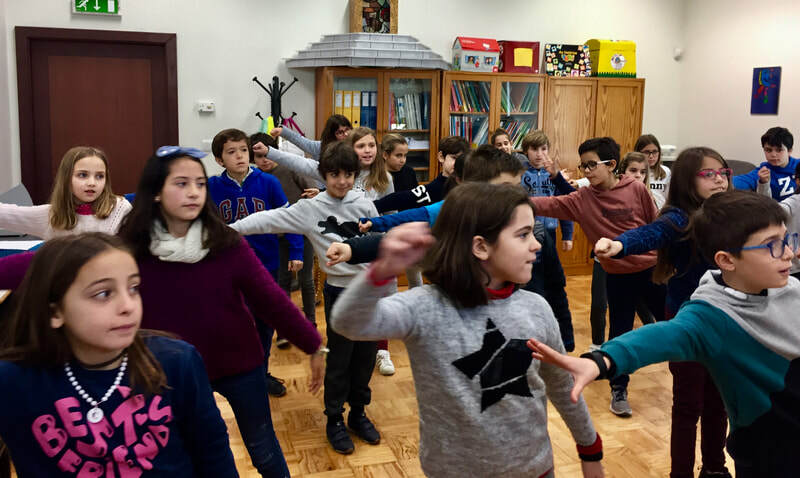 Our students dance to music between lessons. 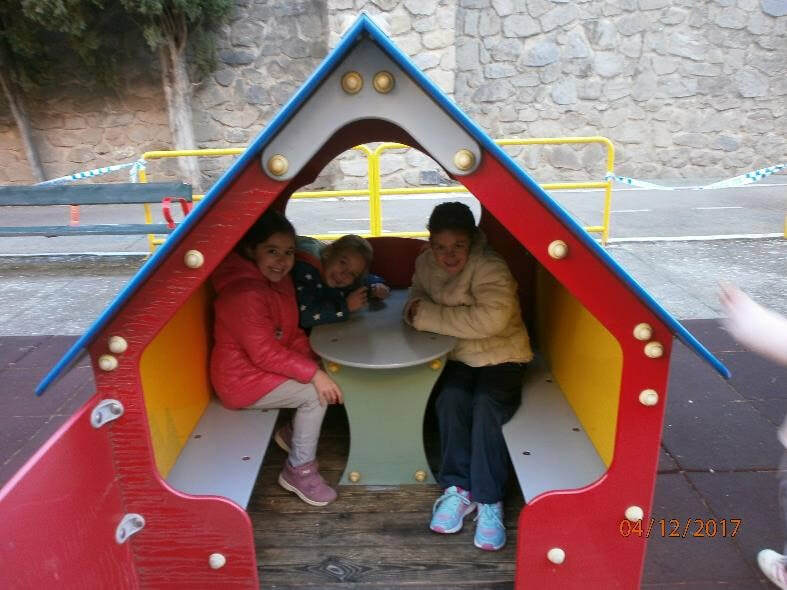 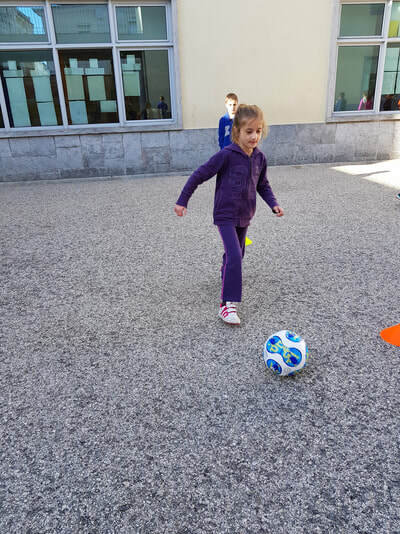 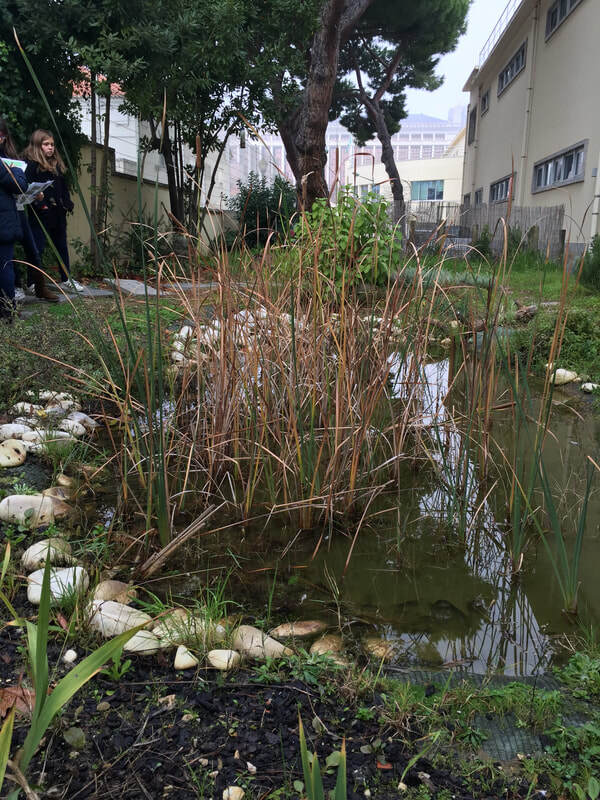 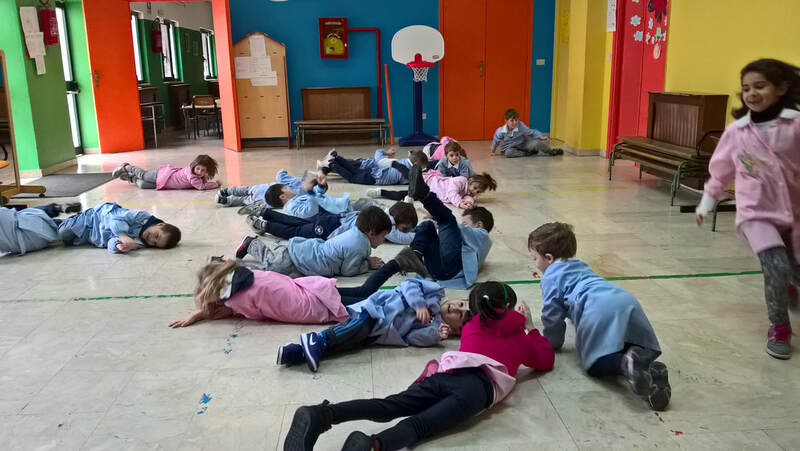 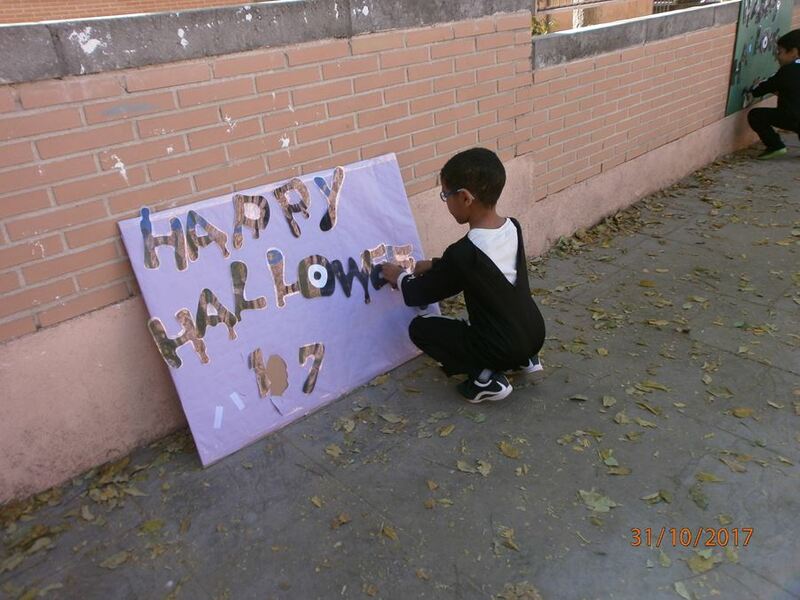 Preschool children enjoy practising daily activities at school. 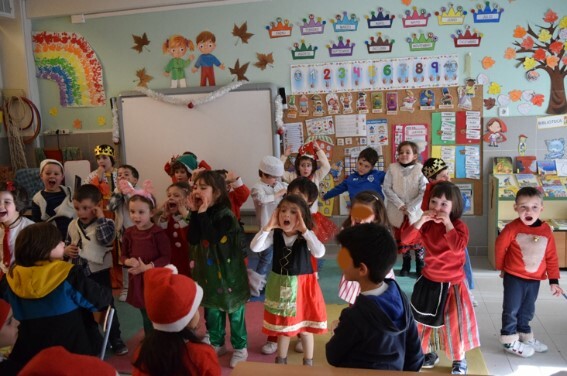 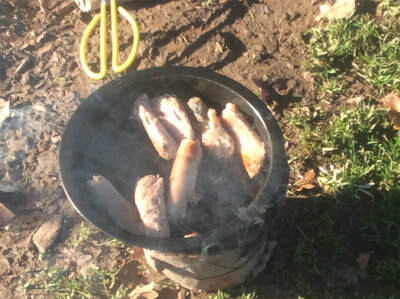 We have held a culture week at school focused on healthy food. 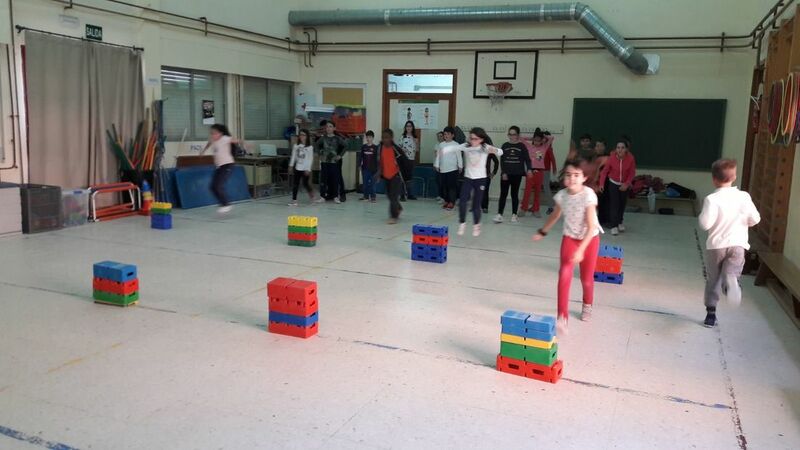 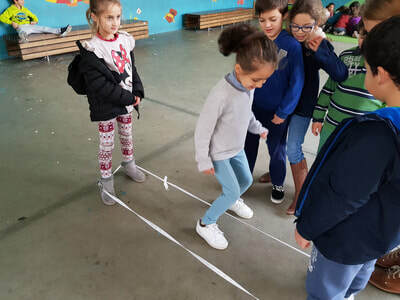 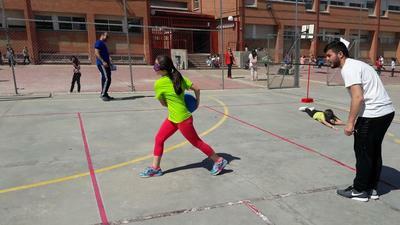 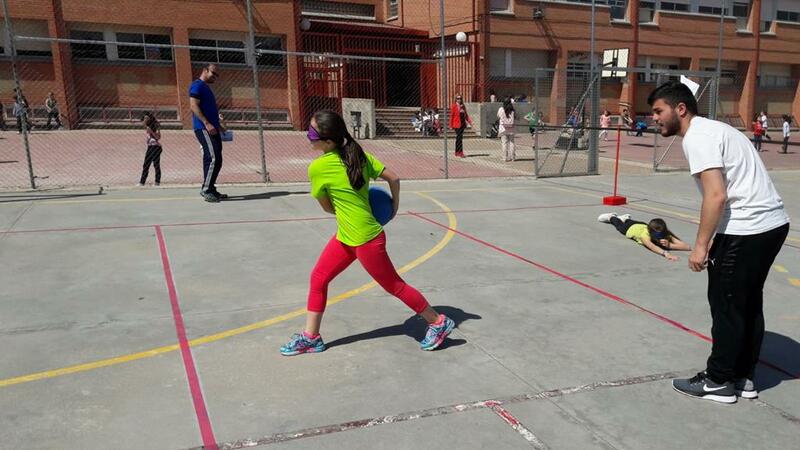 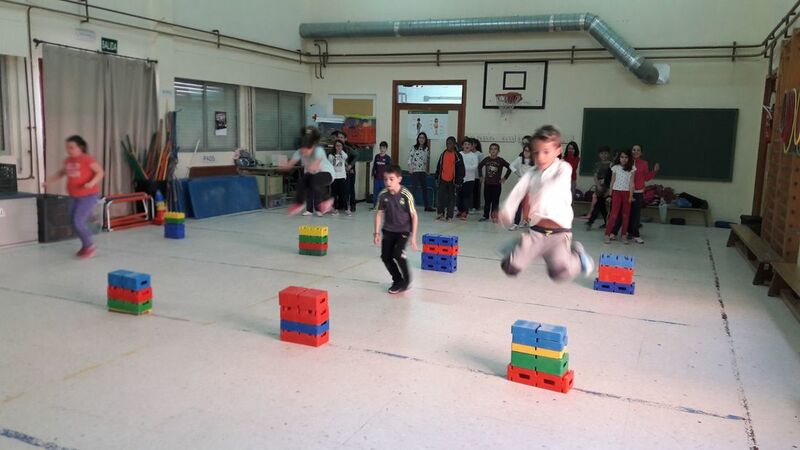 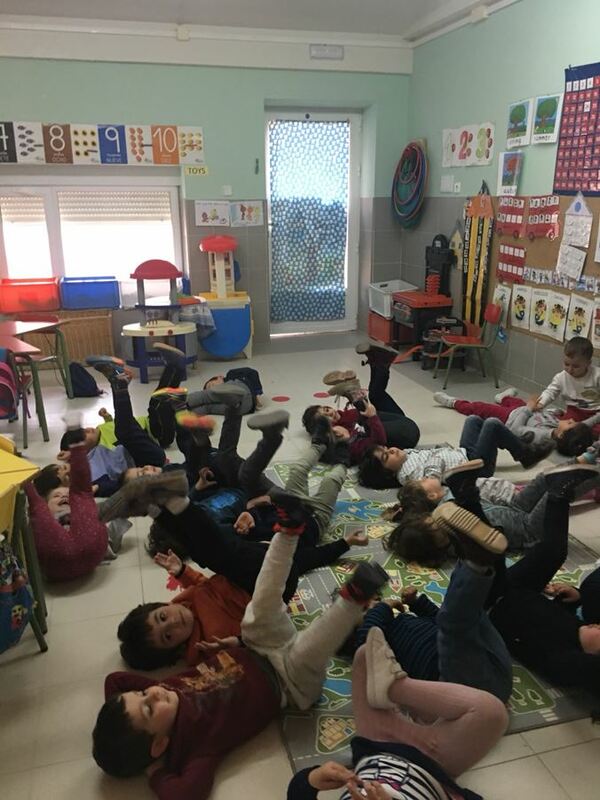 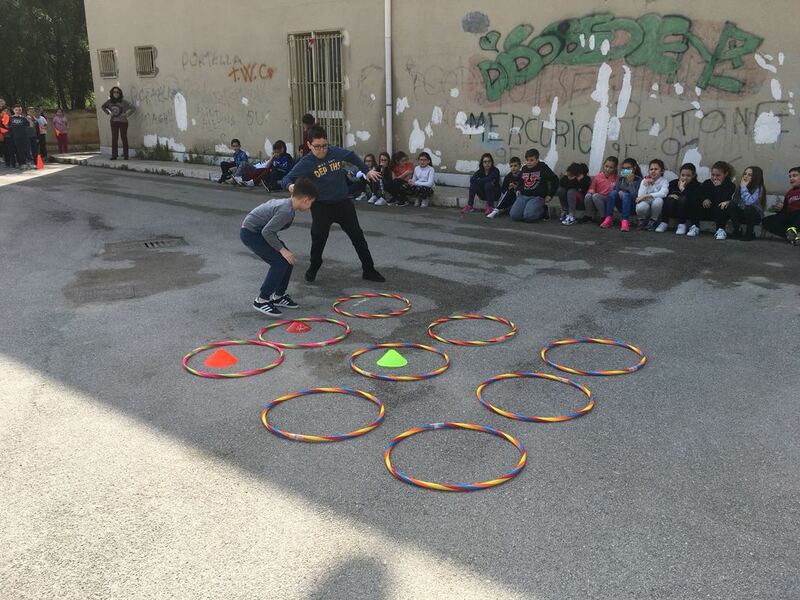 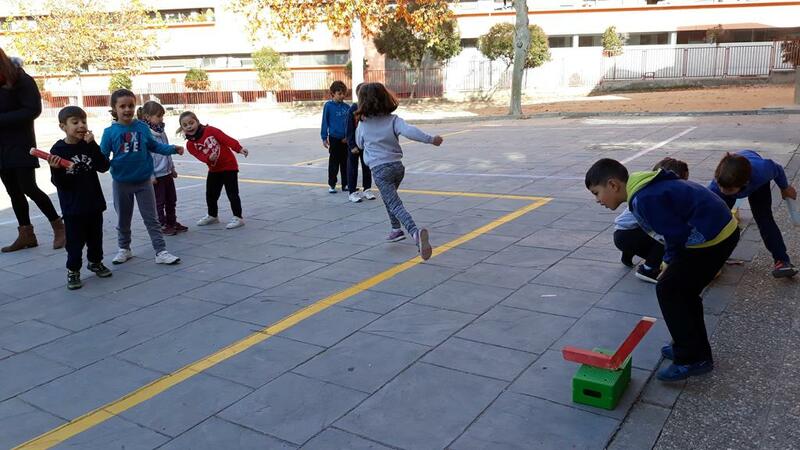 Second graders enjoyed playing healthy games. 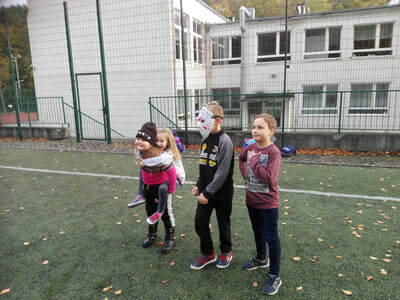 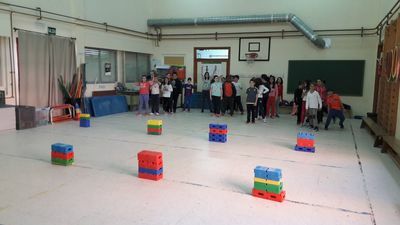 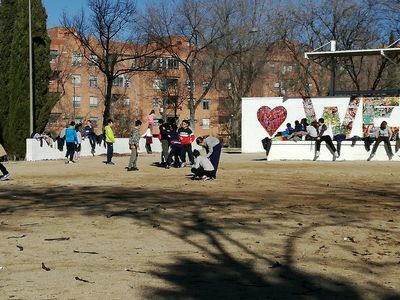 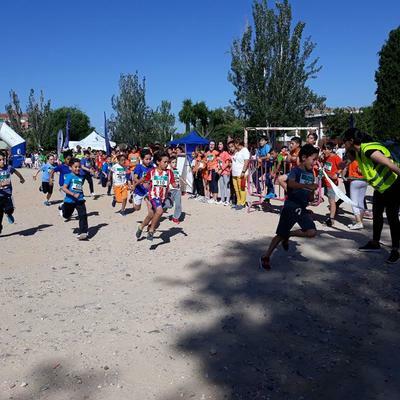 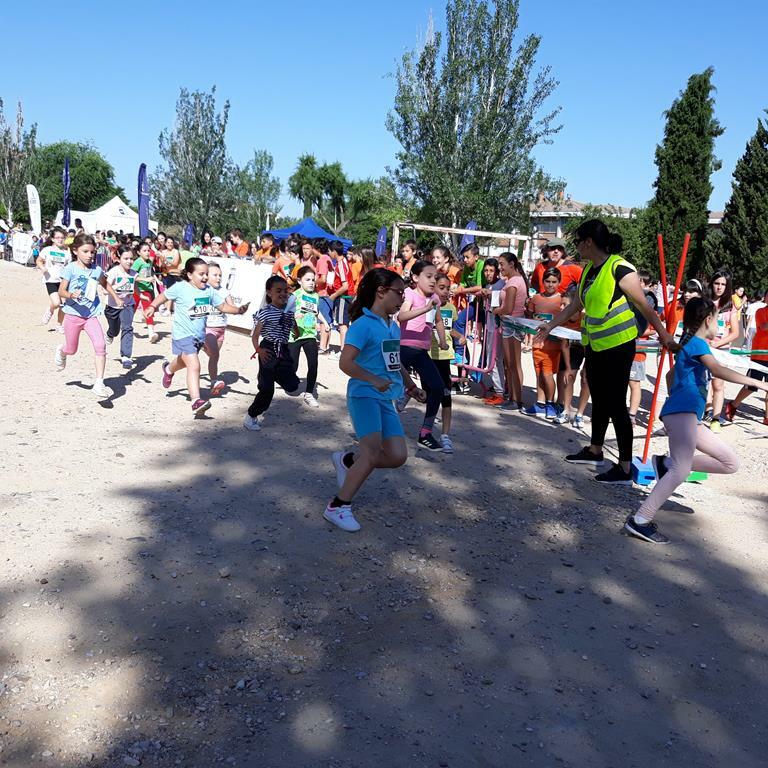 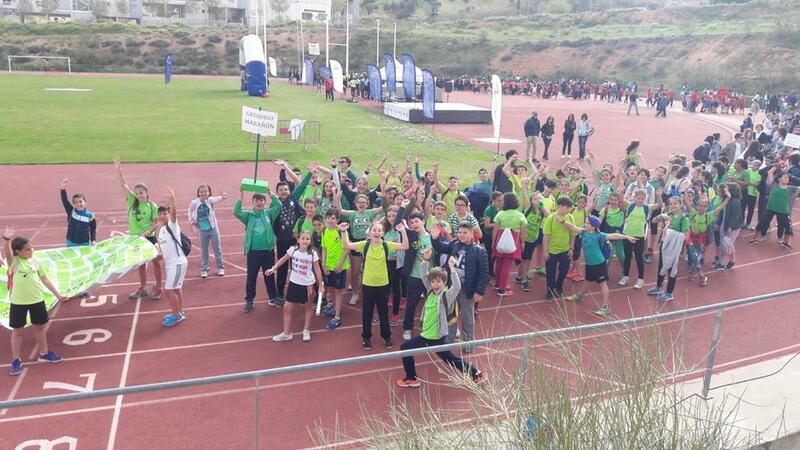 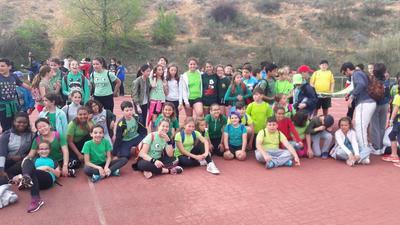 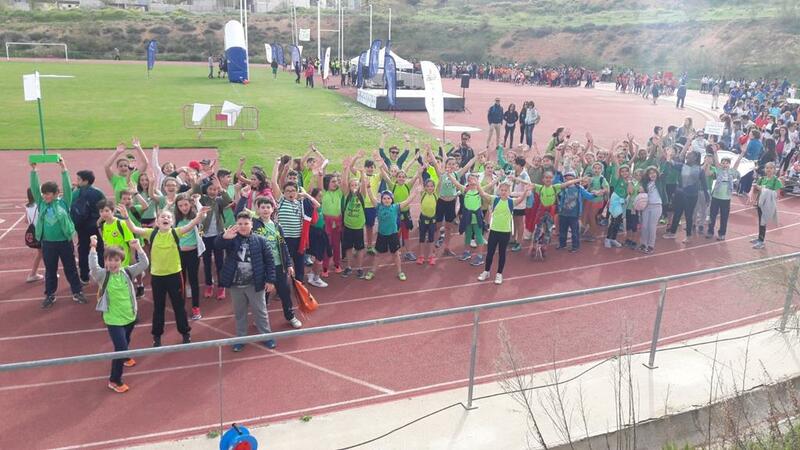 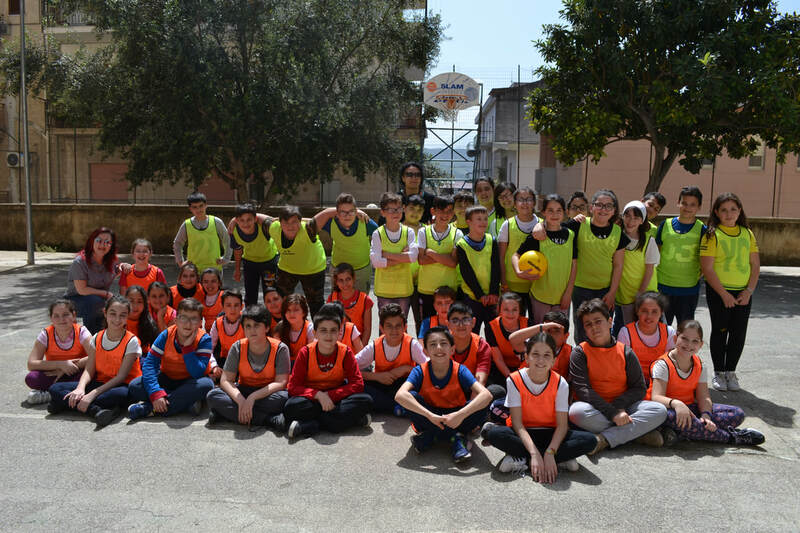 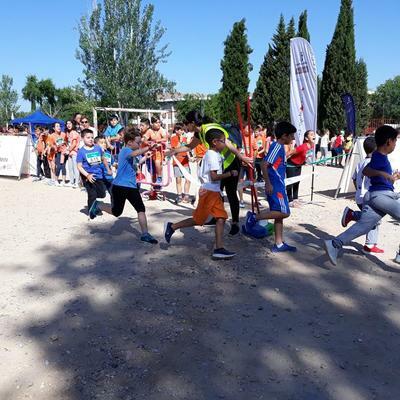 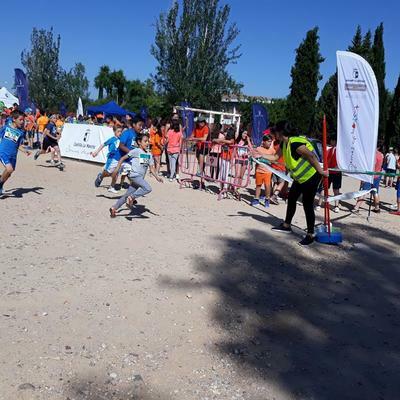 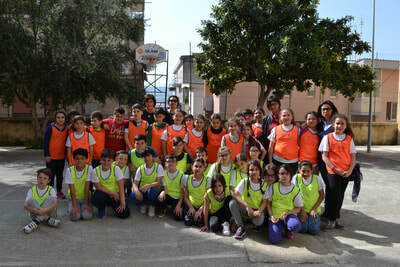 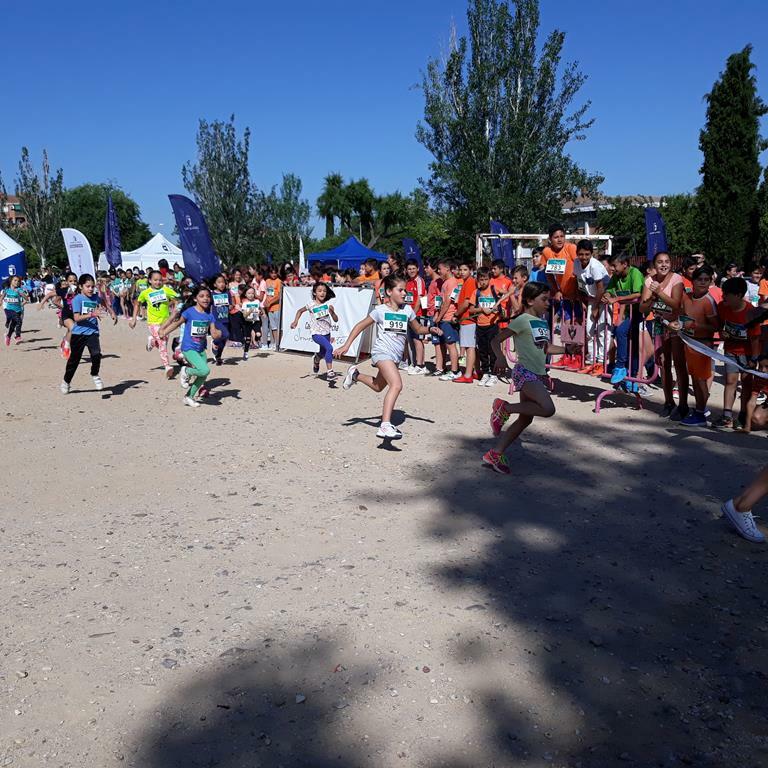 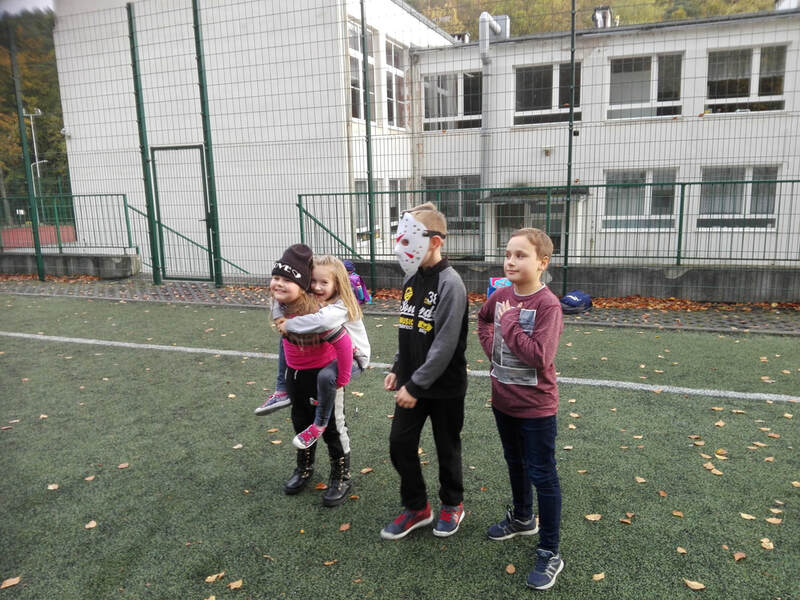 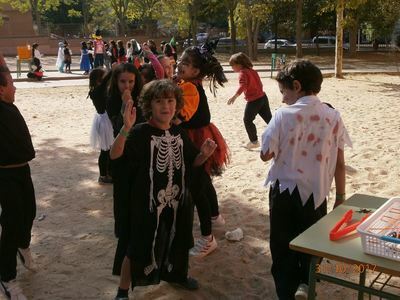 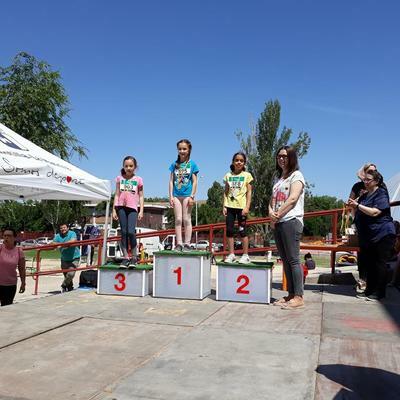 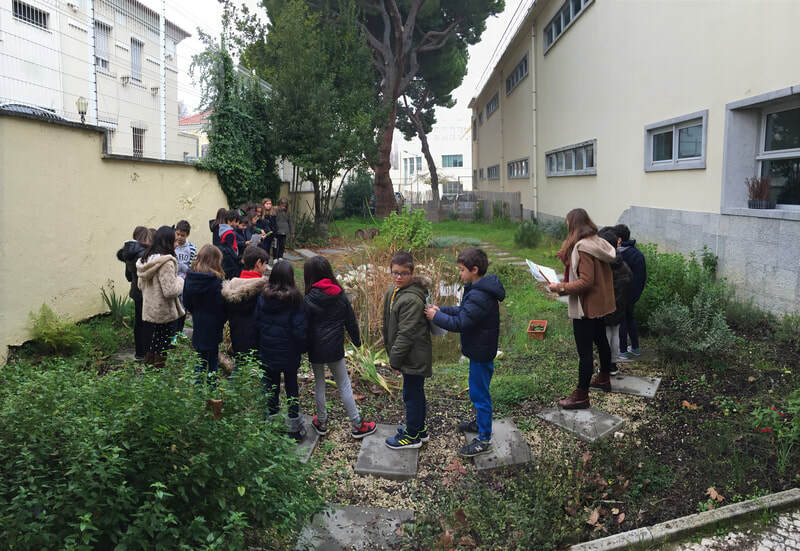 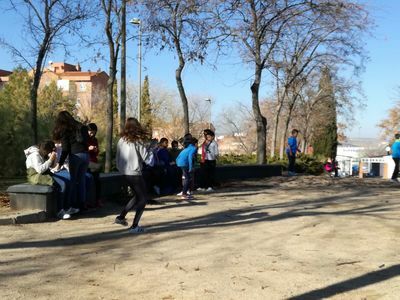 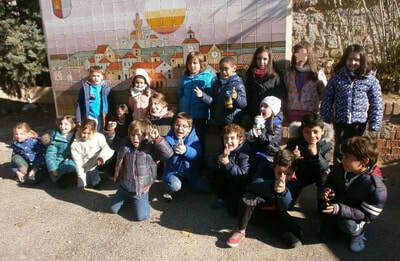 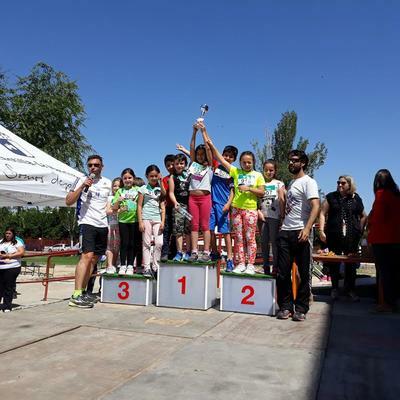 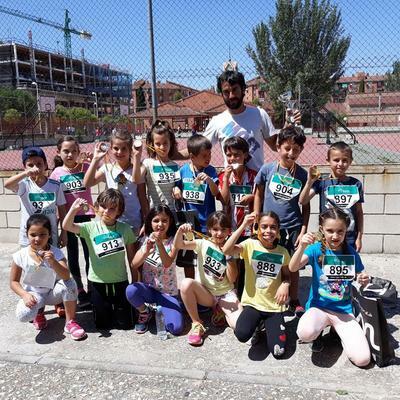 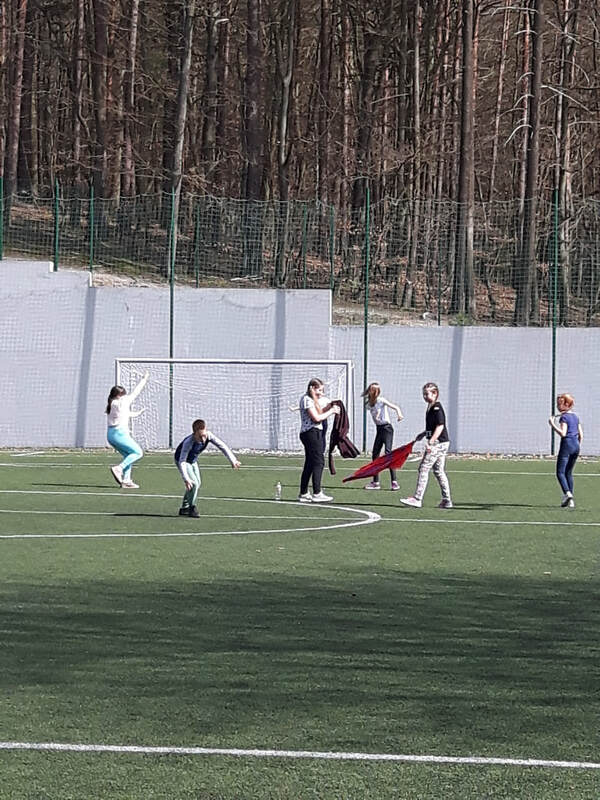 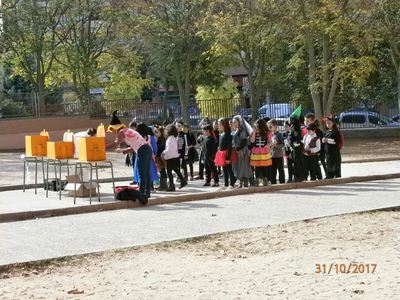 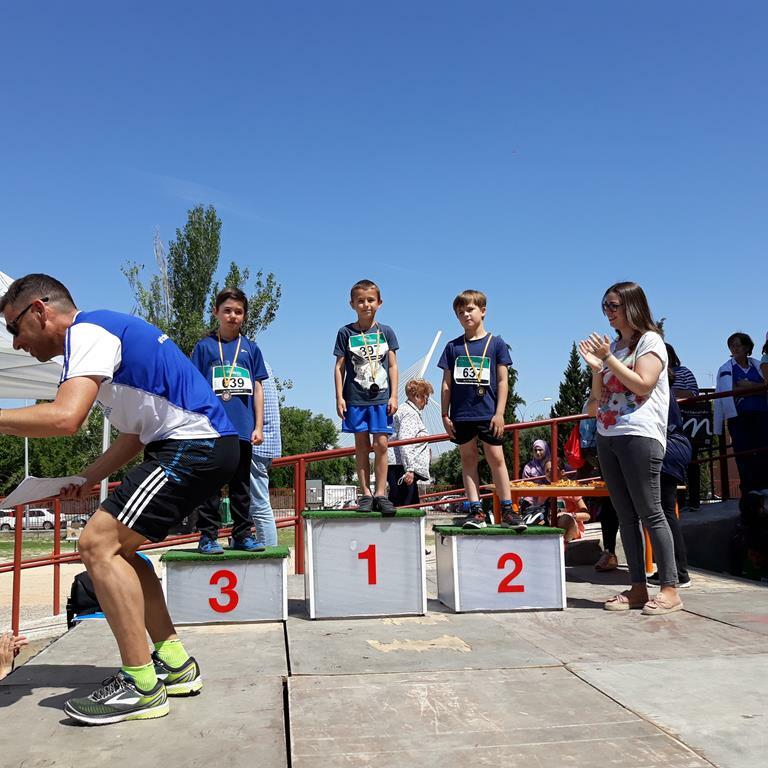 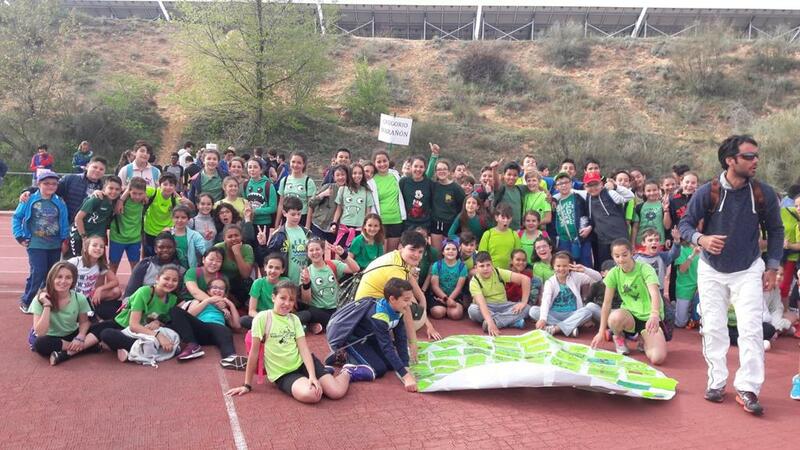 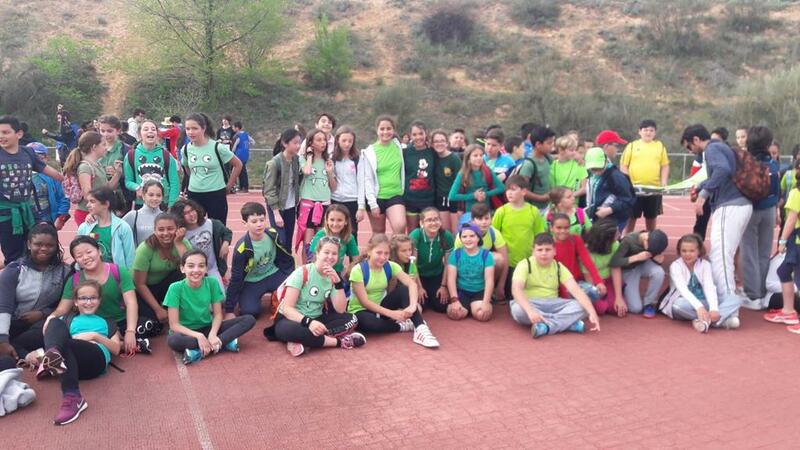 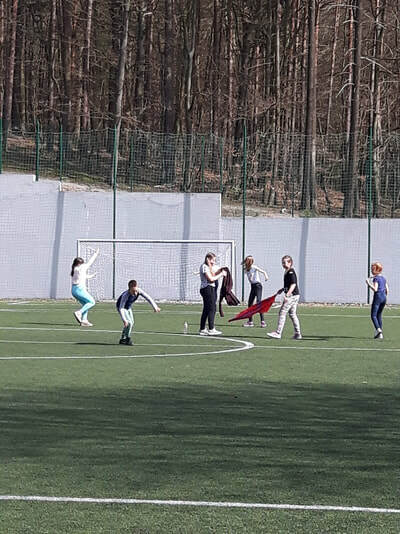 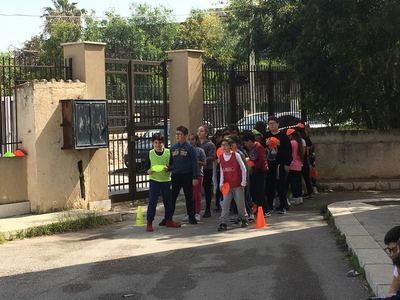 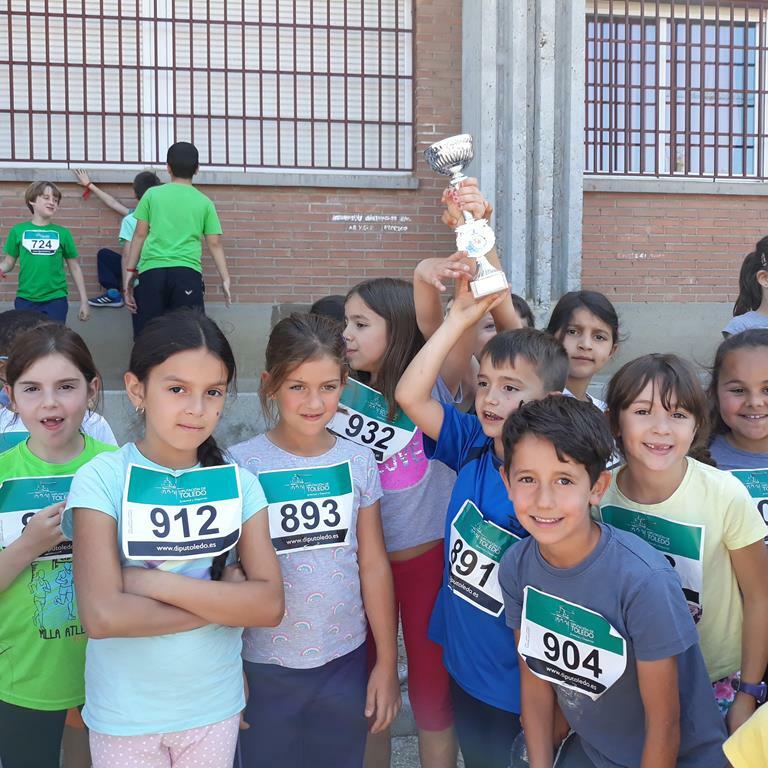 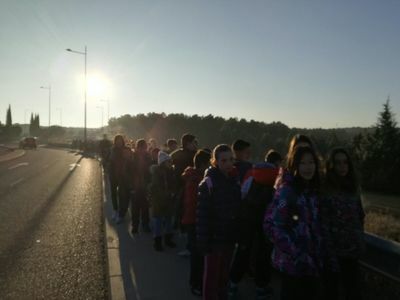 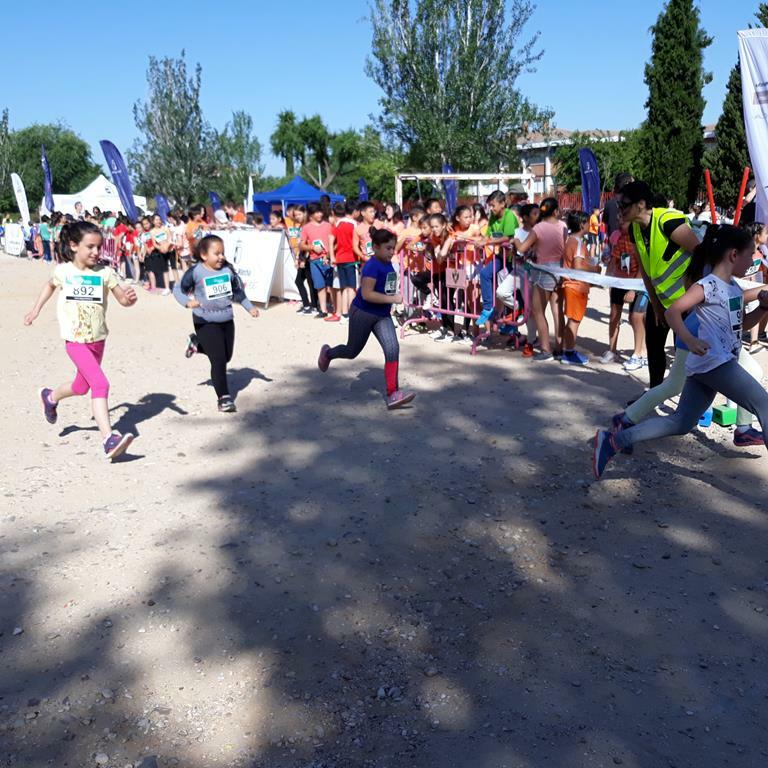 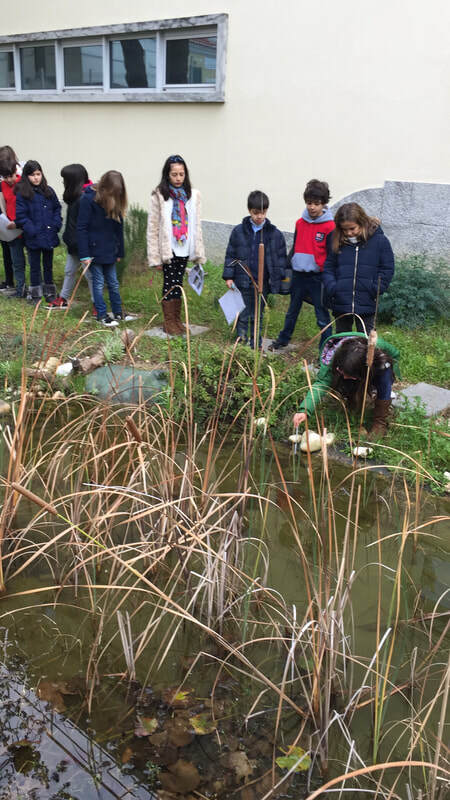 5 and 6 grade students participated in the Olympic Games celebrated every year with other school students in the neighbourhood. 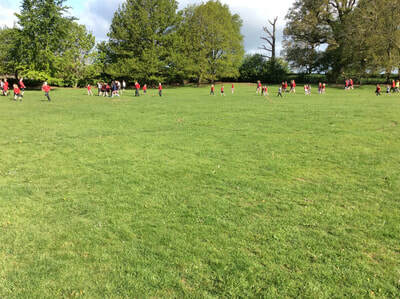 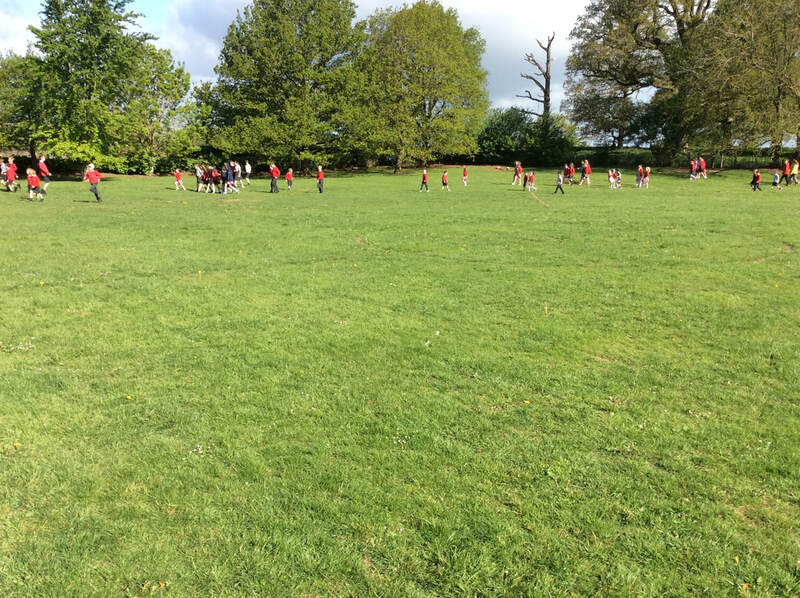 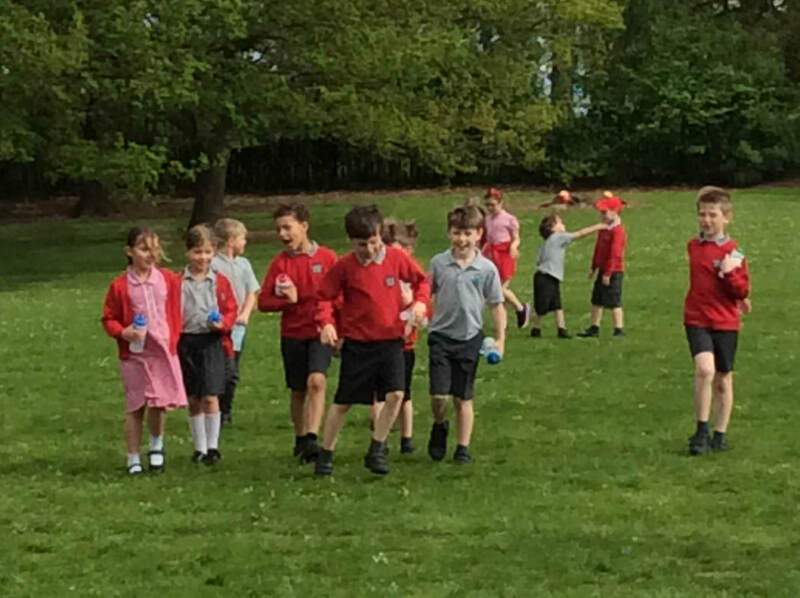 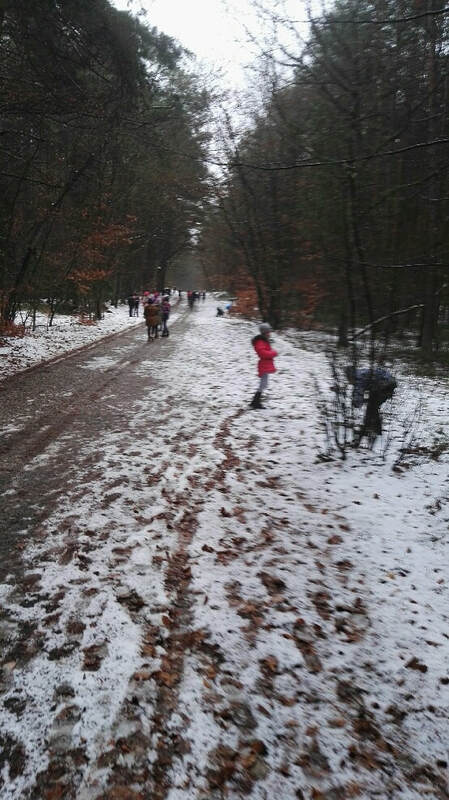 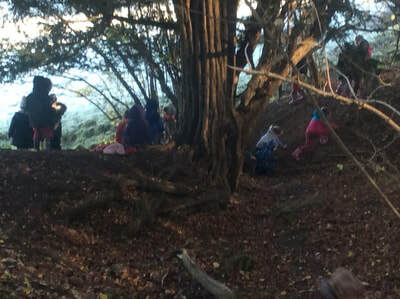 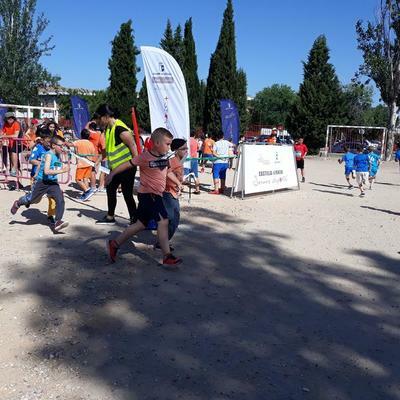 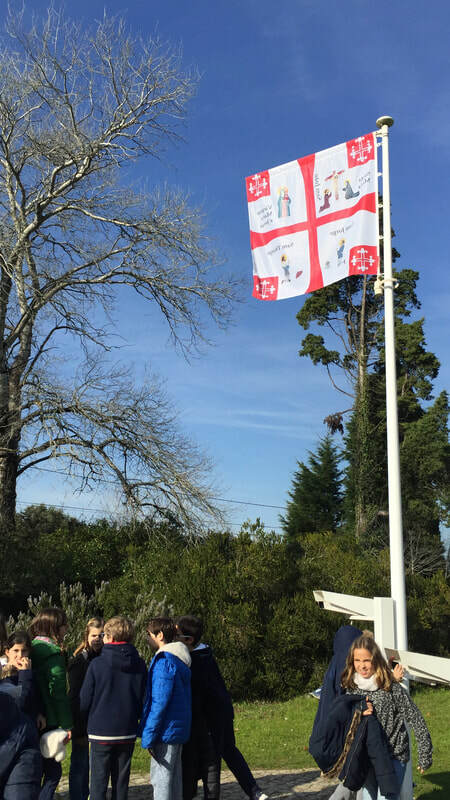 Year 2 have participated in the race organised by a neighbour school. They enjoyed it a lot. 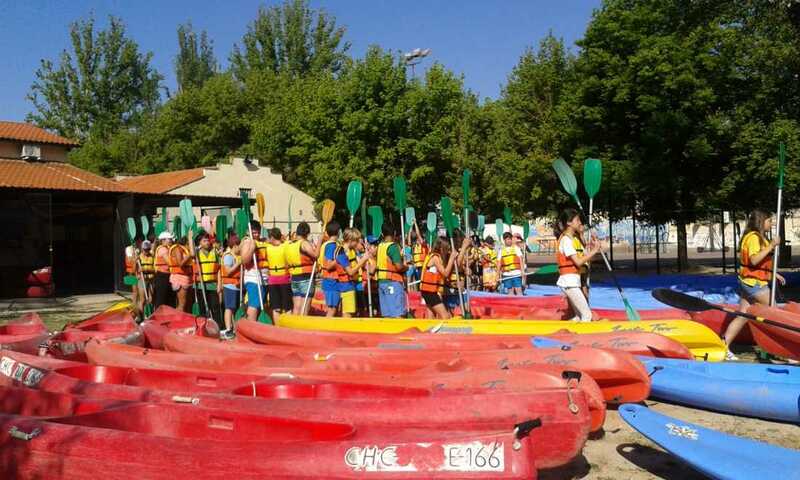 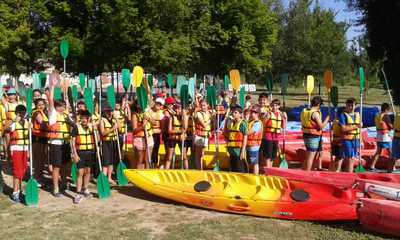 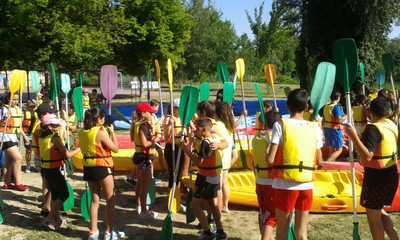 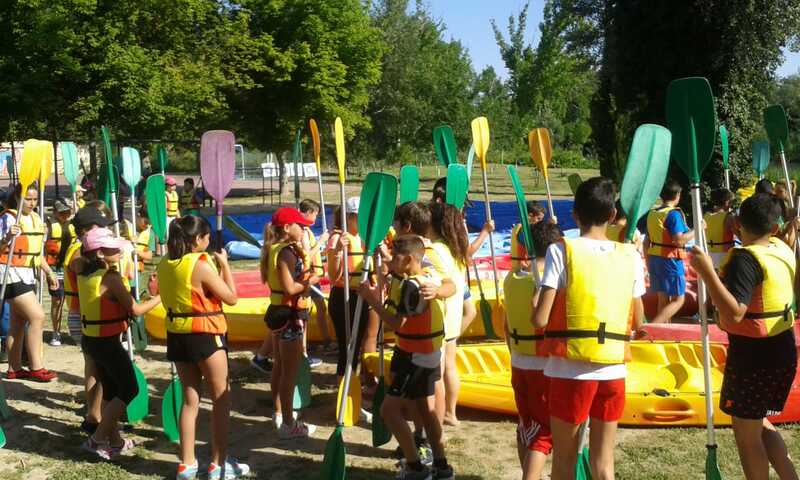 Year 6 enjoyed practicing canoeing. Preschool students danced this song at the end of the school year. 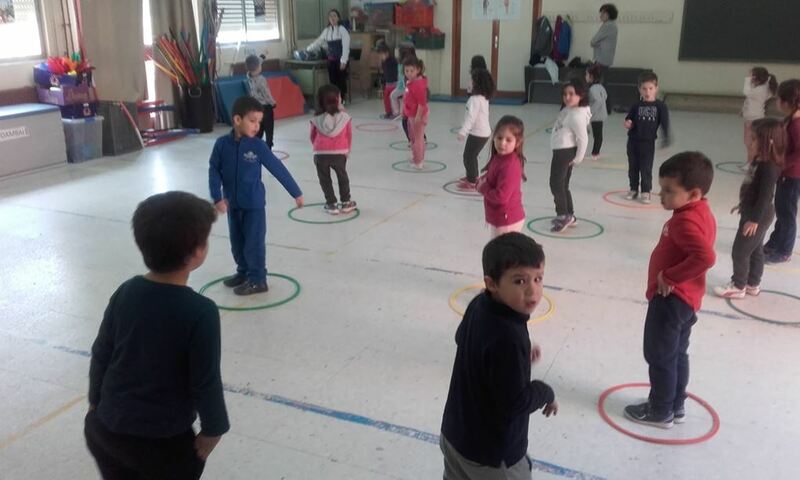 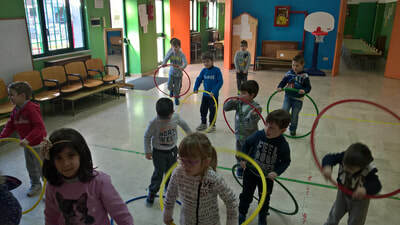 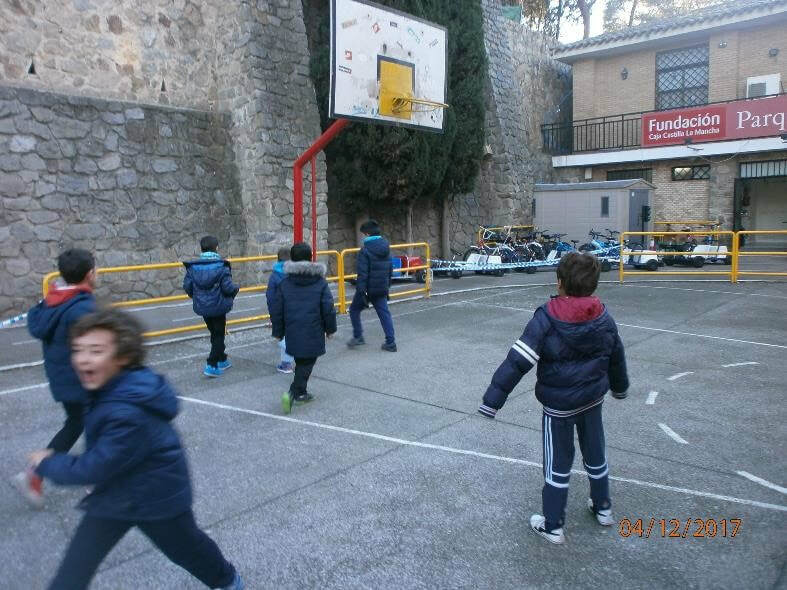 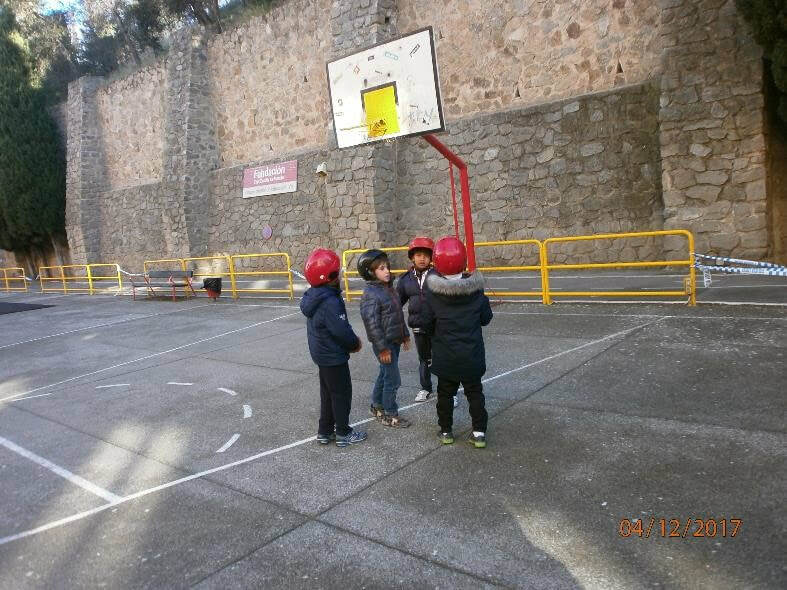 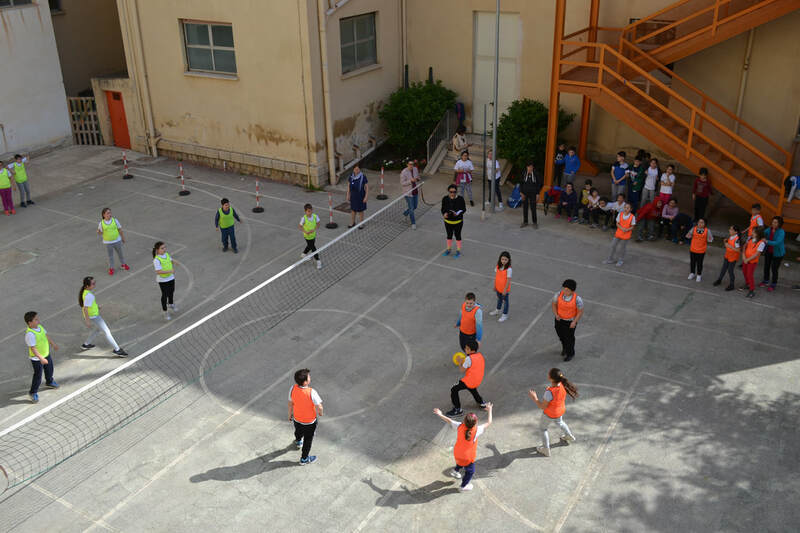 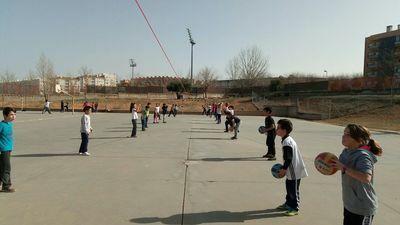 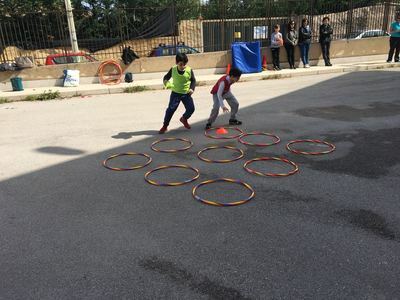 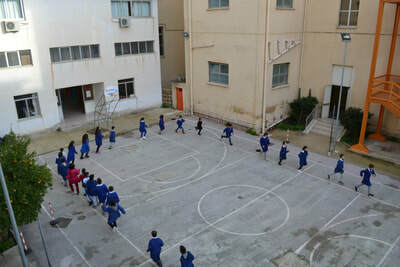 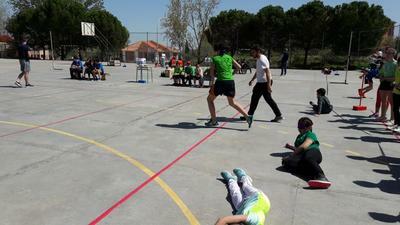 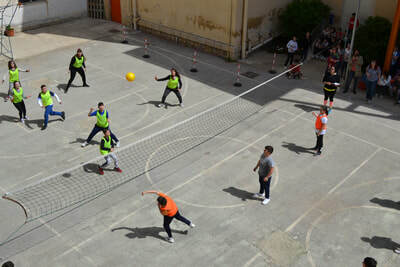 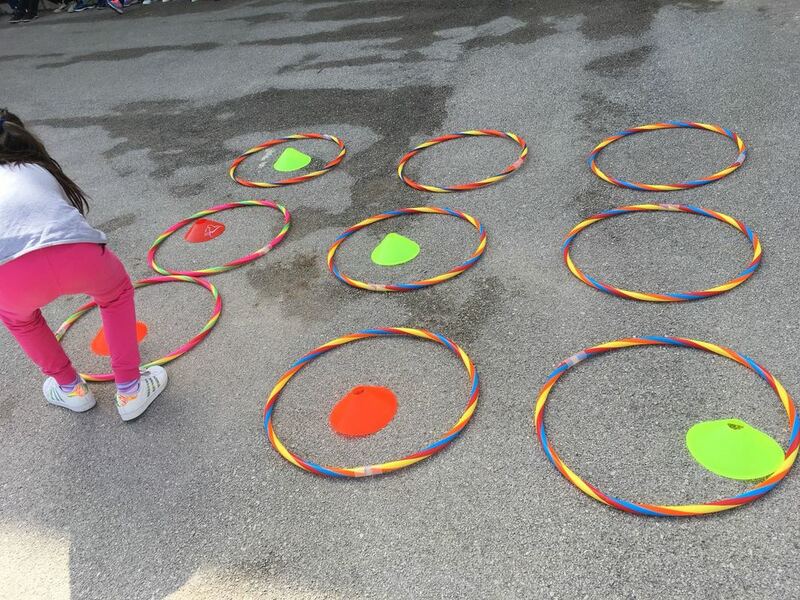 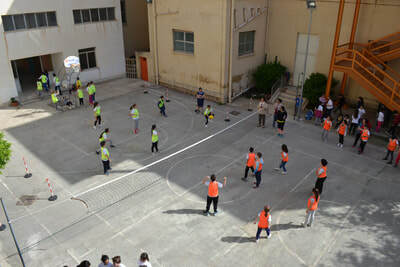 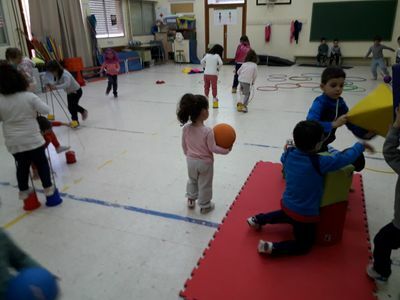 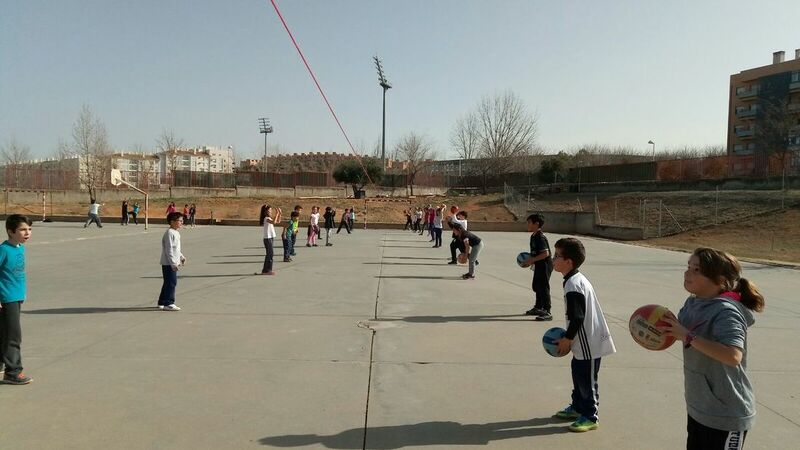 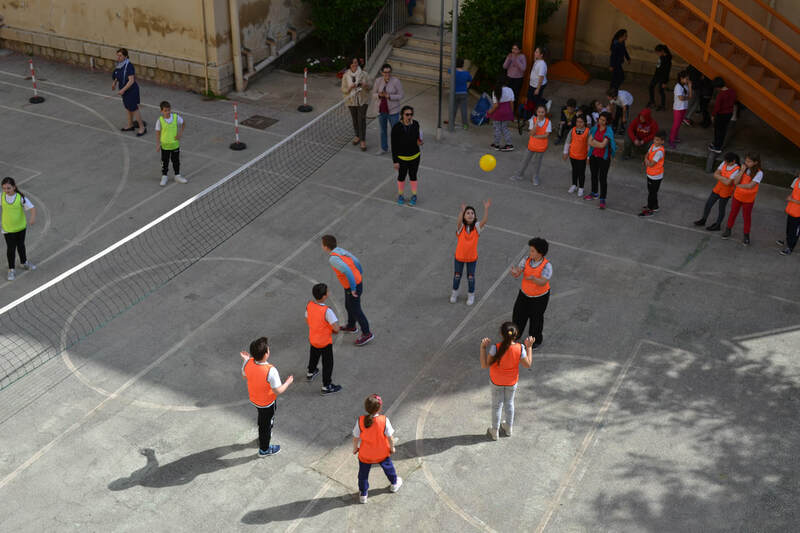 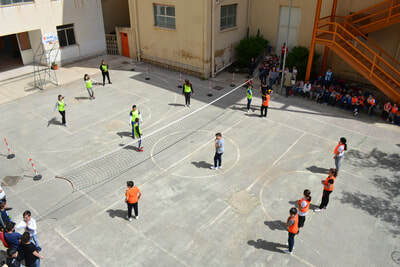 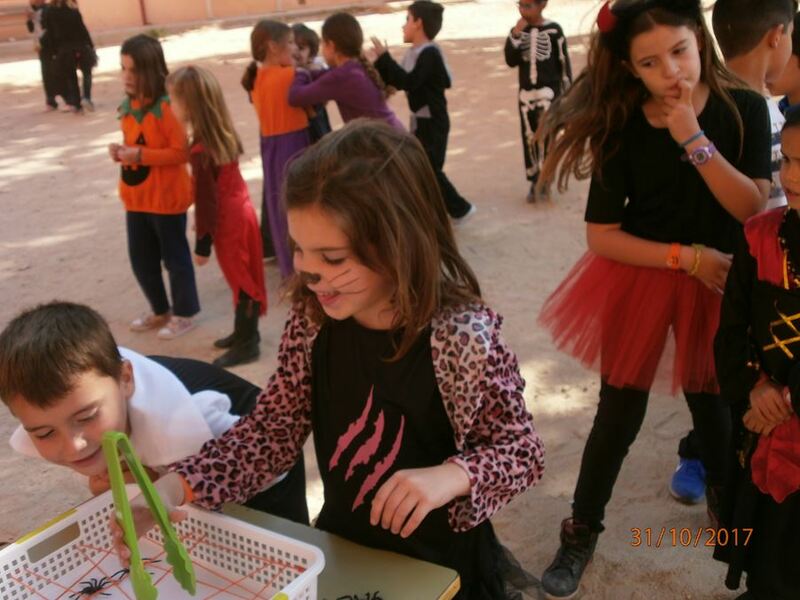 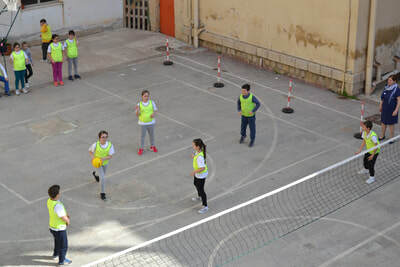 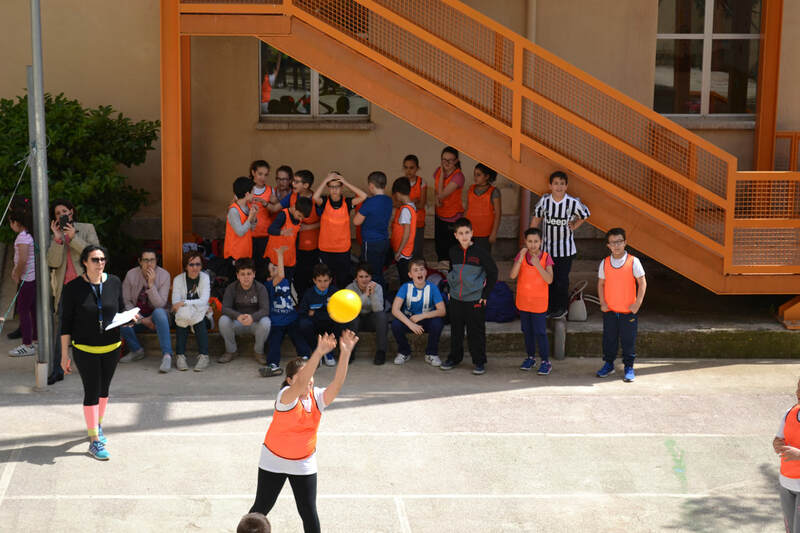 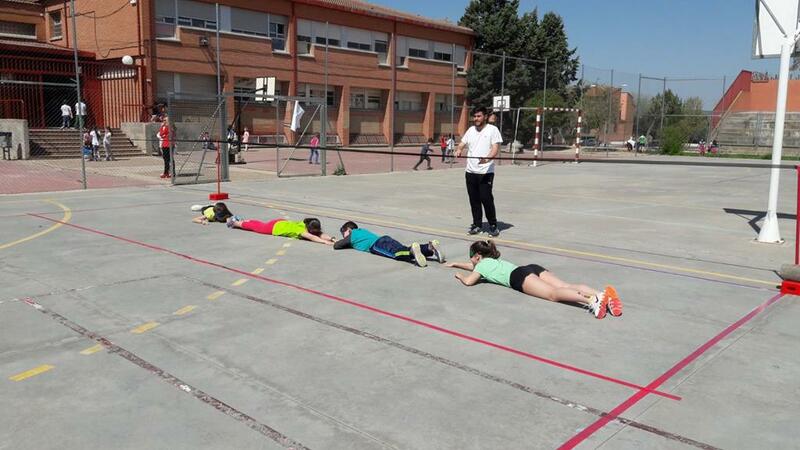 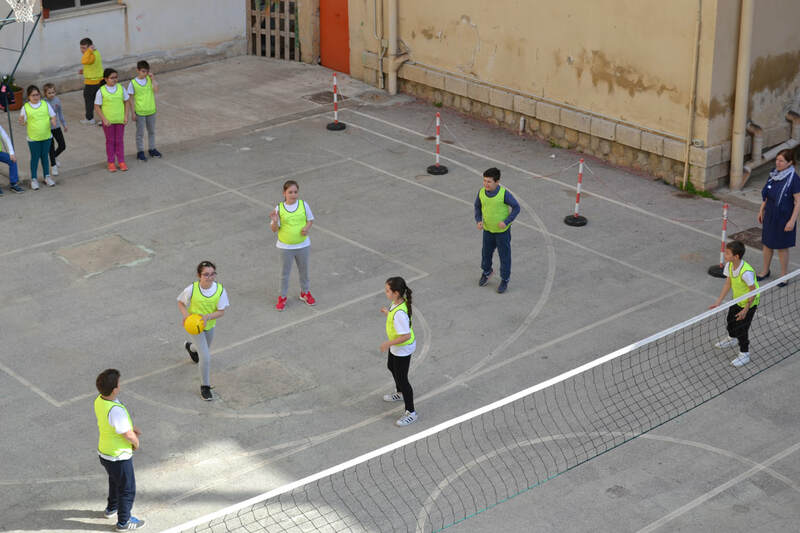 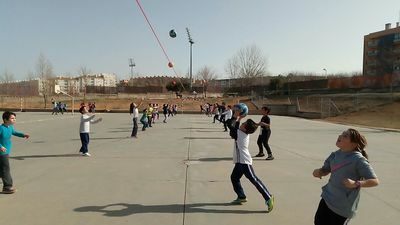 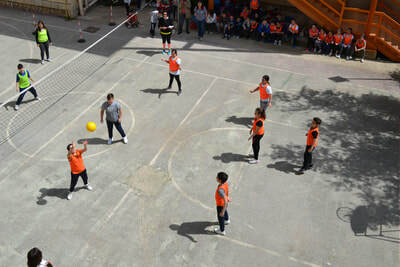 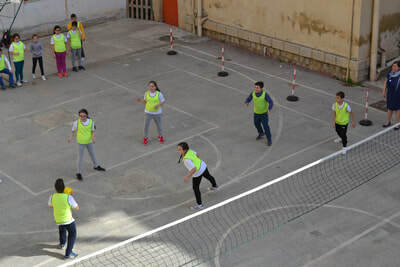 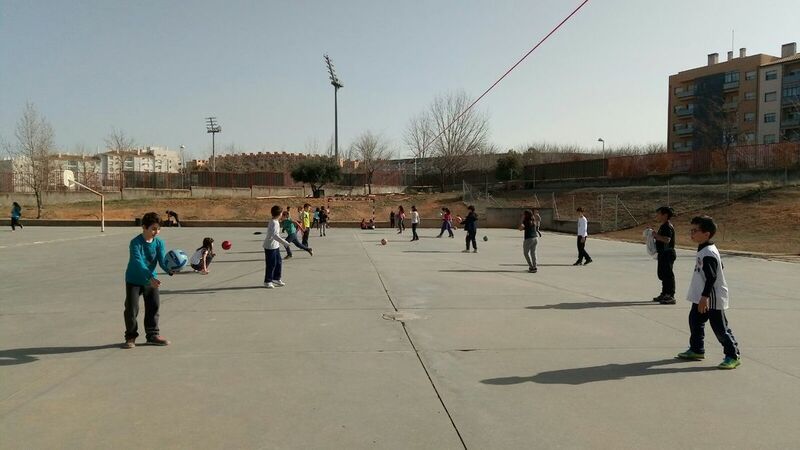 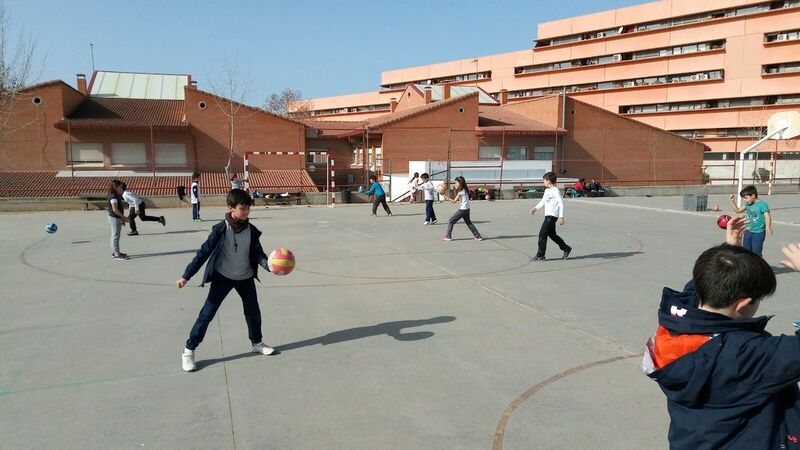 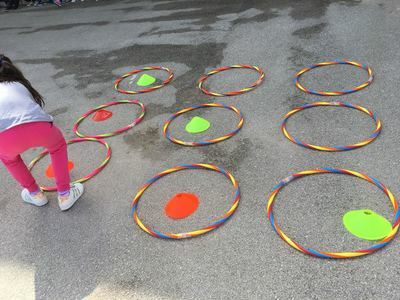 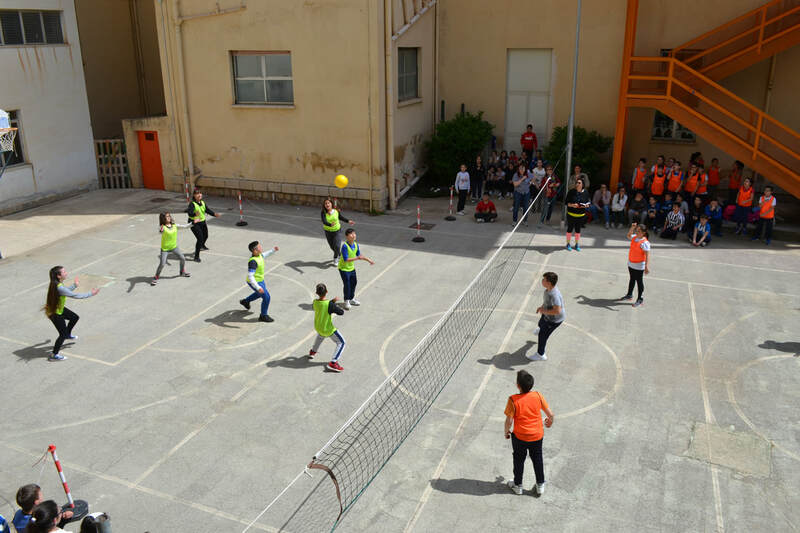 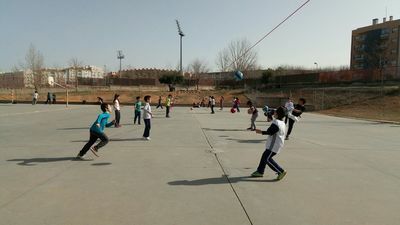 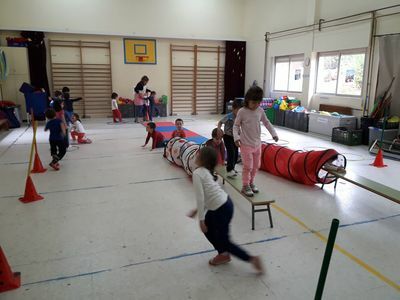 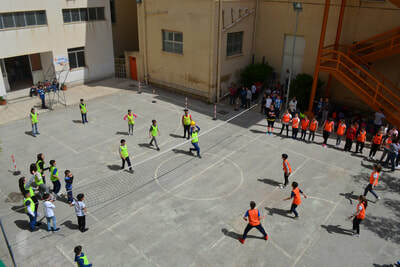 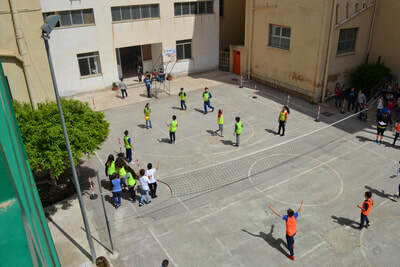 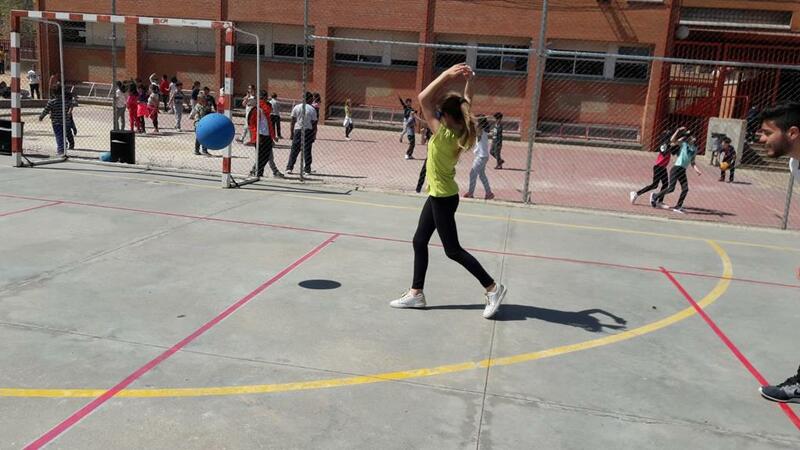 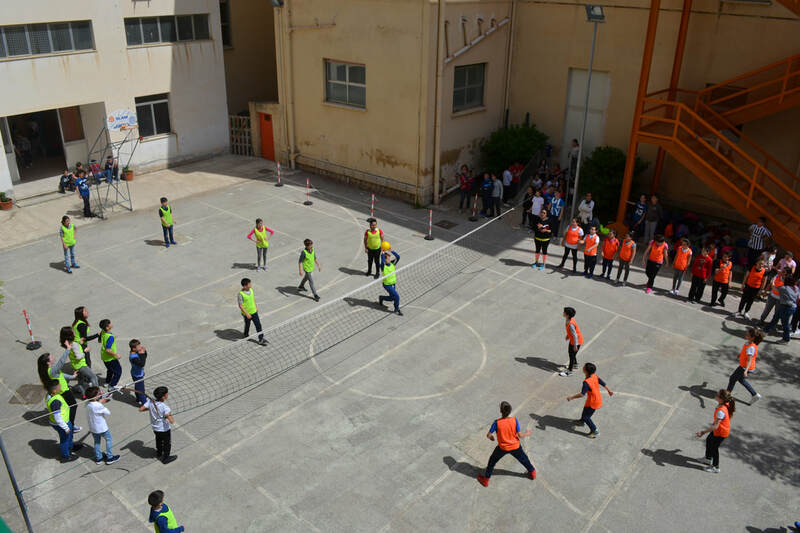 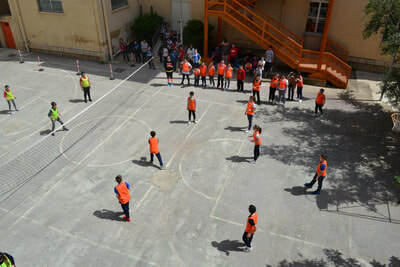 Primary students enjoy stations by doing different kind of exercises with the use of cones, hoops, ropes,etc. 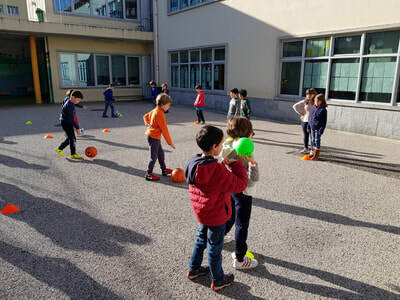 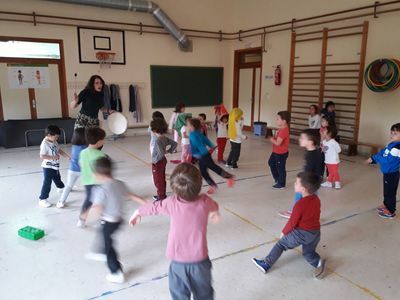 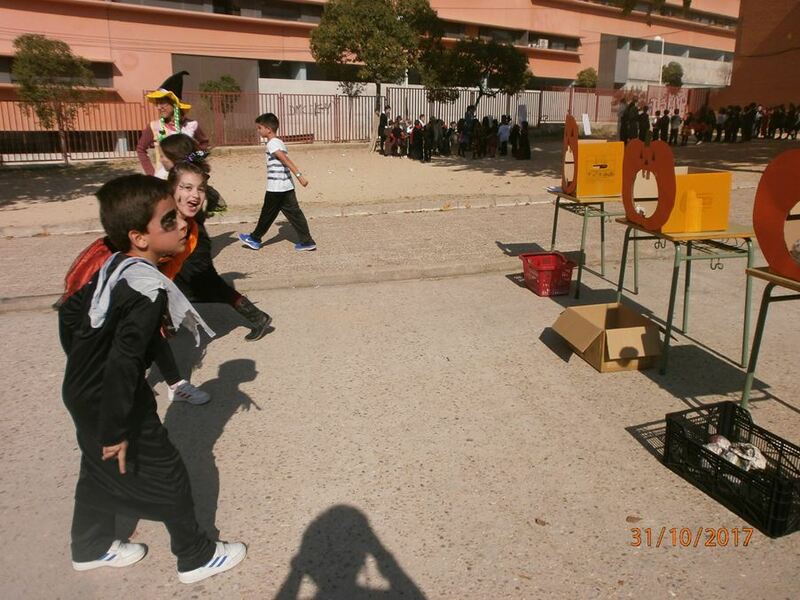 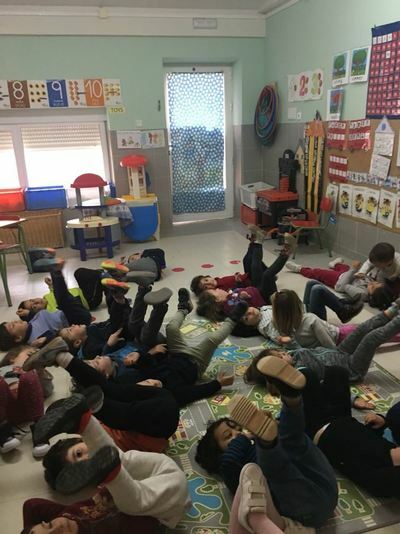 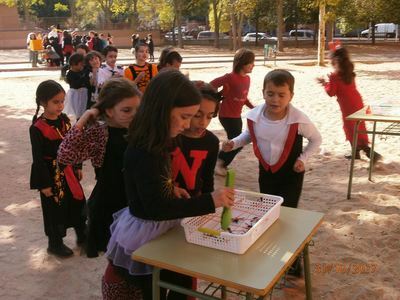 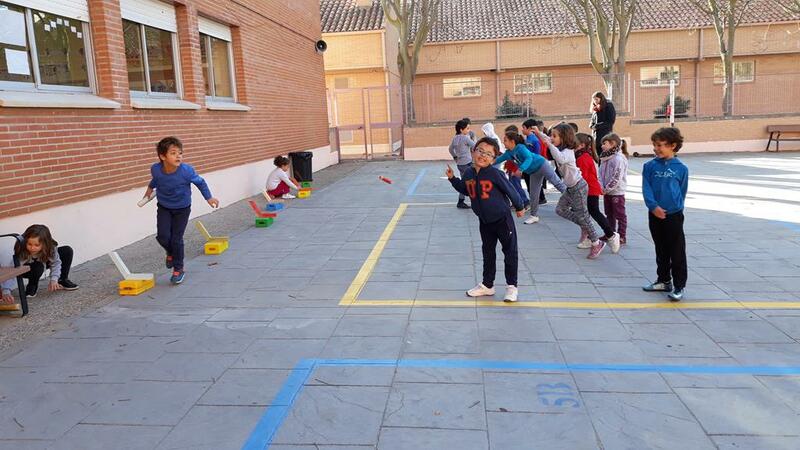 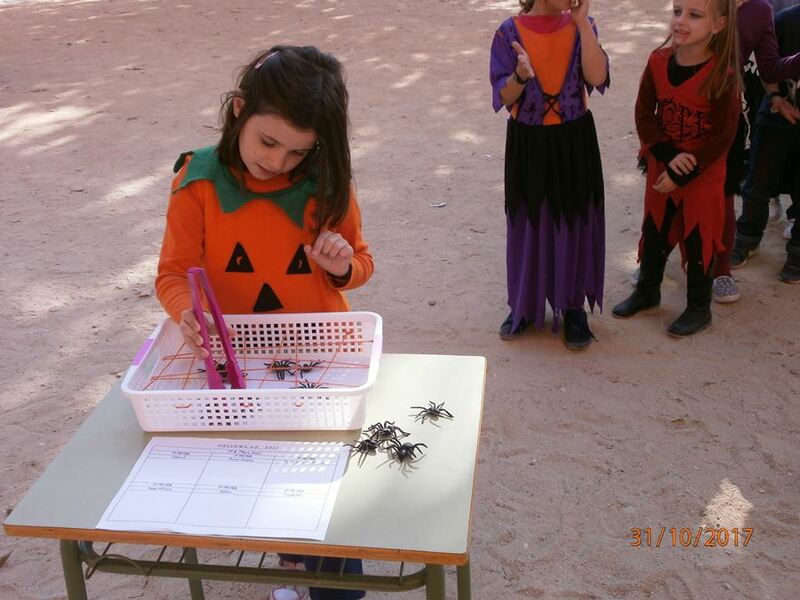 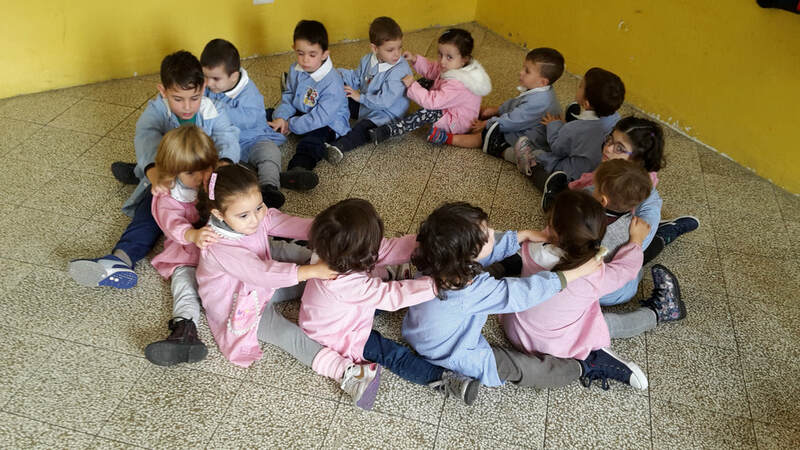 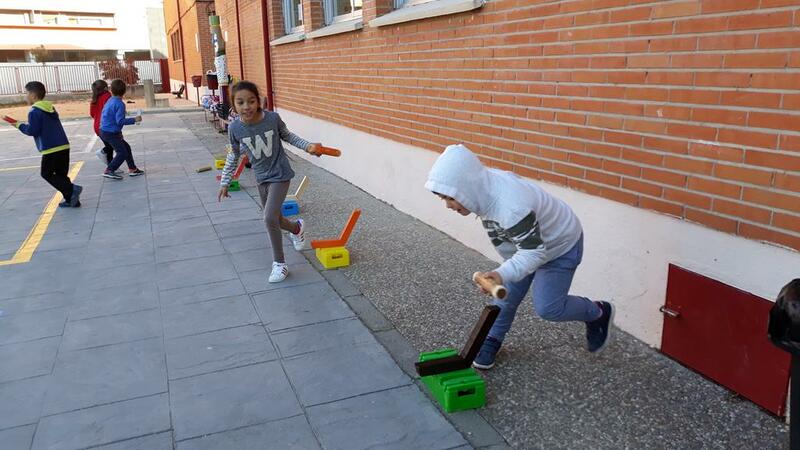 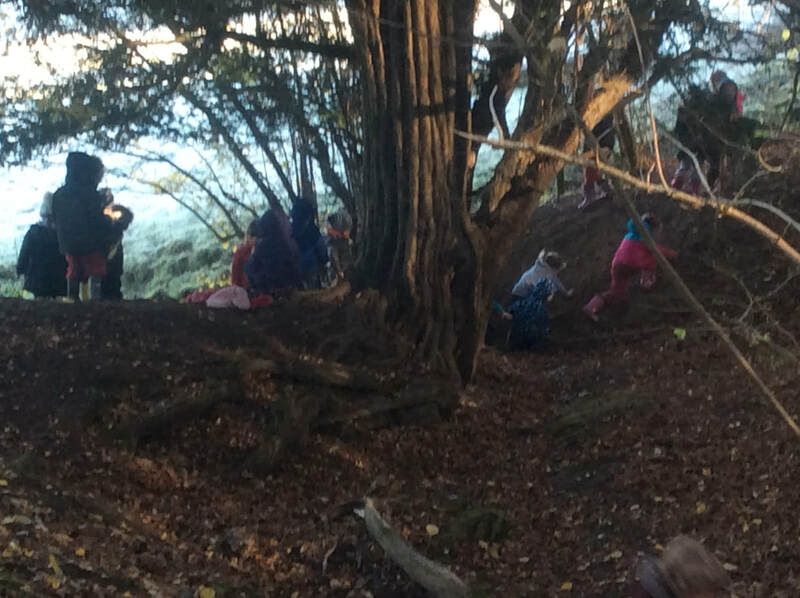 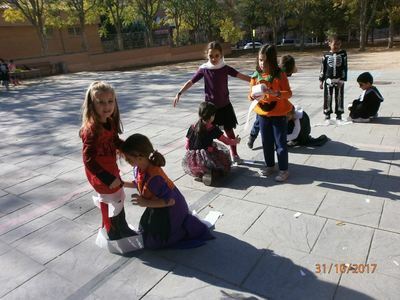 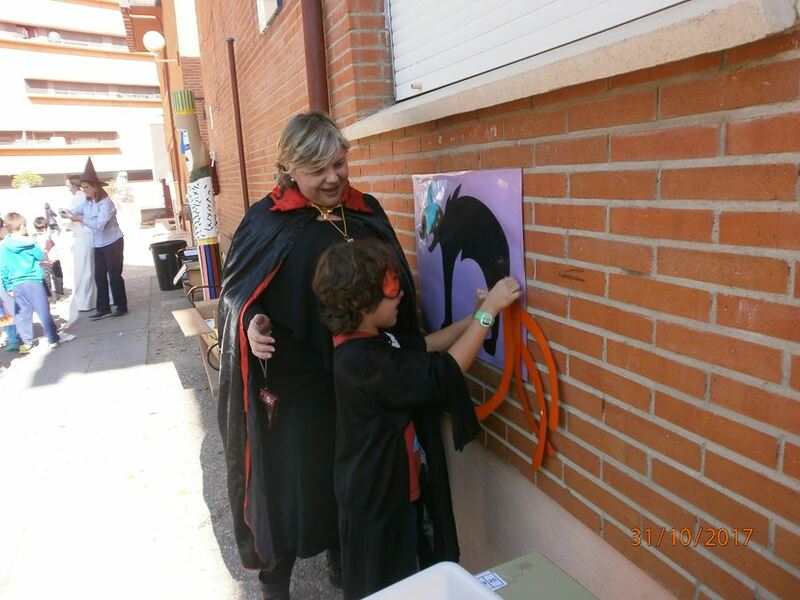 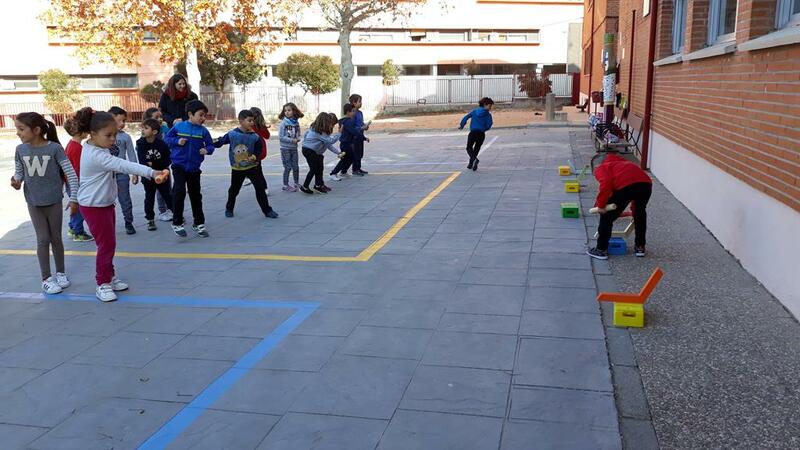 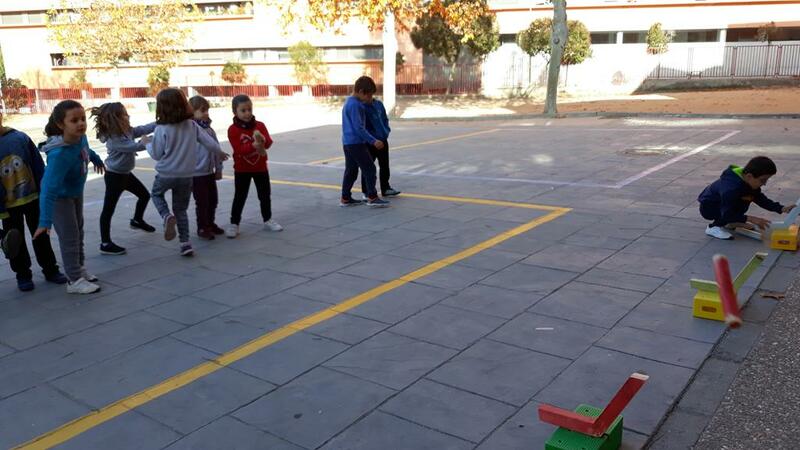 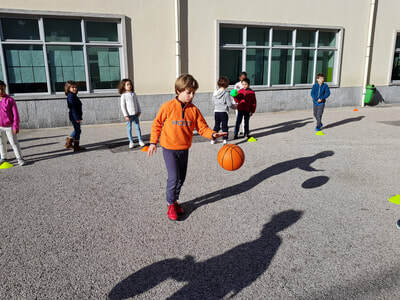 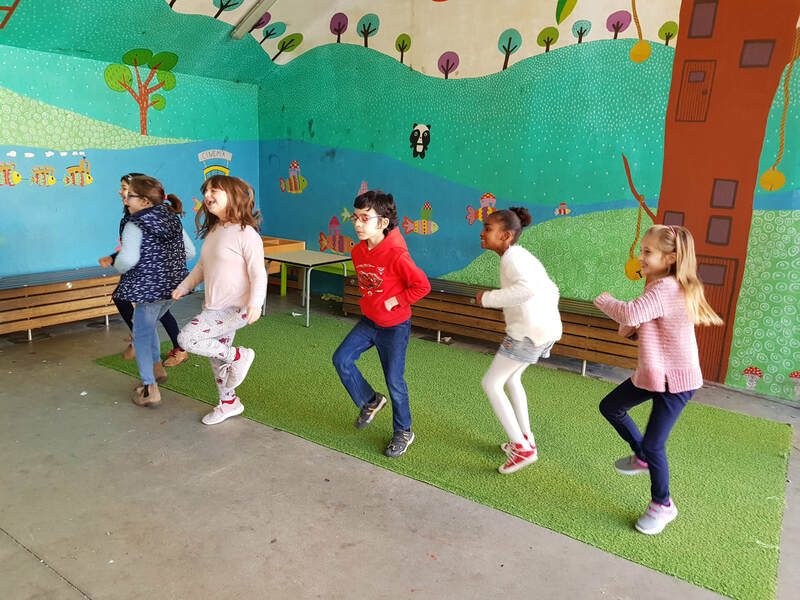 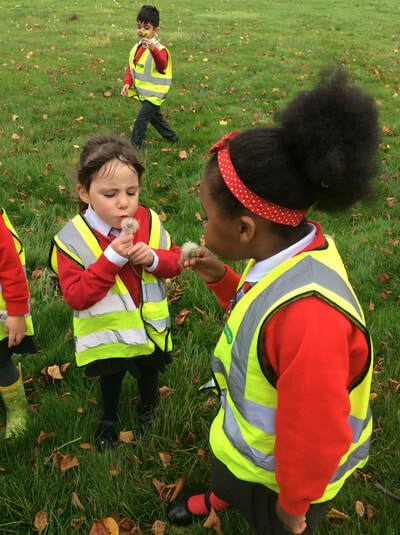 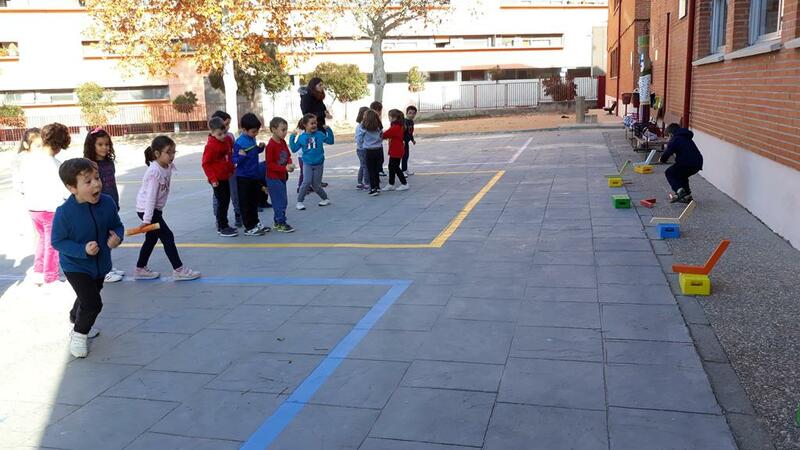 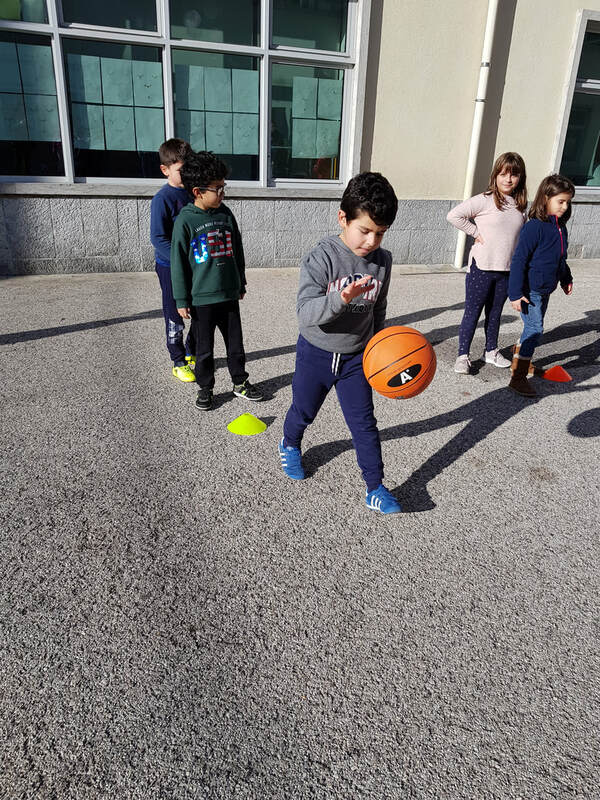 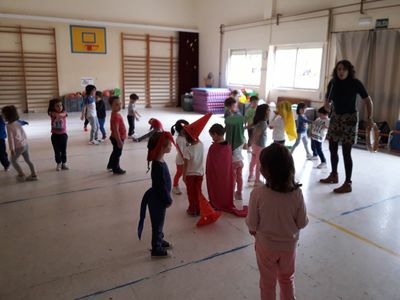 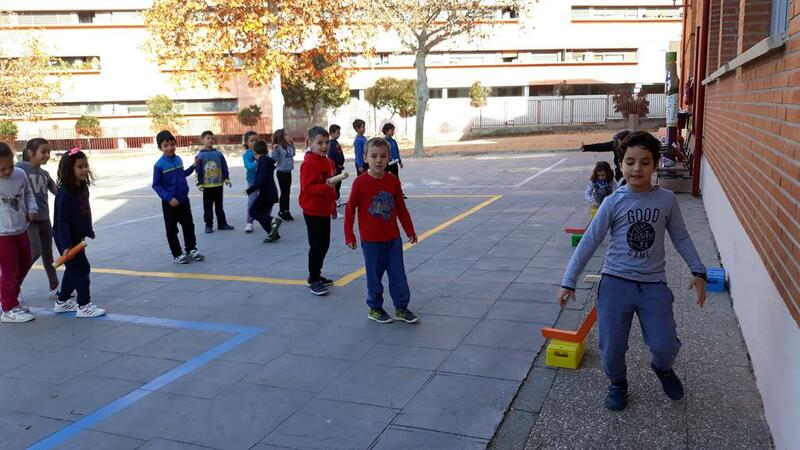 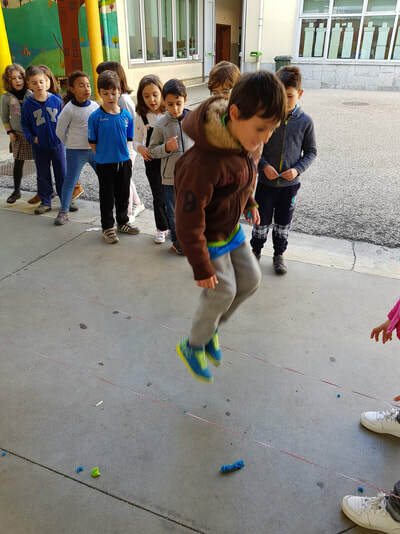 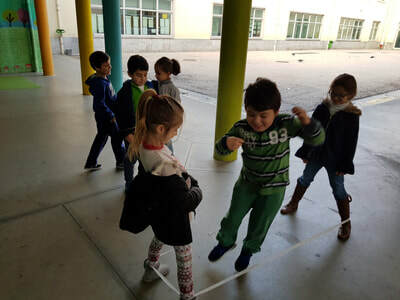 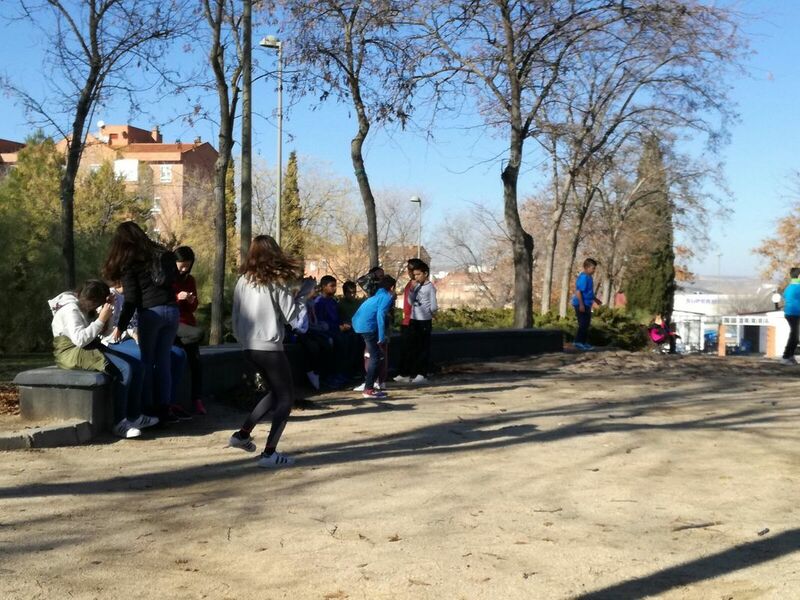 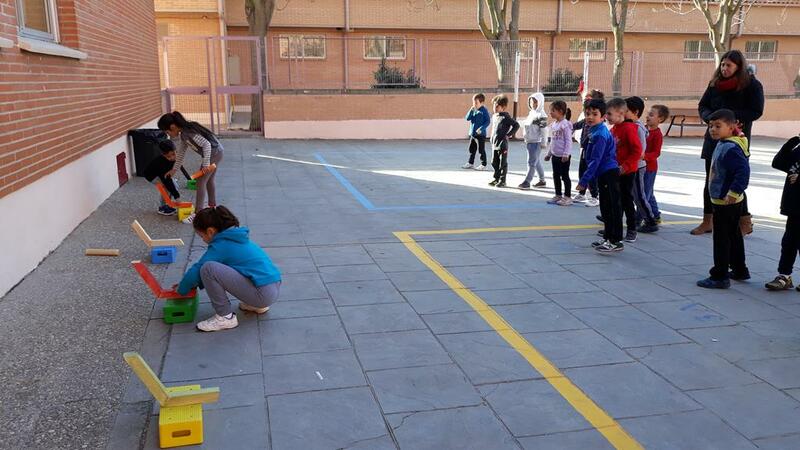 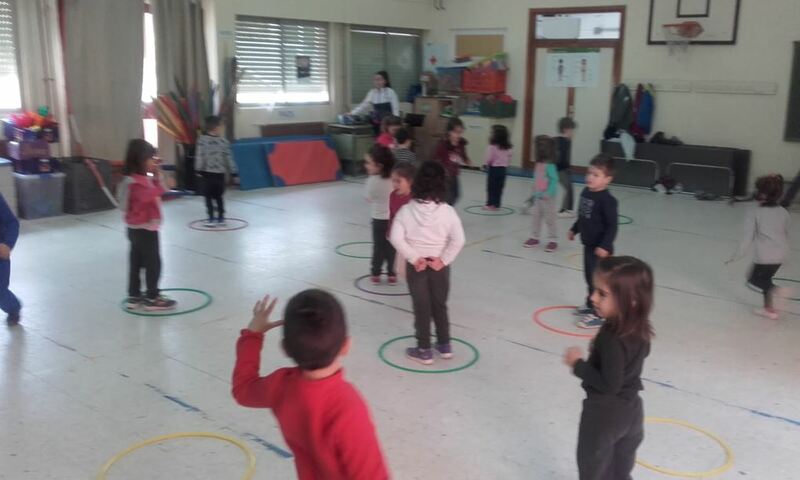 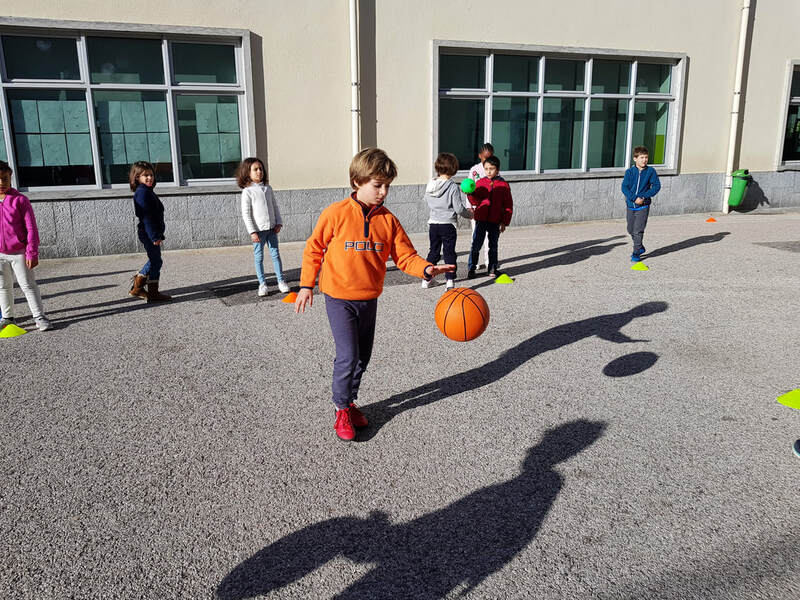 Year 1 learn and play our traditional game called La Calva. 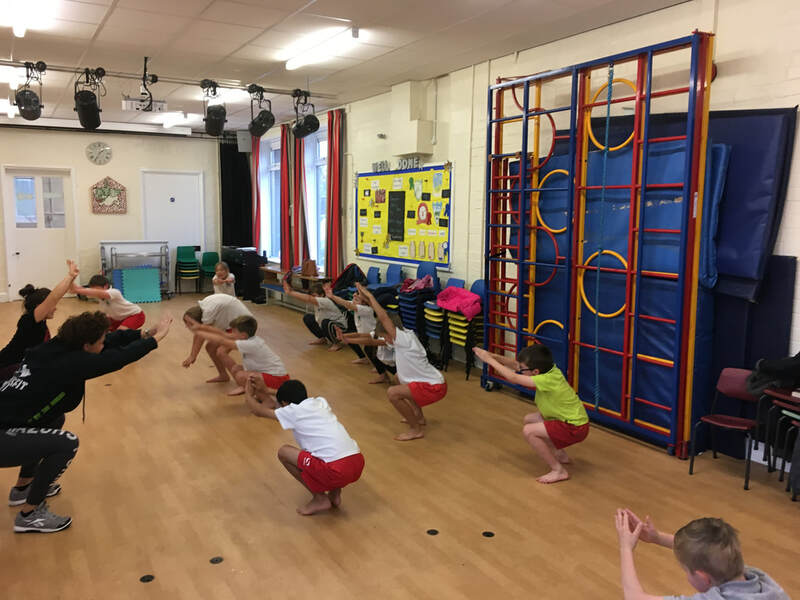 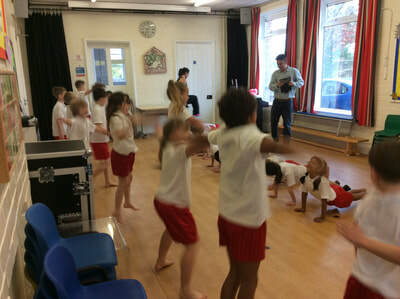 Year 5 were invited to practise cross fit in a local gym lead by a monitor. 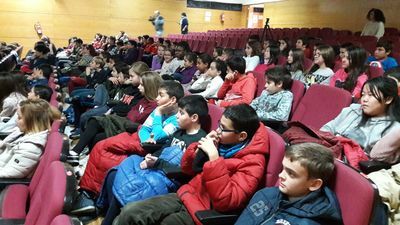 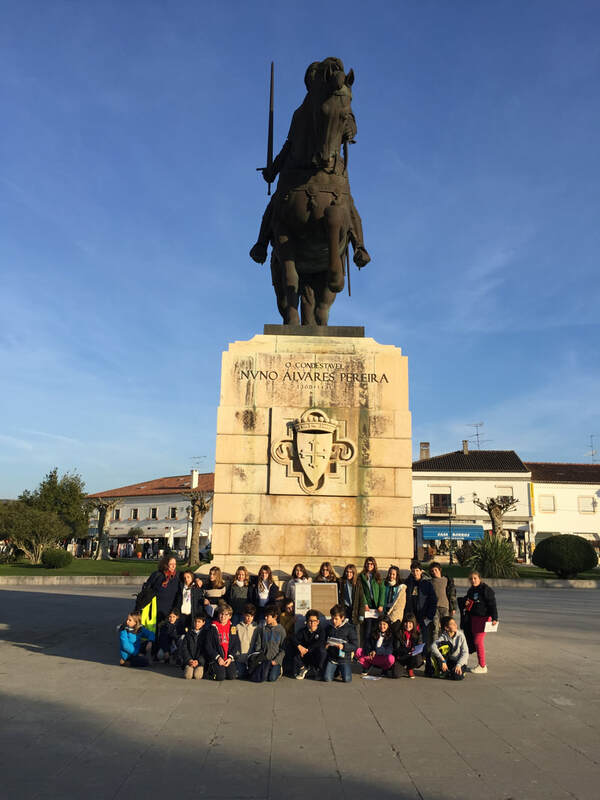 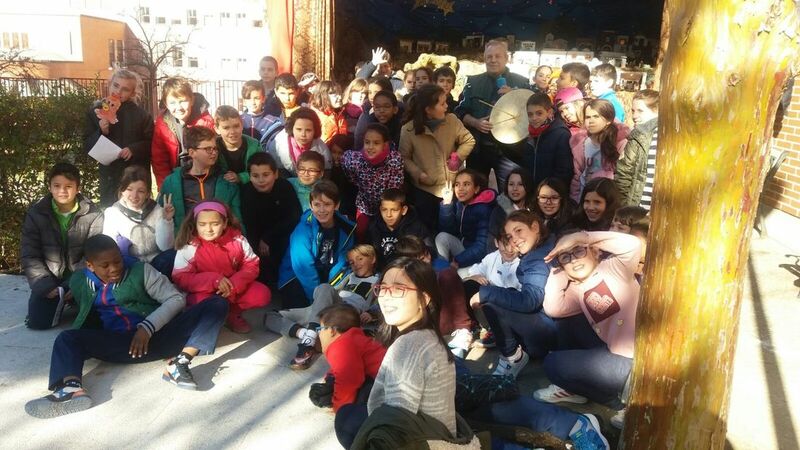 The Toledan Isabel Fernández, the current kata World Champion in parakarate, visited and told them about her experience and the importance of sport in our lives. 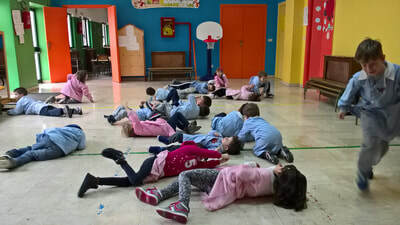 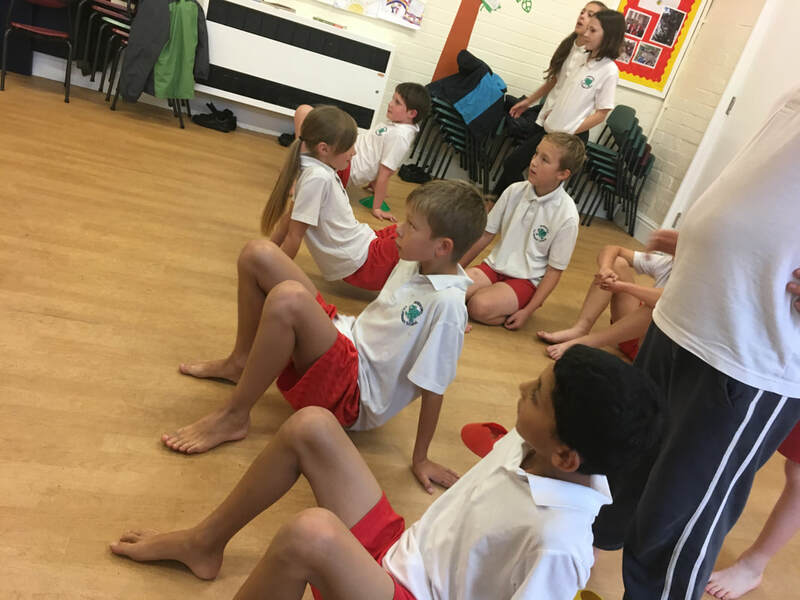 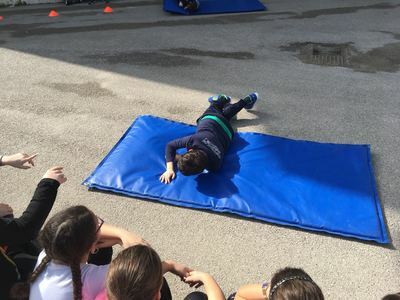 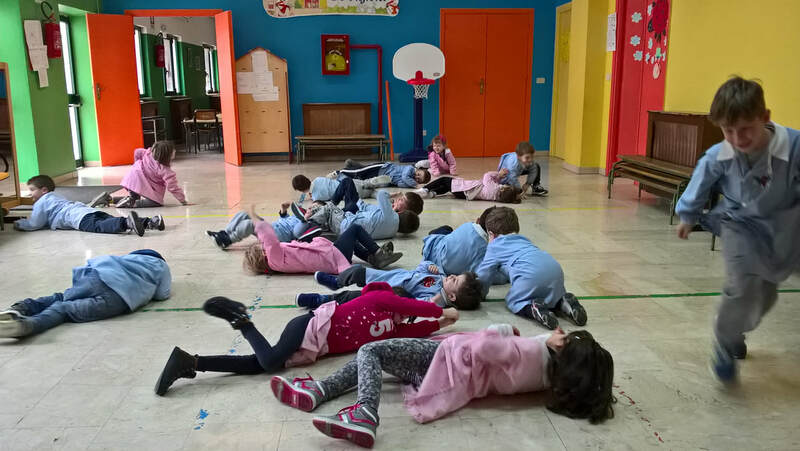 Year 2 make a break and love active rest exercises between lessons. We have been enjoying our daily mile run. 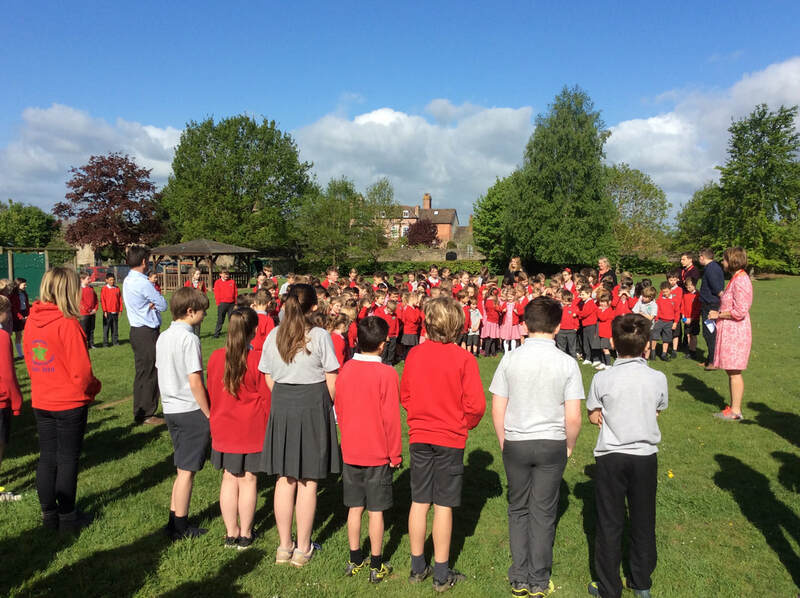 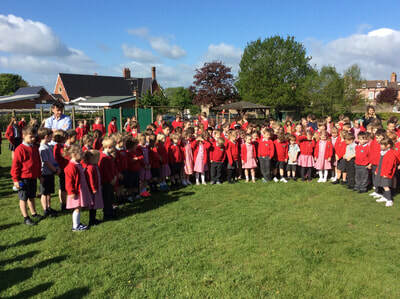 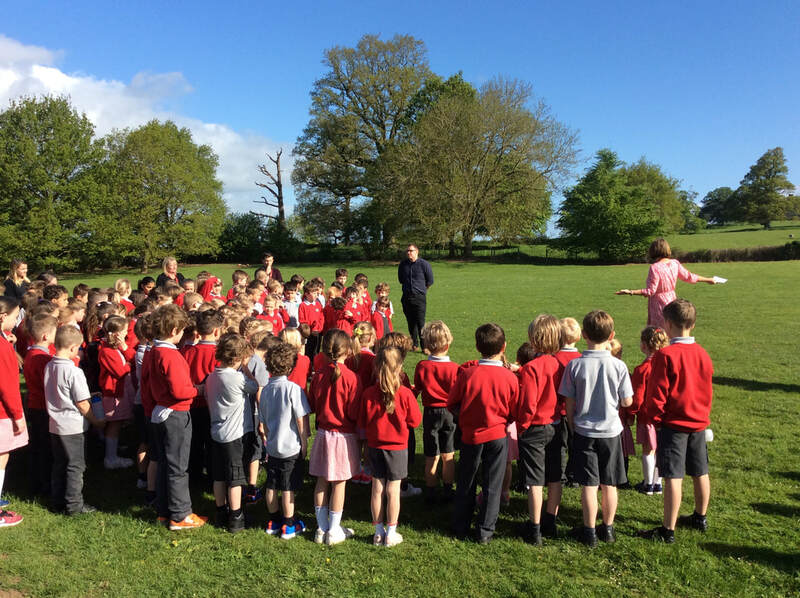 This year we gathered on our wonderful school field to say a prayer and give thanks for Ascension Day and Jesus rising to heaven. 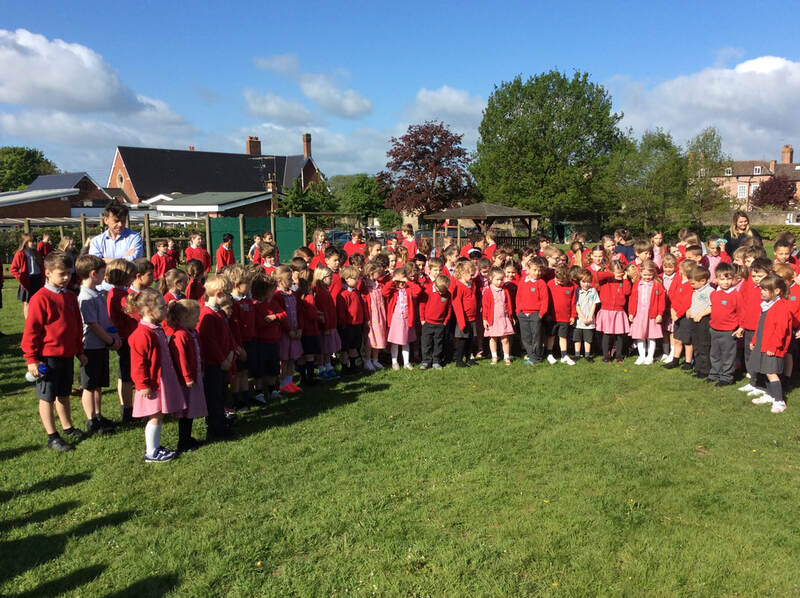 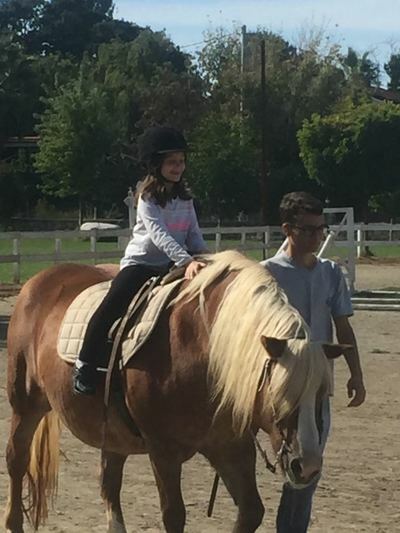 A very special day in sunshine. 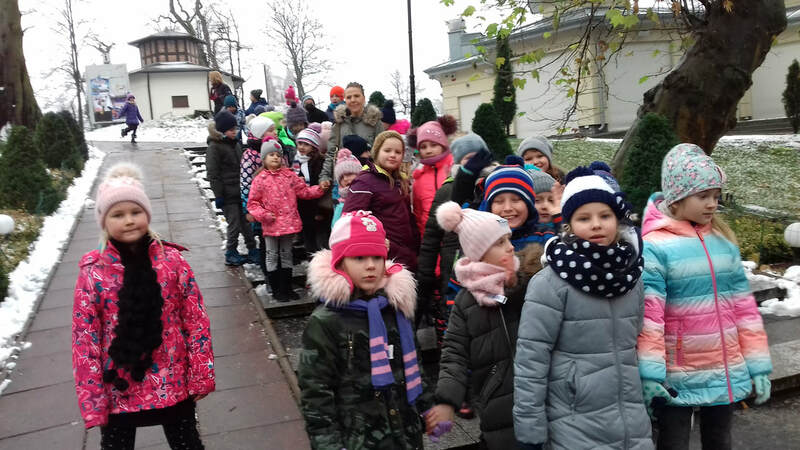 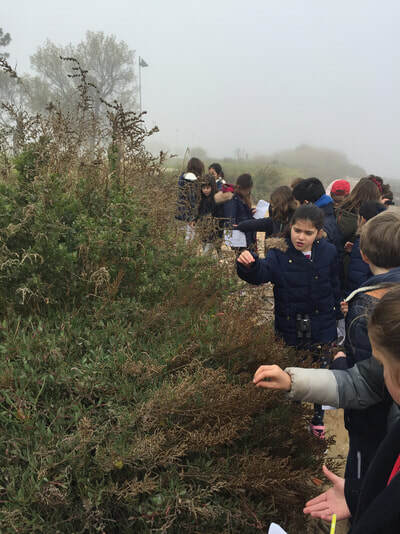 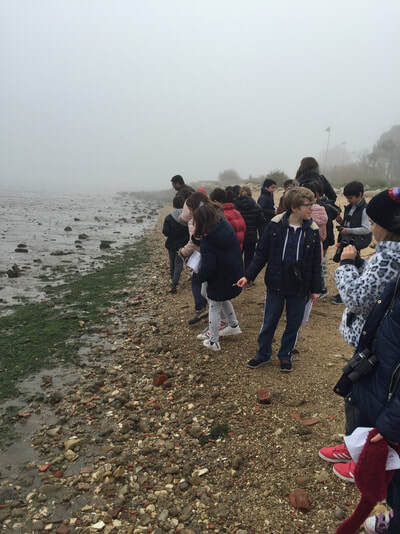 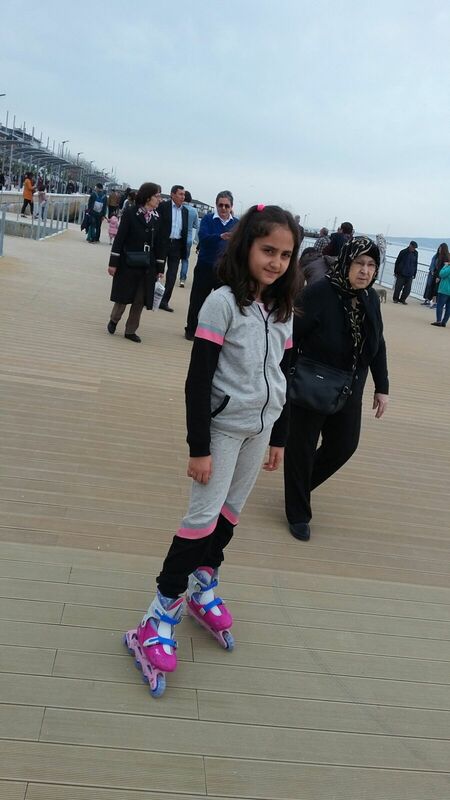 We walked as a school, young and old together.